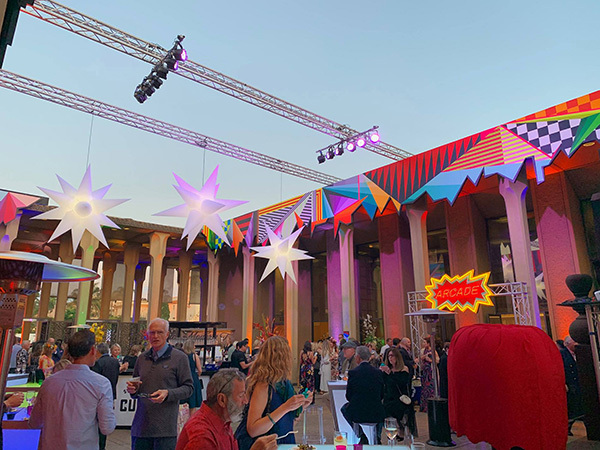 “BLOOM BASH 2019” at the San Diego Museum of Art is in the Books! Holy “Bloom Bash” on Friday night at the San Diego Museum of Art. 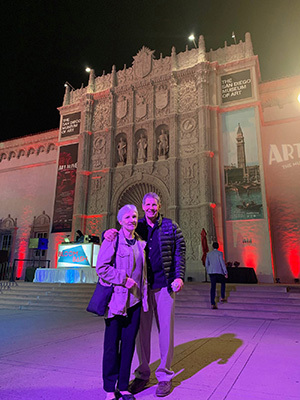 Great times spent with friends along side my parents Steve and Dianne Montgomery who flew in from Virginia for the unveiling of the 176ft “Geo #98” mural currently installed along the roof line of Panama 66 in Balboa Park . 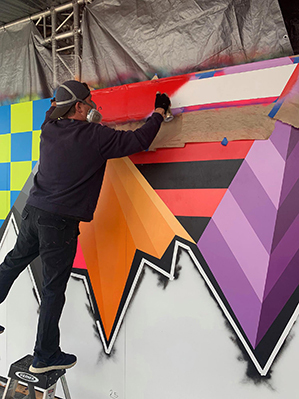 If you’re in the Visit San Diego area, please come join family and friends today, Sunday April 14th from 3-7pm at Panama 66 in the heart of Balboa Park to celebrate my Dad’s 70th birthday and to view the mural before it comes down on Monday the 15th, no tickets needed to attend. Feel free to message me with any questions. Hope to see you tomorrow! 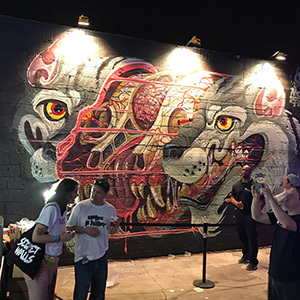 More detailed mural visuals coming soon but here’s a little taste from the opening BLOOM BASH 2019 party. Thank you to Sarah Grossman and the entire TEAM for an amazing evening, it’s been an honor to work with so many talented individuals as this years #bloombash featured artist. 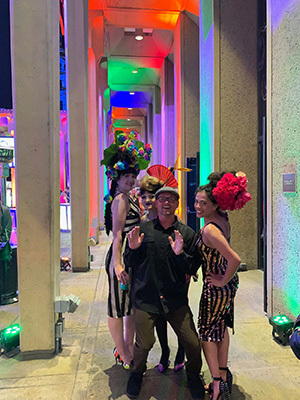 @sandiegomuseumofart @pacificeventproductions @caitlynpoppert @steffbadgett @djagow @auzmo @salgirrl @oneeyedlauren @sdmasocial @balboapark and so many others! 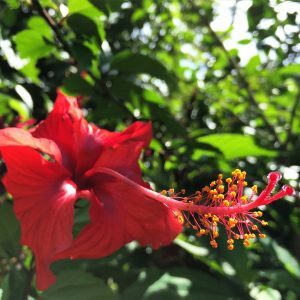 Announcing the Bloom Bash 2019 photo contest! 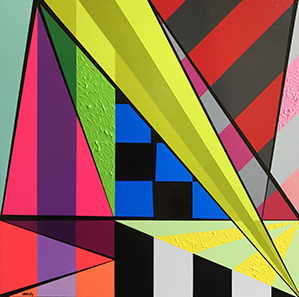 I recently collaborated with the San Diego Museum of Art to reproduce “Geo #81” in honor of #BLOOMBASH2019 . 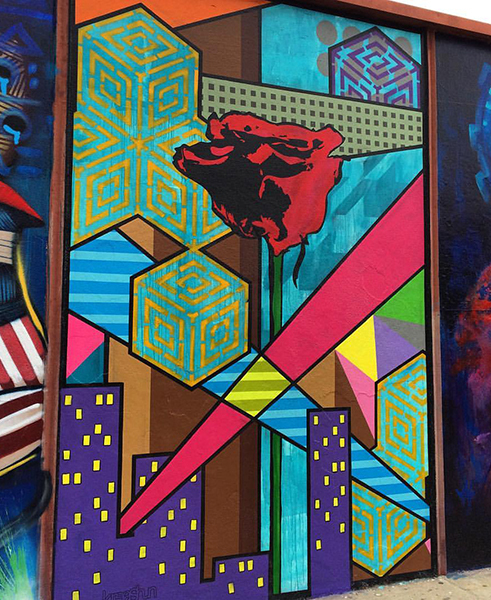 Look for the piece currently in front of Panama 66 at the San Diego Museum of Art in the heart of Balboa Park . 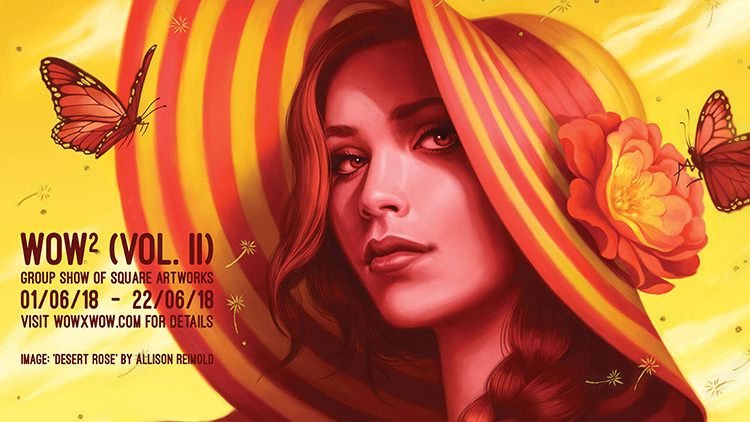 Here is your chance to win 2 FREE tickets to Bloom Bash, the kick off event for Art Alive weekend where the 180ft suspending mural will be unveiled. 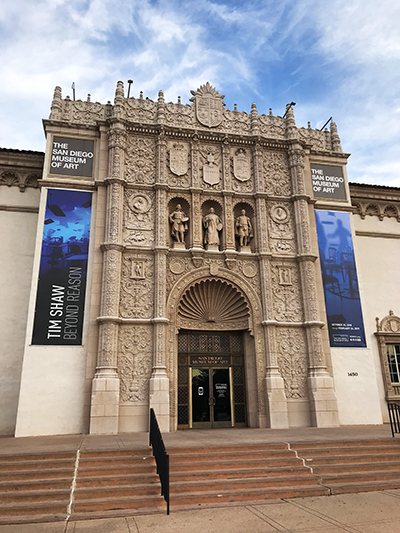 Post a photo of yourself in front of the Bloom Bash mural banner and tag @sandiegomuseumofart with the hashtag #BloomBash on the Museums Instagram https://www.instagram.com/sandiegomuseumofart/ for a chance to win! This contest ends Sunday, March 31st. The winner will be chosen by Curator’s choice and will be announced on April 1st. Good Luck! 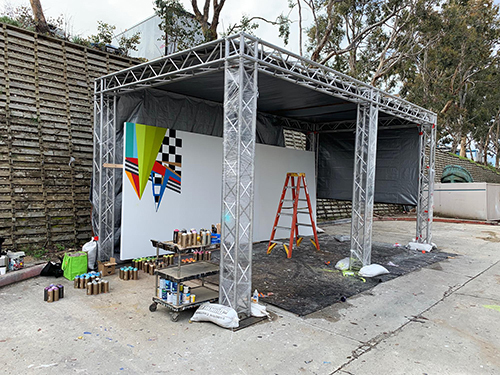 Here onsite in the new pop up studio at Pacific Event Productions beginning the 180ft suspending mural to be installed for BLOOM BASH 2019 with the San Diego Museum of Art in Balboa Park during Art Alive this April. 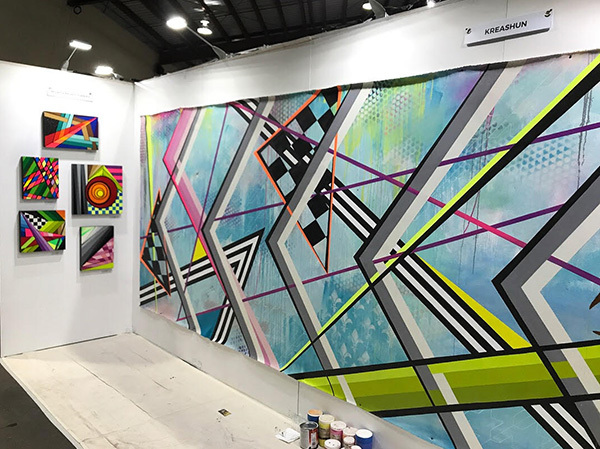 Thank you to the SDMA Family for this amazing opportunity, and to the PEP Creative group for this sweet studio to work in for the next month as the forty four 4’ x 8’ panels come to life! 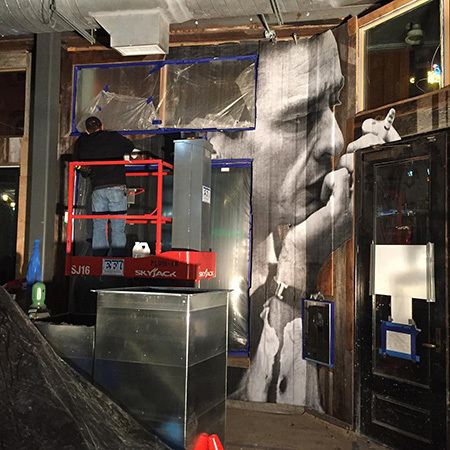 *Completed mural images will be released after the event. 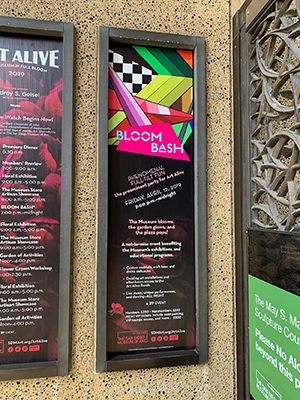 Bloom Bash tickets are on sale at sdmart.org/artalive so grab your tickets before the event sells out! Bloom Bash Giveaway #3! 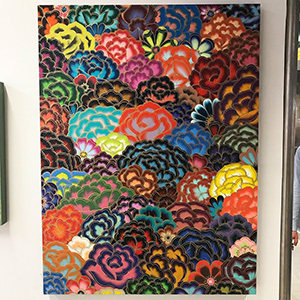 The San Diego Museum of Art has announced that I am one of the BLOOM BASH 2019 featured artists. 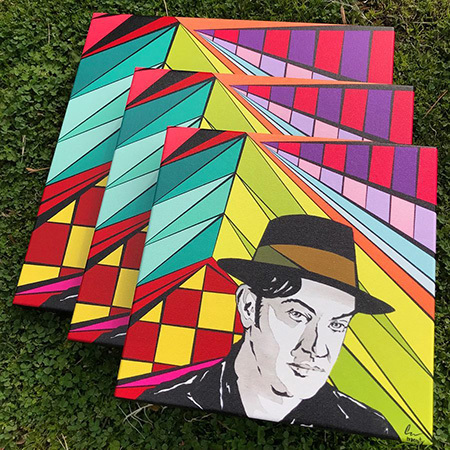 To celebrate, we are doing one print giveaway every month leading up to Art Alive 2019 this coming April. 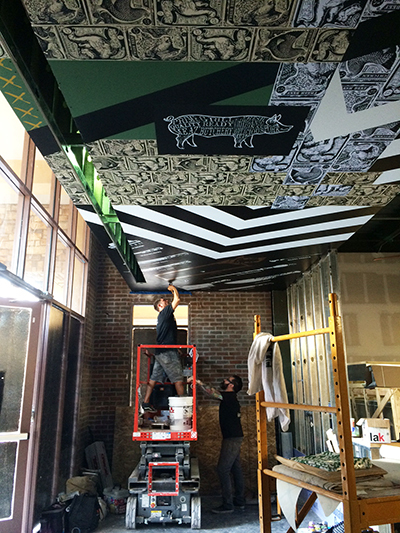 Excited to begin on the 180ft mural next week! 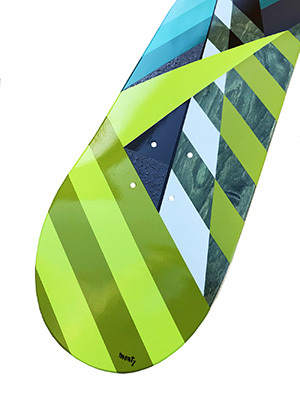 Enter to win the third of four giveaways. Bloom Bash tickets are on sale NOW at sdmart.org/artalive. Featured Artwork: “Geo #87″ Archival Pigment Print on canvas with 1.5″ stretcher bars | 12″ x 18″ x 1.5” | 2018 | Sides of the canvas are black | Wire and hanging hardware is installed. Ends Friday at 8am pst. One (1) winner will be chosen at random and notified in the comments + sent a DM the next business day from the @sdmasocial instagram. 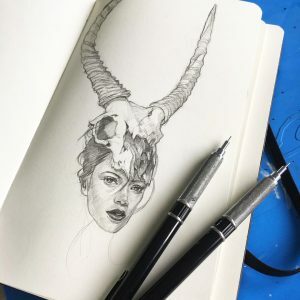 For more chances to win, go to @sdmasocial https://www.instagram.com/sdmasocial/ and @polychromist https://www.instagram.com/polychromist/ instagram pages . 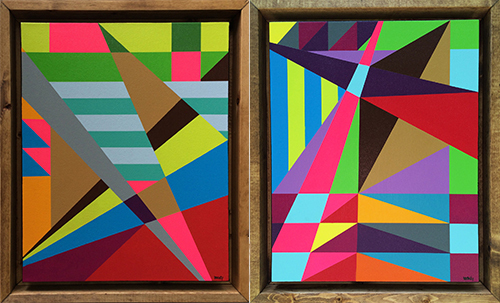 Three Kaleidoskull original works currently available to purchase! 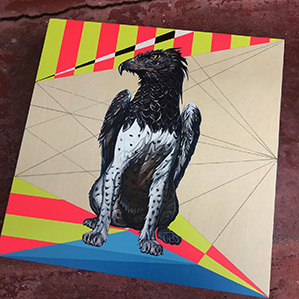 “White Bellied Griffin” 12” x 12” x 1.5” Montana Gold Aerosol and Gamblin Oil on cradled birch panel with UV gloss varnish. 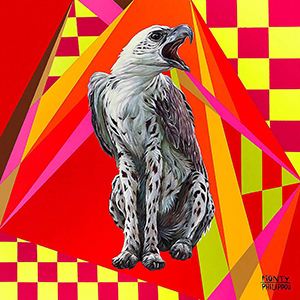 “Sunset Griffin” 14” x 14” x 1.5” Montana Gold Aerosol and Gamblin Oil on cradled birch panel with UV gloss varnish. 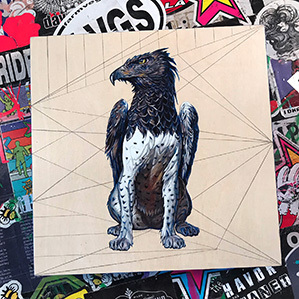 “Siberian Griffin” 14” x 14” x 1.5” Montana Gold Aerosol and Gamblin Oil on cradled birch panel with UV gloss varnish. 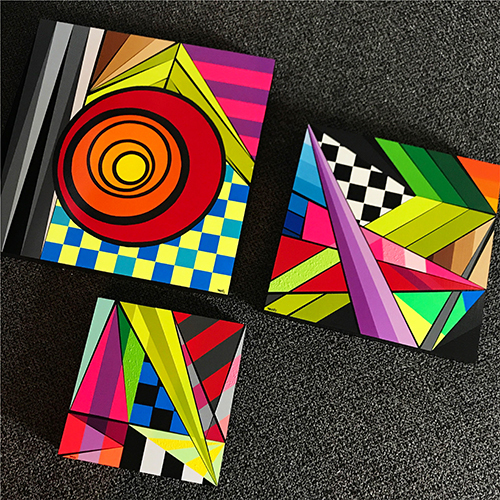 Three current @kaleidoskullart original collaborative paintings with Tony Philippou available to purchase through the SHOP! A little Holiday tour through Virginia! Hope all of you are doing great out there! It’s been so nice having a little time here in Virginia with Family and Friends. 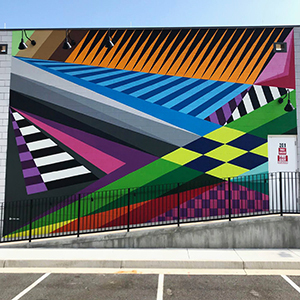 Had a nice visit through Richmond, Virginia for a few days with a stop by GreenGate RVA for a little touch up on the “Geo #86” mural located at 12171 W Broad St. Henrico, VA 23233. Pumped to currently be here in Charlottesville, Virginia catching up with folks for a bit and then on to the Virginia Beach Oceanfront to ring in the new year. Hope to see as many friends as possible on this little east coast journey so please reach out and say hey, hopefully we can hang along the way! Happy Holidays everyone, be safe and enjoy 2019! Home in Virginia for the Holidays! Nice to be back in good ole’ Virginia for the Holidays. 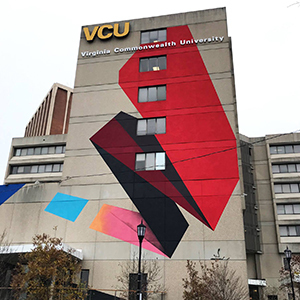 Caught up with the Plaza Artist Materials crew today in Visit Richmond VA to grab some supplies for the VA studio and was able to take in this amazing mural by the very talented Remi Rough on the campus of Virginia Commonwealth University. If you are in the RVA area, cruise by and check it out! Have a Safe and Happy Holidays Everyone. 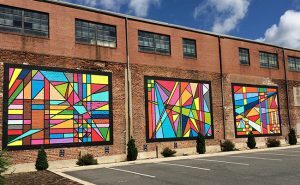 Looking forward to catching up with all the #VA folks in Charlottesville, Virginia | Visit Richmond VA | Visit Virginia Beach and Visit Farmville, VA.
Art Alive Giveaway! 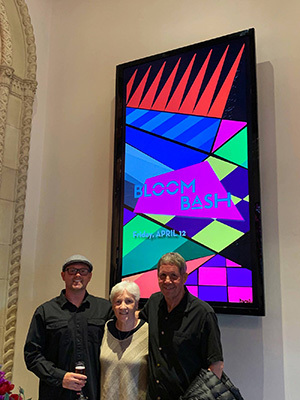 Honored to share that the San Diego Museum of Art announced today that I will be the 2019 BLOOM BASH featured artist. To celebrate, we will be doing one print giveaway a month leading up to Art Alive 2019 on the @sandiegomuseumofart instagram page. 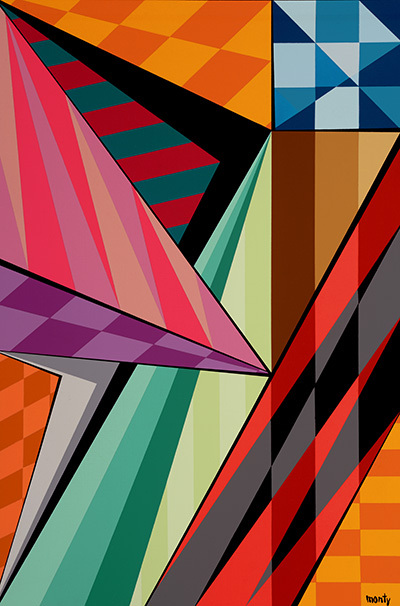 Enter to win the first of four giveaways of an archival print. Bloom Bash tickets go on sale January 2 at sdmart.org/artalive. Thank you to Sarah Grossman and the entire SDMA family. Stay tuned for all the details. The Contest Ends Friday at 8am pst. 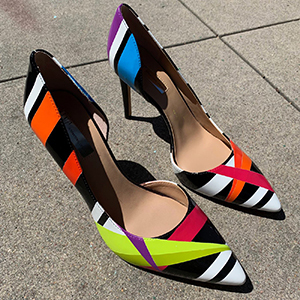 One (1) winner will be chosen at random and notified in the comments + sent a DM from the @sandiegomuseumofart instagram page the next business day. 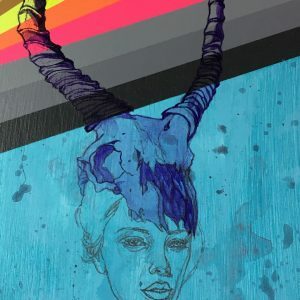 Fresh kaleidoskullart.com paintings and the newly released “Snake Skull” print are also available! 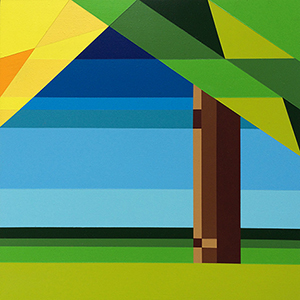 25 works total from various series and years ready just in time for the Holidays! Happy Thanksgiving everyone! May all of you enjoy shared moments with Family and Friends while appreciating all there is to be thankful for. Have a great day! 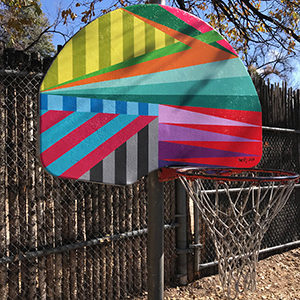 “Geo #91” mural visuals for the children of the Garcia Street Club in Santa Fe, New Mexico. So thankful for all of you, the special relationships and so many creative moments along the way experienced with everyone. 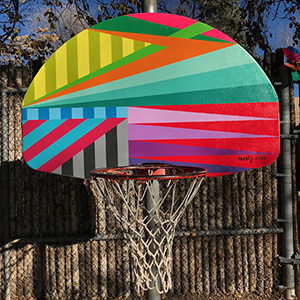 A little “Sunday Funday” completing the basketball goal on the playground for the children of the Garcia Street Club here in Santa Fe, New Mexico . 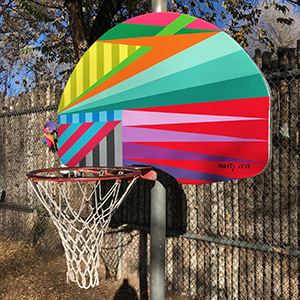 Can’t wait for them to arrive tomorrow so we can shoot some hoops and begin our canvas projects in the classroom! Nothing like being on the road and finding that perfect bench for lunch. 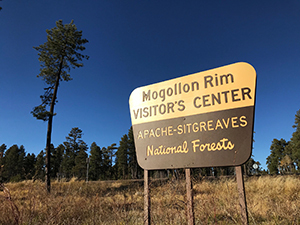 So majestic here in the Apache-Sitgreaves National Forest overlooking the Mogollon Rim. 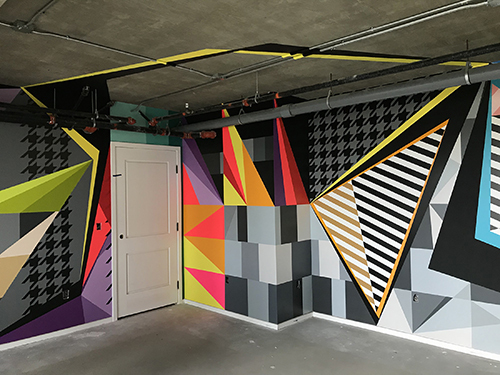 Completed mural captures from inside the Creative Lounge / DIY room of Broadstone North Park nestled in the North Park neighborhood of San Diego, California. Big thanks to @carleeray & the Broadstone North Park Family. 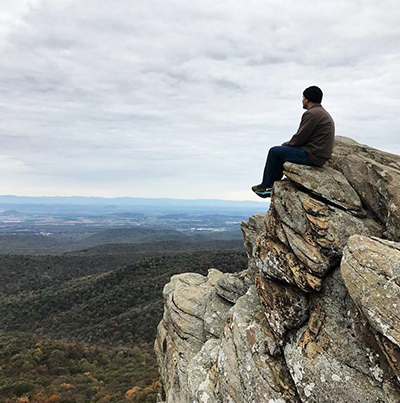 Just nothing quite like seeing your own breath while taking in these crisp, refreshing moments spent in Virginia‘s state parks. 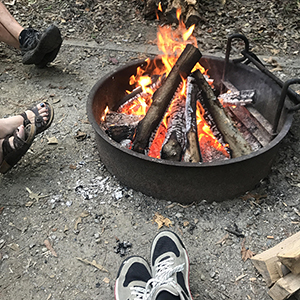 Hiking through the woods, lakeside laughs about childhood memories and s’mores by the campfire, all shared with my Mom and Dad. Thank you Mother Nature for these very special memories along this creative Journey. Another awesome Virginia Children’s Book Festival on the campus of Longwood University is complete! 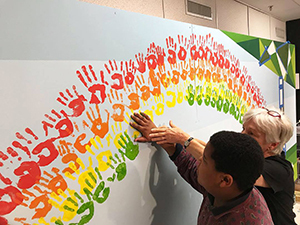 The collaborative mural inside Longwood Center for the Visual Arts with the very talented LeUyen Pham, the kids of the VCBF, my Mom Dianne Montgomery and so many other folks was so special. Great TEAMWORK everyone, so many wonderful moments shared and an honor to create beside all of you! The VCBF brings together authors and illustrators with exciting, dynamic programs to foster the enjoyment of reading among VA’s youth. 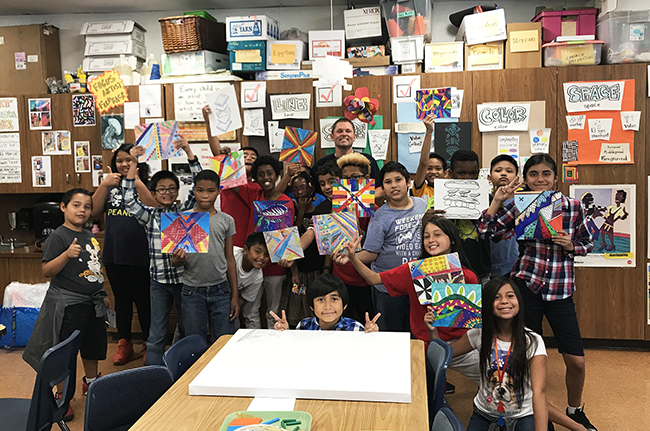 Thank you to Lowe’s Home Improvement and the National Endowment for the Arts for your support and to every single soul who brings it all to life! Much love to Randy Edmonson and his wife Cricket for your amazing hospitality. 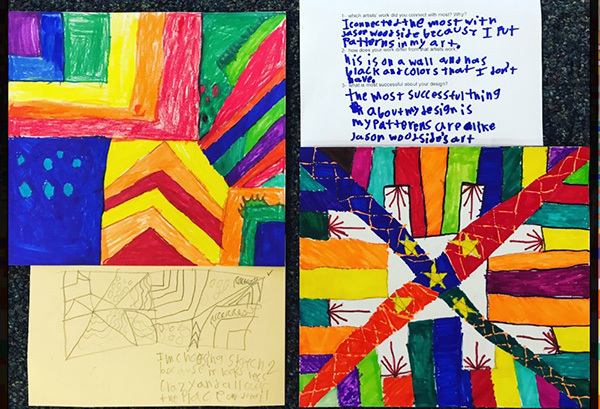 Big High Five’s to the entire Virginia Children’s Book Festival | Longwood Center for the Visual Arts | Longwood University Families! 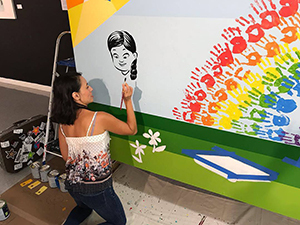 The VCBF 2018 collaborative mural with LeUyen Pham and the children is coming to life! 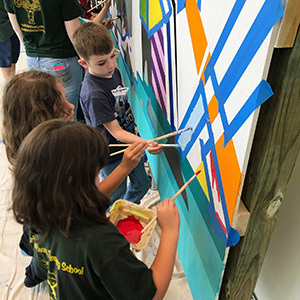 Days one and two here at Longwood Center for the Visual Arts for this year’s “LIVE” mural during the Virginia Children’s Book Festival 2018 at Longwood University have been so awesome! Being surrounded by so many excited children and patrons has energized this mural in such a special way. The enthusiasm that LeUyen Pham expresses for her craft inspires us all and I am honored to collaborate with her on this project. The VCBF brings together authors and illustrators with exciting, dynamic programs to foster the enjoyment of reading among Virginia‘s youth. Thank you to Lowe’s Home Improvement and the National Endowment for the Arts for your support! 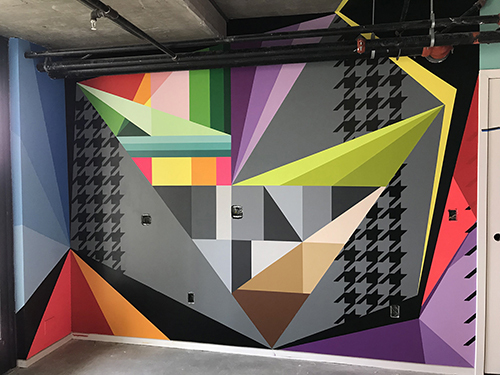 A few “Work in Progress” visuals from the interior walls and ceiling of the Creative Lounge / DIY room at Broadstone North Park in the North Park, San Diego neighborhood. Completed project captures coming soon! 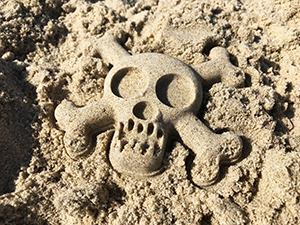 Sand Skulls, Oceanside strolls, splashing around in the Atlantic and empty beach roads. 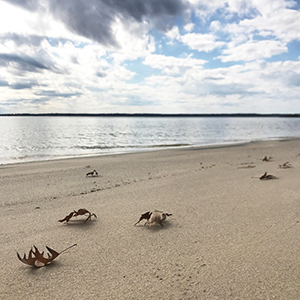 So nice to be here during this peaceful season in Visit The Outer Banks of North Carolina for a little recharging with the FAMILY! 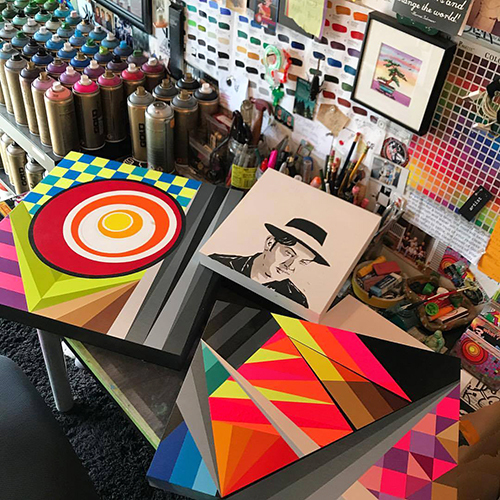 New pieces coming to life in the South Park San Diego studio that will be featured in the KAABOO Del Mar gallery. 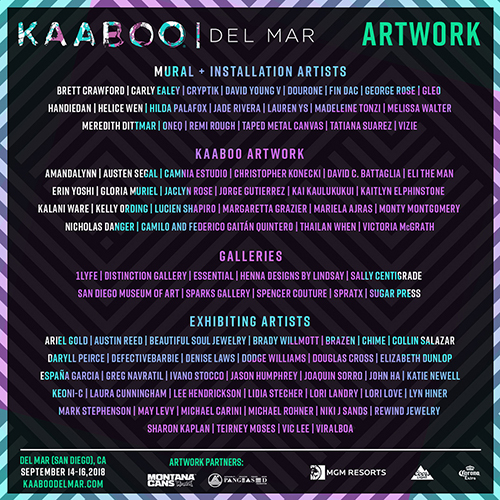 Honored to be joining the #KAABOO family again this year to exhibit and paint a 4’ x 5’ canvas LIVE alongside so many talented artists. 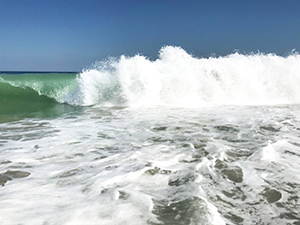 Join us September 14-16 in Del Mar, CA. Thanks to @alynnpaint and the KAABOO team for the invite to return. 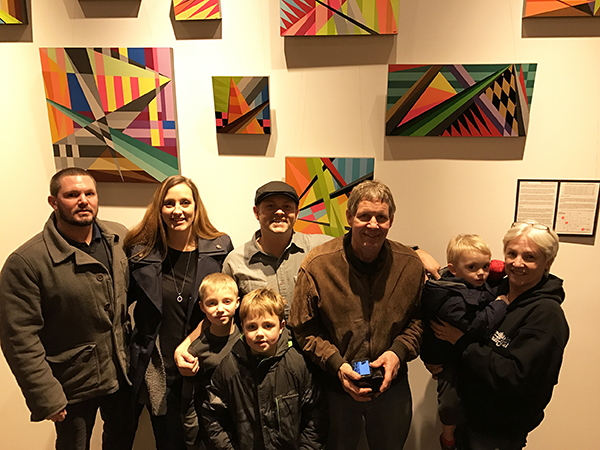 Thanks to everyone who came out last night to support our release of four new Kaleidoskull paintings with Sparks Gallery in San Diego. 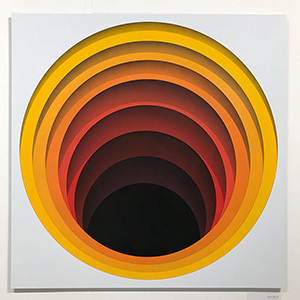 The “Chapter 2” Gallery Selections exhibit runs through October 7, 2018. 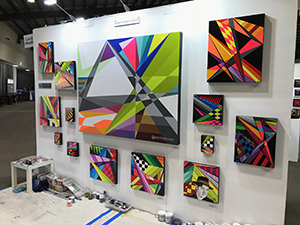 Past “LIVE” painting and exhibition at KAABOO 2018 September 14-16 in Del Mar, California. 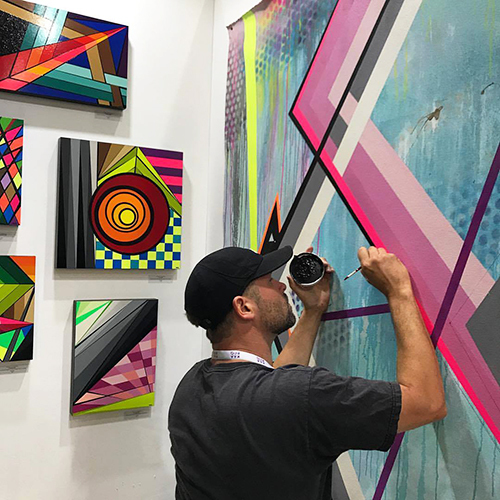 Great times at KAABOO again this year September 14-16th for a little “LIVE” painting and exhibiting original works with a few archival pigment prints on canvas. 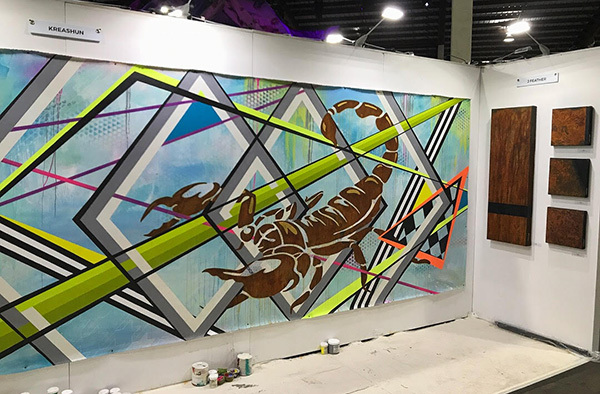 Always an honor to be a part of the KAABOO Artwork experience which features top muralists and creatives from around the globe. Getting back to it here on the West Coast! Those nice crisp San Diego, California mornings. After two months of projects on the road it feels great to be back at it here in the South Park San Diego studio creating. No more appendix…. MOM saves the day! These minutes, surrounded by the songs of Nature have never been quite so clear. Cherish every moment, enjoy all that is offered, appreciate everyone and do your best to slow down just a tad… Listen to those around you and cancel that flight or those plans if you must, make that call, no hesitation. Be safe out there. Everyday. Thank you so much for stepping in and being my very gentle yet strong MOM Dianne Montgomery… Listening to you and not stepping on that plane saved my life! I love you so much! 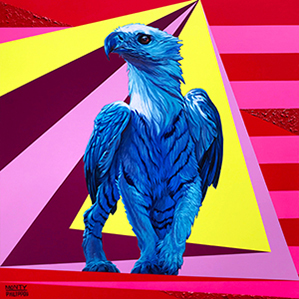 If you are interested in receiving the Collector’s Preview, please email us at info(at)wowxwow(dot)com. 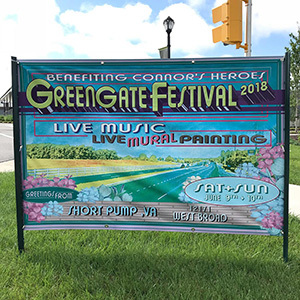 All stocked up with Montana Cans (official) from the Plaza Artist Materials crew and ready to get going here in Richmond, Virginia for the Greengate Neighborhood Festival 2018. 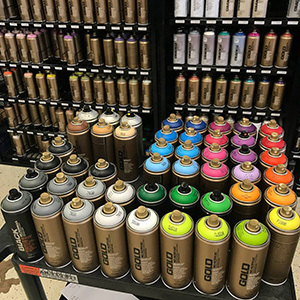 The wall is primed and the lines are beginning to hit. Pumped to be creating with so many talented folks and looking forward to the event this weekend with around ten murals already in progress. 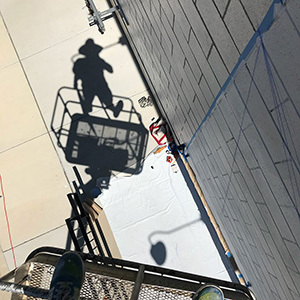 montymontgomeryart.com #montymontgomery #montyart #travel #create #murals #painting #art #wip — in United States. 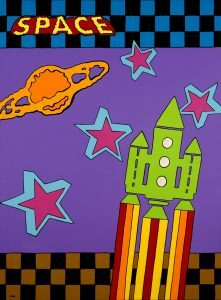 Heading to Farmville, Virginia to add a little color to the local library! 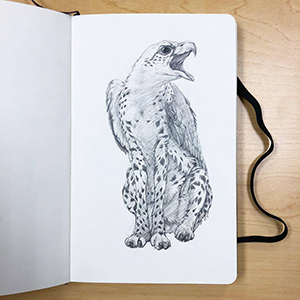 Finishing up in the San Diego studio today with this Prismacolor sketch for the upcoming 25′ x 16′ “Moment #44” Nature series mural in the Farmville, Virginia public library. 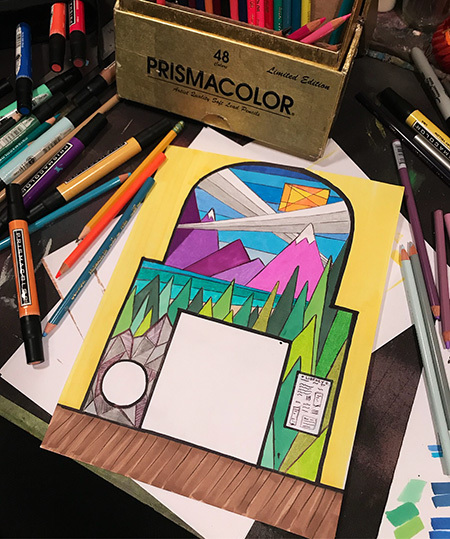 A geometric cave for the children to climb through, that cozy little mountain side beach on a tranquil lake with majestic purple mountains in the distance. Crisp #loveva skies with linear clouds and that nice warm sunshine hitting your skin. 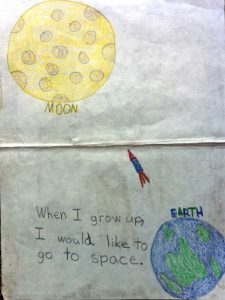 My Rocket drawing from 3rd grade in Mrs. Jackson’s class! 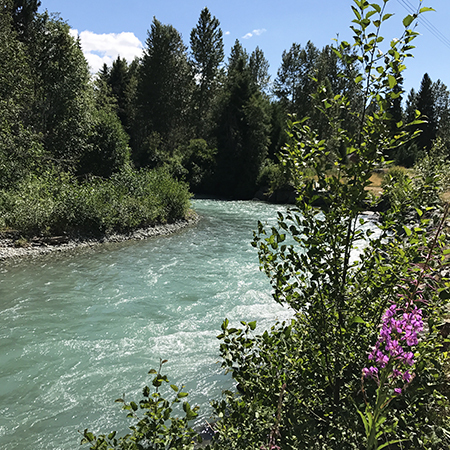 A few moments with “Mother Nature” along the way. Creative morning moments sketching on the beautiful barrier island beaches of Jekyll Island here on the Georgia coast. Awesome to be artistically inspired and refreshed from so many powerful visuals and sounds provided by #nature . The journey continues back on up the “Right Coast” eventually reaching the Virginia studio where these drawings will come to life! 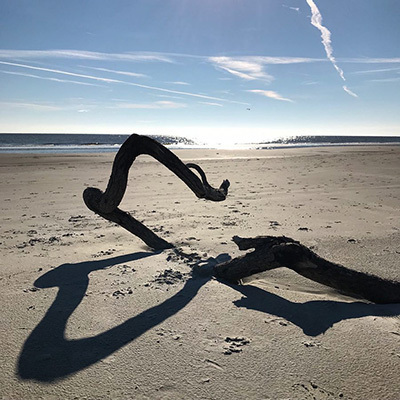 #jekyllisland #georgia #sketching #nature #artist #montymontgomery #thenatureseries #thefractalseries #montyart — at Jekyll Island. 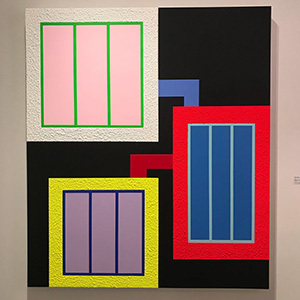 An awesome experience at Art Basel 2017 in Miami, Florida. 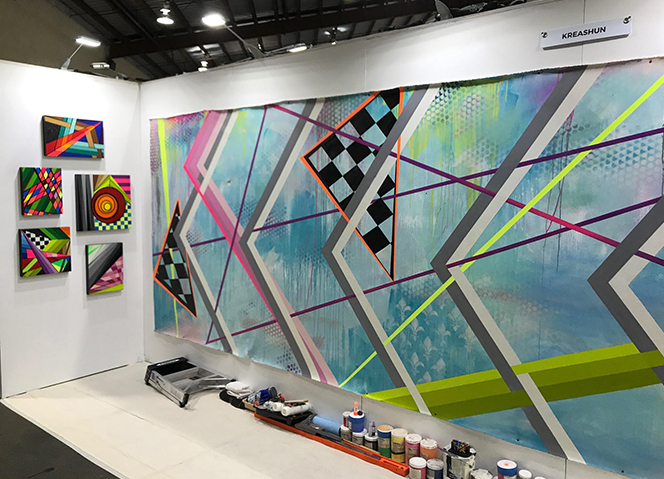 Closing out the Art Basel 2017 experience with an inspiring visit to the Thinkspace Projects booth and a stroll through SCOPE Art Show . 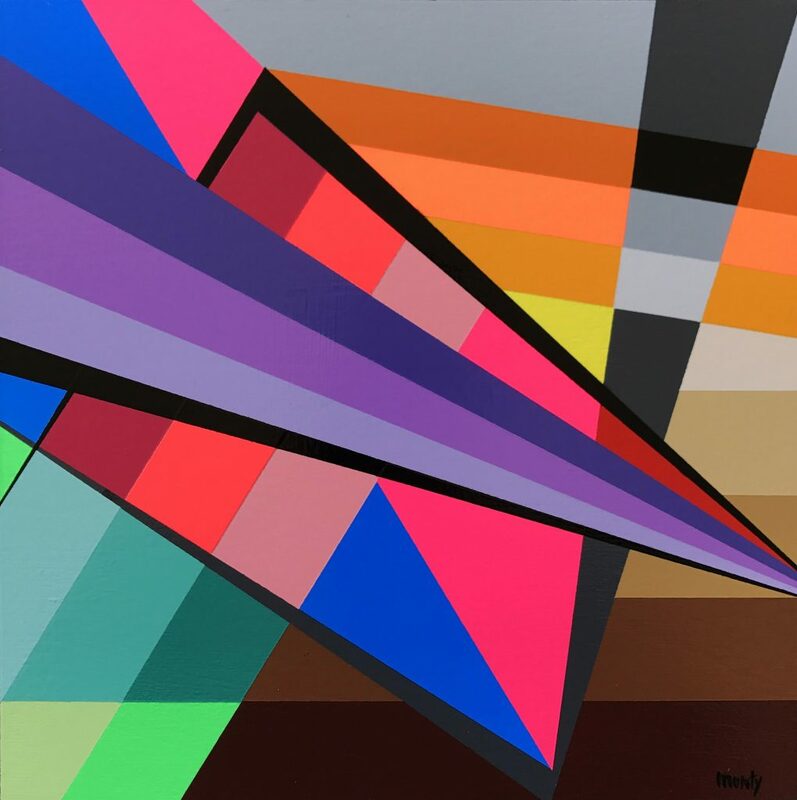 A few featured works by: Michael Reeder | Demsky | Felipe Pantone | David Cooley | OKUDART | @wileywallace . 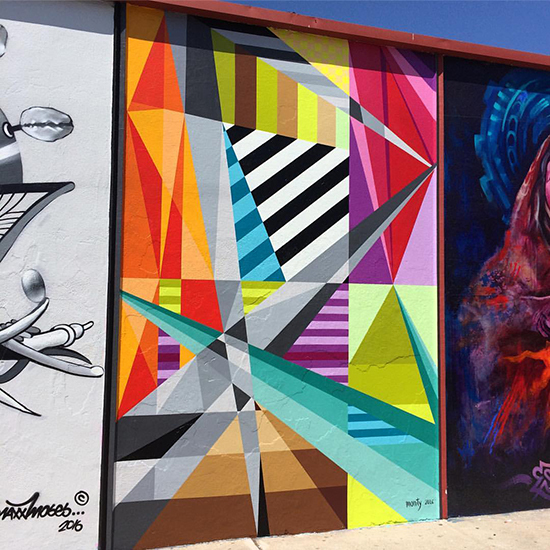 A couple murals from Wynwood Walls in the heart of the Miami Design district. 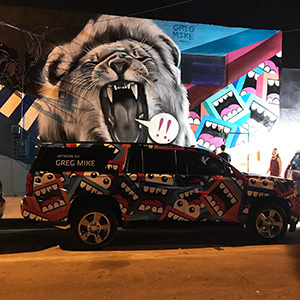 A few views from Wynwood Walls and the creative vibes of the Wynwood Art District last week during Art Basel in Miami, Florida. 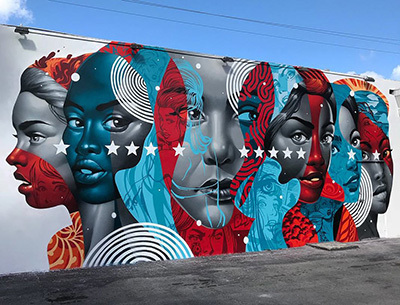 Powerful murals by Tristan Eaton and Audrey Kawasaki featured here. Taking in a little “Art Miami” Fair. A roll through Art Miami today catching up with my great friend @sasch_blue and taking in the Visuals. 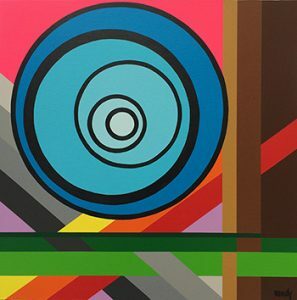 Featured work below by: @1010zzz | Peter Halley | @invaderwashere . 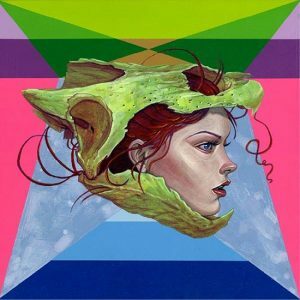 What a get down at the Juxtapoz Clubhouse! What a night at the The Juxtapoz Clubhouse opening, Three floors of awesome installations and incredible artwork. An awesome “[tran-sekt]” exhibition opening night at Kardinal Hall in Charlottesville, Virginia. 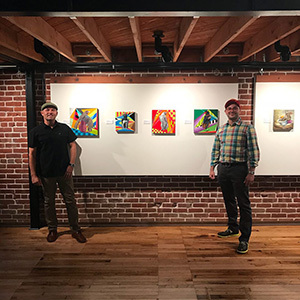 The “[tran-sekt]” Exhibition – Solo works by Monty Montgomery]” which opened this past Friday night at Kardinal Hall in Charlottesville, Virginia went awesome and eight of the available twelve paintings found new homes on opening night. I am so thankful for the continued support and for the moments shared with so many wonderful folks! High Five’s to everyone that helped make this evening possible! Here are a few views of the works before the exhibit opened. 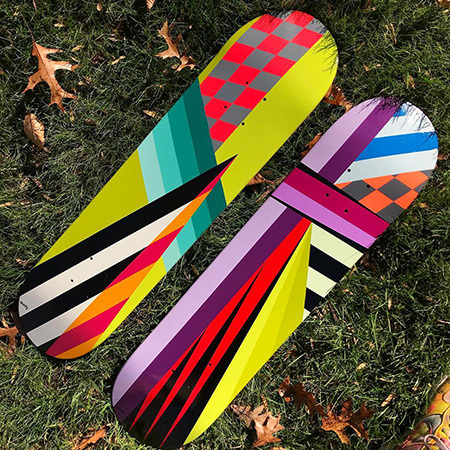 Fresh decks for the “[tran-sekt]” exhibition in Charlottesville, Virginia. 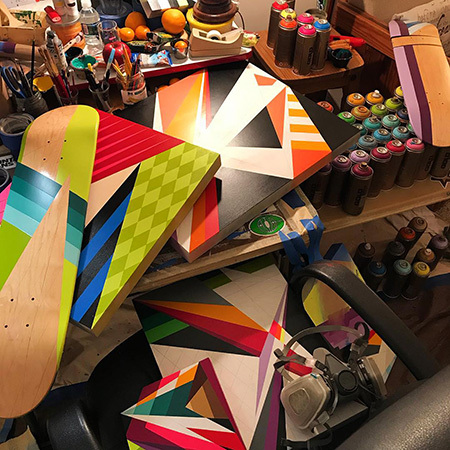 New skate decks fresh out of the VA studio for the upcoming “[tran-sekt]” Exhibition – Solo works by Monty Montgomery opening this “First Friday”, 6-9pm in Charlottesville, Virginia at Kardinal Hall . Working away in the hills of Virginia. Saturday morning with Sofie and Leo in Nashville, TN. An awesome creative morning with Leo and Sofie here in Nashville, Tennessee. So special sharing moments with my dear friend Tricia Lopez Hagedorn and her family. 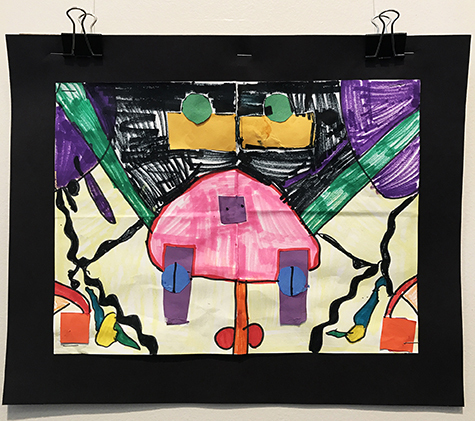 A little Yo-Yo action and some serious color hitting on Sofie and I’s first collaborative marker drawing titled, “Bubble Fun”. So thankful for these special moments along the way. Have a great Saturday everyone! 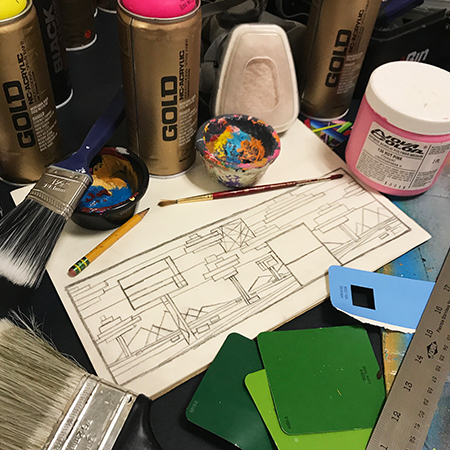 Creative moments at the VA studio. 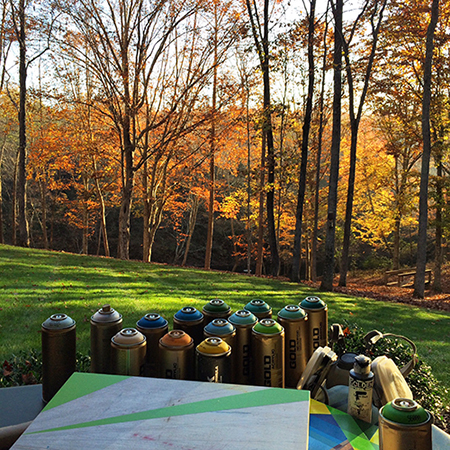 Creative moments through the ~ FALL~ season here at the studio in the woods of beautiful Visit Virginia’s Blue Ridge . 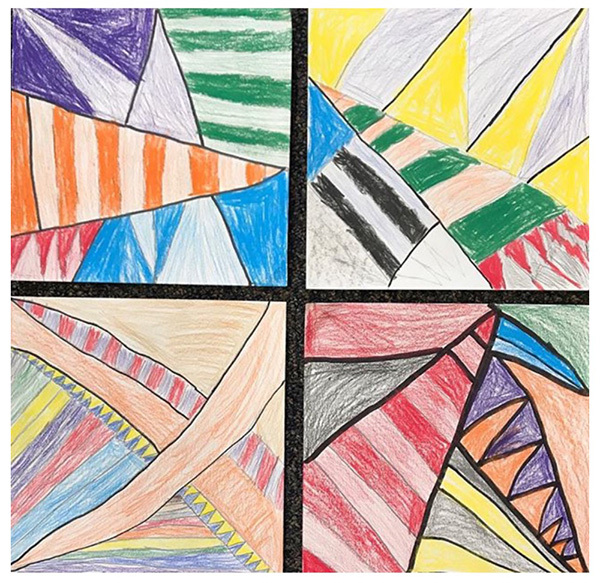 The awesome natural sounds and color combinations from “Mother Nature” inspire by the minute. 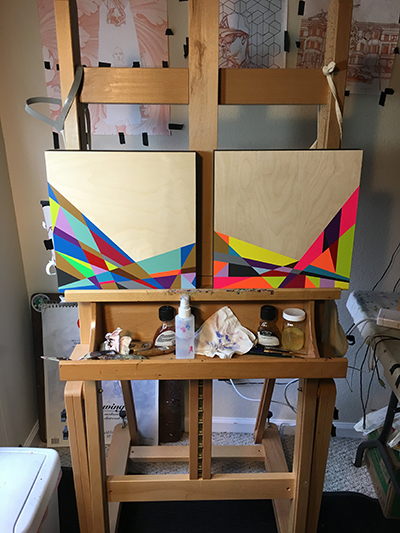 New works coming to life for my upcoming solo exhibit titled [tran-sekt] on “First Friday” December 1, 2017 6-9pm at Kardinal Hall in Charlottesville, Virginia . 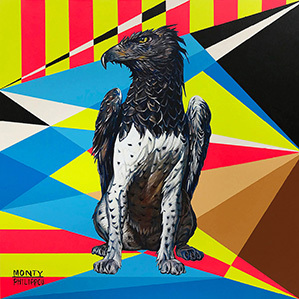 Hit “Exhibitions” on montymontgomeryart.com for details. See you there! 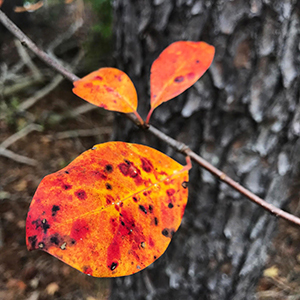 #loveva #nature #montanacans #acsart #montymontgomery — with Garrett Dutton, Montana Cans (official), Visit Virginia’s Blue Ridge, Virginia is for Lovers, Virginia and Artist & Craftsman Supply San Diego in Holly Grove, Virginia. “THE WILD ROBOT” collaborative mural at the Virginia Children’s Book Festival 2017 is complete. 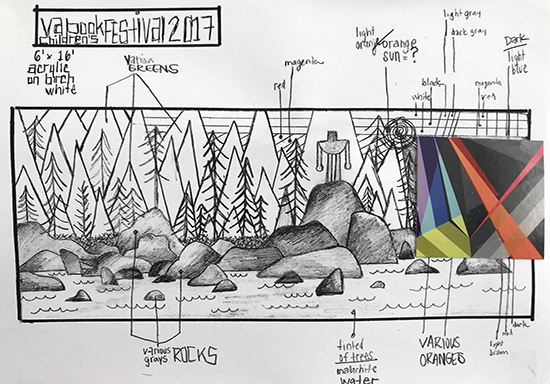 Final images of the collaborative “LIVE” mural during the Virginia Children’s Book Festival 2017 at Longwood University along with the original sketch. 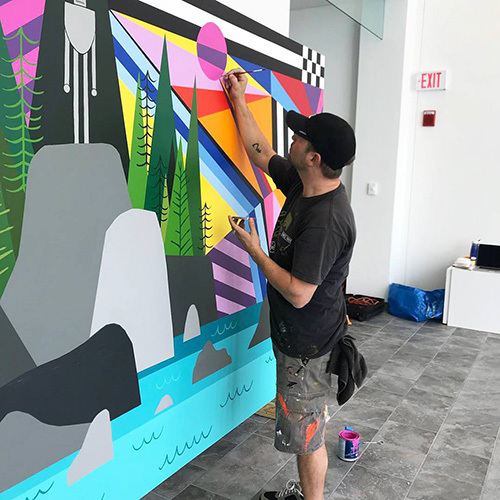 It was an honor to Art Direct this mural project in Bedford Gallery for the second year while sharing so many creative moments with the children drawing and painting the imagery from Peter Brown Studio‘s “The Wild Robot” and filling the sky with my “Fractal series” visuals. 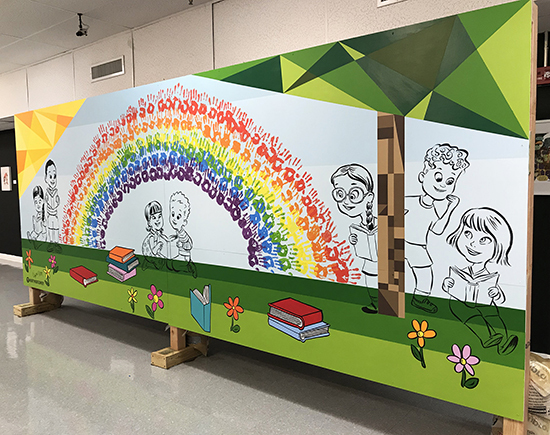 The VCBF brings together authors, artists, and illustrators with exciting, dynamic programs to foster the enjoyment of reading among Virginia‘s youth. High Five’s to Juanita Giles, Mary Jo Creaney Stockton, the entire VCBF Family and to everyone who volunteered, supported, and provided for this years festival! 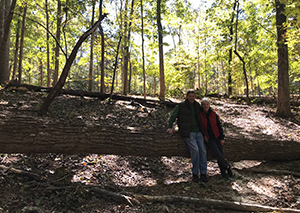 A special thank you to Randy and Cricket Edmonson for hosting me, to Christopher M. Register, Janet Gard McQueen, Terri Sabatos, and the Art department crew for providing the perfect space and to my Mom, Dianne Montgomery and Cricket for assisting me through the entire project! 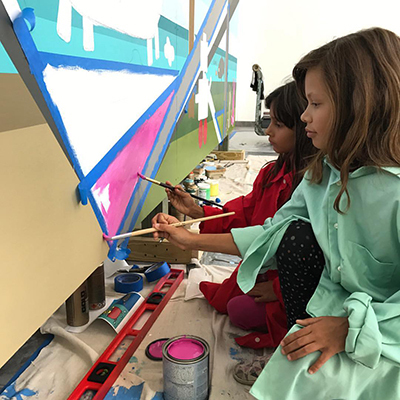 The kids are painting away on the mural at the Virginia Children’s Book Festival! 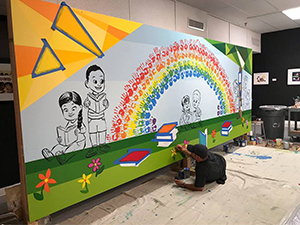 A few awesome moments from the collaborative “LIVE” mural at the Virginia Children’s Book Festival in Farmville, Virginia at Longwood University. 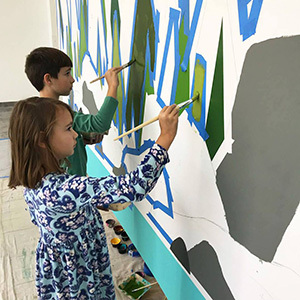 The kids are doing an amazing job painting the imagery of Peter Brown Studio‘s “The Wild Robot”. His titles include New York Times bestsellers like The Curious Garden, Children Make Terrible Pets, and Mr. Tiger Goes Wild. Peter’s illustrations for Creepy Carrots, written by Aaron Reynolds, earned him a Caldecott Honor. The VCBF brings together authors and illustrators with exciting, dynamic programs to foster the enjoyment of reading among Virginia’s youth. Bring on day two. Come join us! Here we go in Farmville, Virginia! Time for the Virginia Children’s Book Festival 2017! Getting the wall built and prepping here in Bedford Gallery at my Alma Mater, Longwood University for this year’s “LIVE” mural at the Virginia Children’s Book Festival 2017! 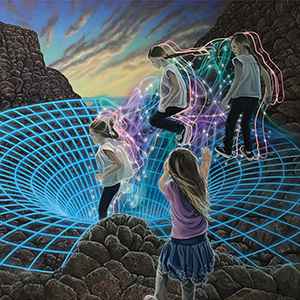 I will be painting over all three days of the festival with the kids and folks of all ages combining my visuals with the imagery of Peter Brown. Peter is an author and illustrator of children’s books. His titles include New York Times bestsellers like The Curious Garden, Children Make Terrible Pets, and Mr. Tiger Goes Wild. Peter’s illustrations for Creepy Carrots!, written by Aaron Reynolds, earned him a Caldecott Honor. The Virginia Children’s Book Festival is a three-day event October 19-21, 2017 that brings together authors and illustrators with exciting, dynamic programs to foster the enjoyment of reading among Virginia’s youth. Please join us October 19-21st! 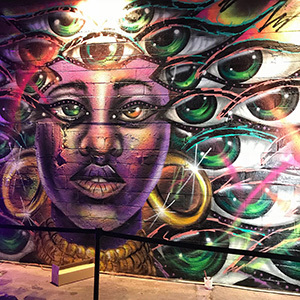 Another “LIVE” Kreashun mural in the books completed at KAABOO 2017! 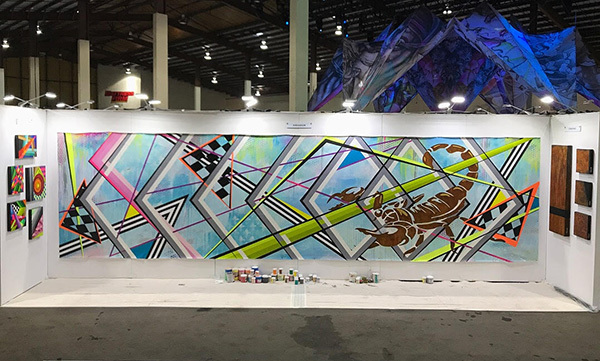 Completed views of the Kreashun 23′ x 6′ canvas piece painted “LIVE” at KAABOO Music and Contemporary Arts festival in Del Mar, CA on September 14-17, 2017. It was an amazing four days of creating while being surrounded and inspired by so many talented artists & friends. “Black Line Time” here at KAABOO! 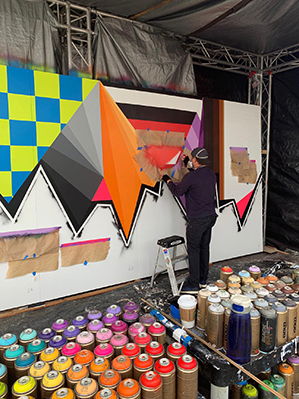 Details begin to come in on the collaborative KREASHUN mural that will continue “LIVE” over the three day music and #contemporaryart festival in Del Mar, California. 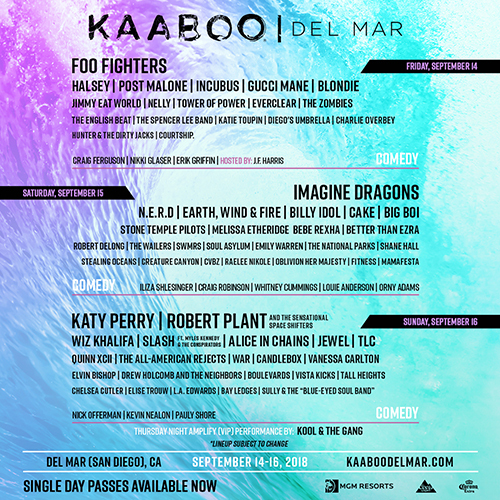 Come join the KAABOO experience. 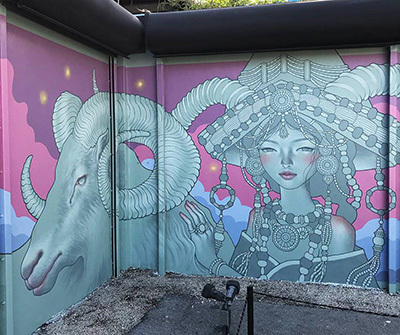 kreashun.com #kaaboo #kaaboodelmar #kreashun #jfeather #montymontgomery #muralism #montanacans #neofuturism — with Monty Montgomery, KREASHUN, Montana Cans (official) and KAABOO at KAABOO. 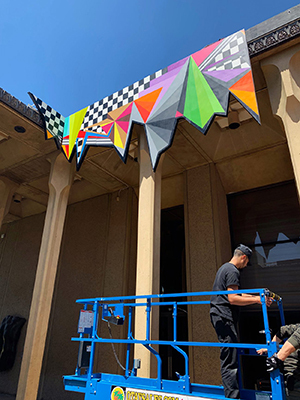 The install is currently going down here at KAABOO with new solo pieces and the 22′ x 6′ collaborative KREASHUN mural that will continue “LIVE” during the three day festival September 15-17 Del Mar Fairgrounds . 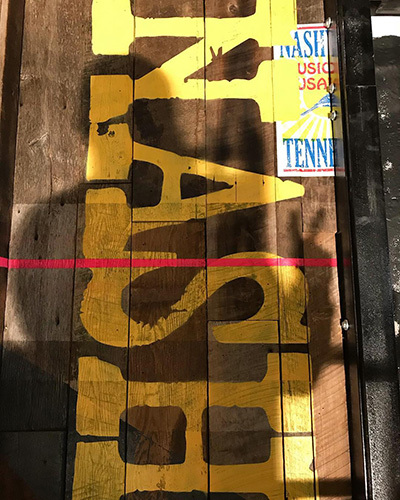 Come be a part of the #kaabooartwork experience. 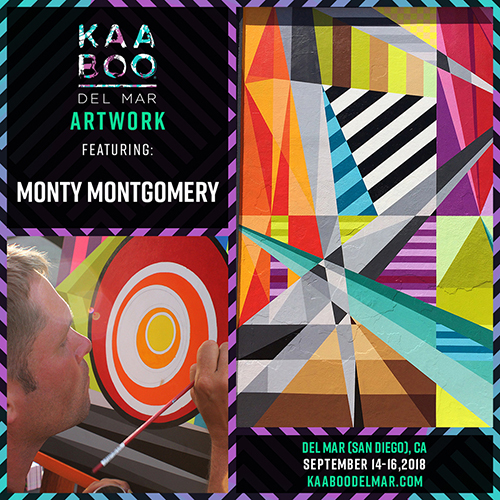 Get your passes at kaaboodelmar.com #kaaboo #kaaboodelmar #kaaboo2017 #artist #kreashun #montymontgomery #jfeather #muralism — at KAABOO. 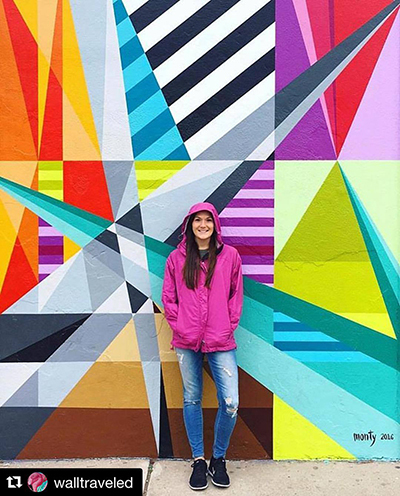 Thanks to “WALLTRAVELED” for the feature on their instagram feed! 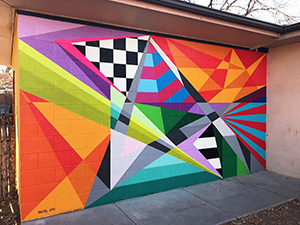 “Fractal #35” mural by Monty Montgomery 9′ x 13′ with Montana Gold aerosol located in the North Park, San Diego neighborhood in San Diego, California on the corner of 30th and Gunn street at The Studio Door gallery. 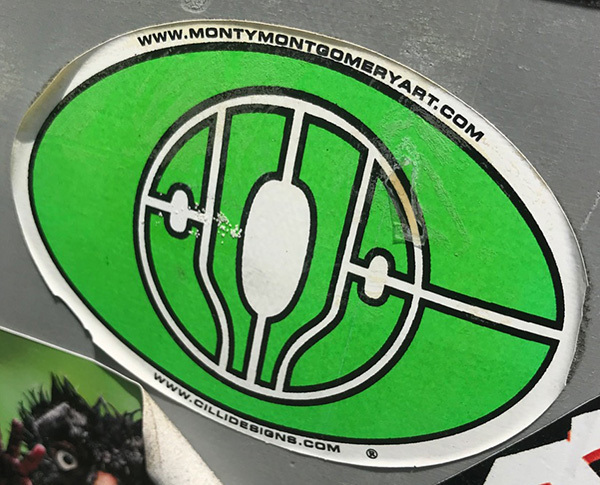 montymontgomeryart.com #walltraveled #montymontgomery #montyart #graffuturism #neofuturism #northparksd — at The Studio Door. 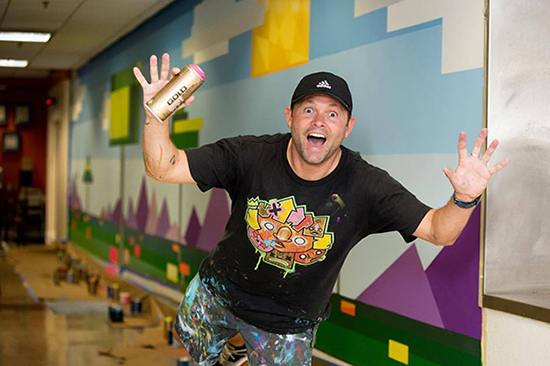 Fun moments during the creation of the “Moment #42” mural at Longwood University! 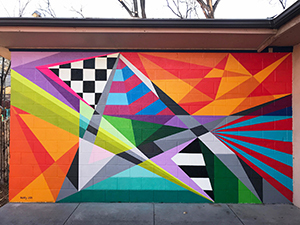 Good times captured last week by Courtney Vogel Photography as the “Moment #42” mural was in the final stages of completion. An article will hit in the “Class Notes” section of the @longwoodalumni Magazine next issue! 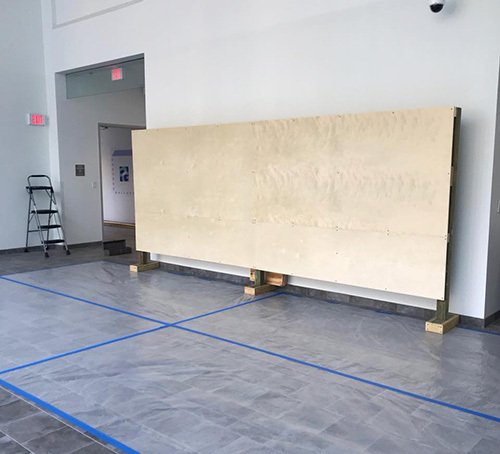 The 75′ x 8′ -Nature Series- mural in Dorrill Dining Hall at Longwood University in Farmville, Virginia is now complete with progress photos continuing. 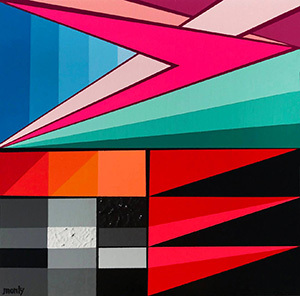 longwood.edu montymontgomeryart.com Montana Cans (official) | @goldenpaints | Liquitex Artist Materials | Valspar Paint #longwooduniversity #muralism #paintfarmvilleva #geometriclandscape #neonature #montanacans #montymontgomery — with Montana Cans (official) and Juxtapoz Magazine at Longwood University. 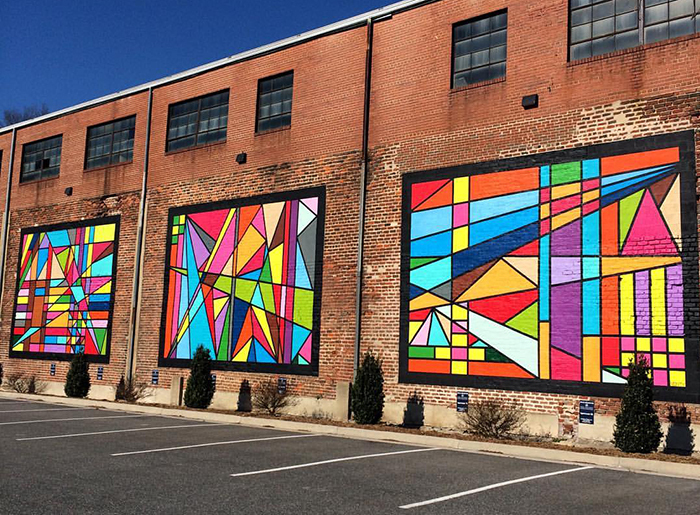 The “Warehouse Triptych” mural in Farmville, Virginia is shining like new! 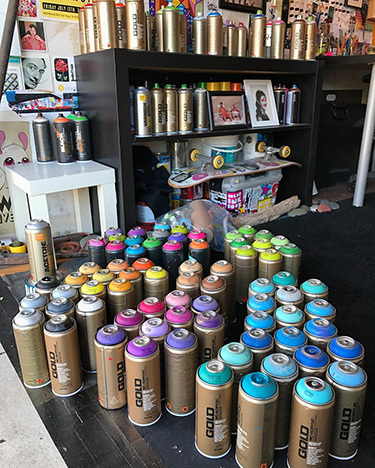 All “Touch Ups”, Montana Cans (official) color additions, and a fresh coat of varnish are now completed on the “Warehouse Triptych Mural” which was created Circa 2014 here in “FARM VEGAS”. 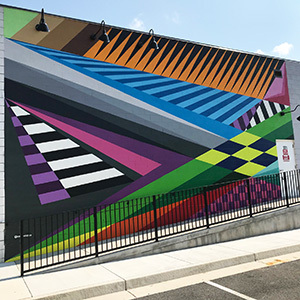 The mural is 90′ x 20′ on historic brick located in the HEART of Farmville, Virginia at the Farmville Community Marketplace in the Farmville Historic District. Thank you to the Town of Farmville, Virginia and the Downtown Farmville Partnership for having me back to take care of this piece. 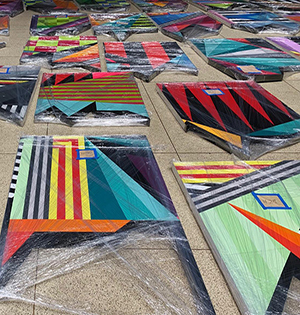 Props to the Richmond, VA Plaza Artist Materials & Picture Framing crew for your help with supplies and to everyone who was a part of bringing this project to life! ? 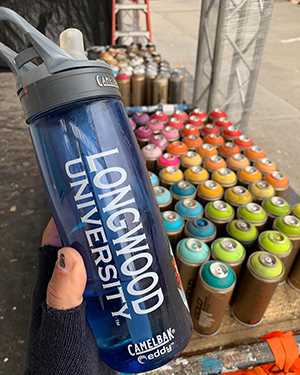 A new “Nature Series” mural coming to life at Longwood University in Farmville, Virginia. 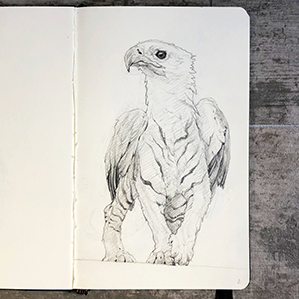 A little sketch of the 75′ x 8′ “Nature Series” mural currently coming to life here at my alma mater, Longwood University in Farmville, Virginia . “Moment #42” is located in the Dorrill Dining Hall right in the heart of campus across from the Lankford Student Union on Brock Commons. 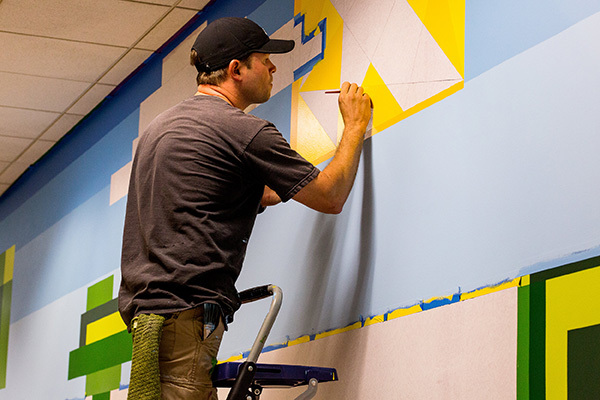 The new mural will join the “Eastern Rays” and “Fractal Series” murals completed on campus in 2014. “Diego” spreads a little love at San Diego Comic-Con! 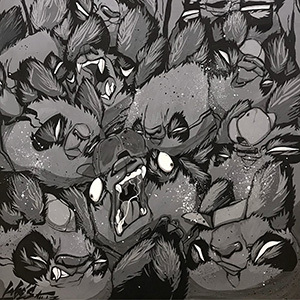 It’s the final day of Comic-Con International in the Gaslamp Quarter of Visit San Diego so cruise on by the #hopupgallery located at 453 Fifth Avenue to hang with “Diego” and the rest of the #rabbitville family! 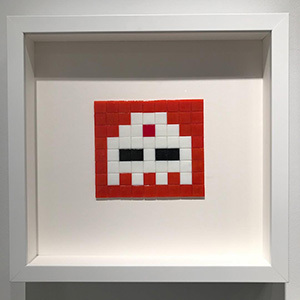 “Diego” will continue to make appearances throughout the city before finding his permanent location. 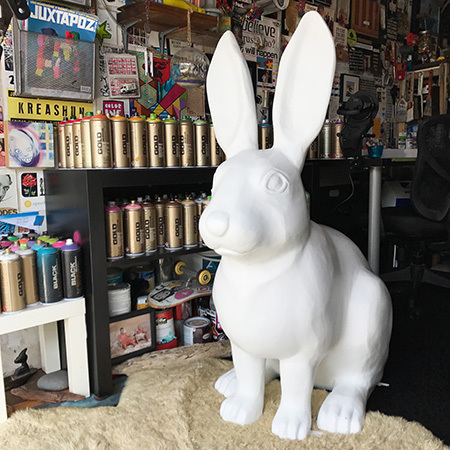 The statue was painted for the #Rabbitville Project as part of the @gaslampquarter Association 150th anniversary installation of fifteen, four foot, fiberglass rabbit statues to be permanently installed through the heart of @sandiego . 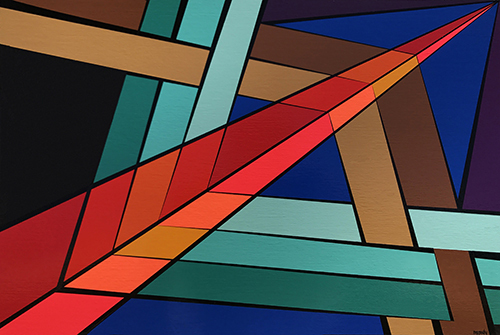 A “Fractal” series original from the “Lines and Shapes” exhibition finds a new home in Canada! 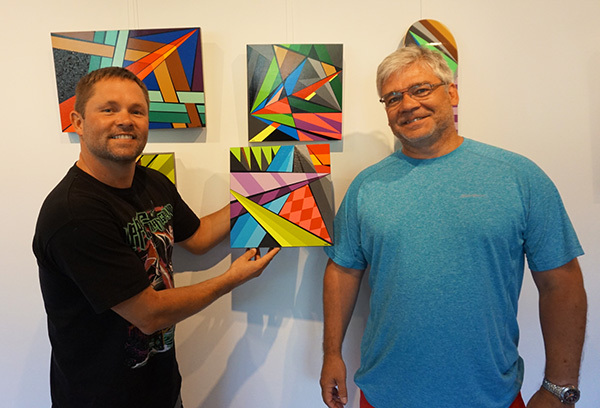 “Fractal #65” takes off to Vancouver, British Columbia with new collectors Ian and Carolyn Tait. Honored to have met these fine folks and to call them my new friends. Thanks so much for your support guys, I truly enjoyed hanging out and I look forward to crossing paths again in Canada! 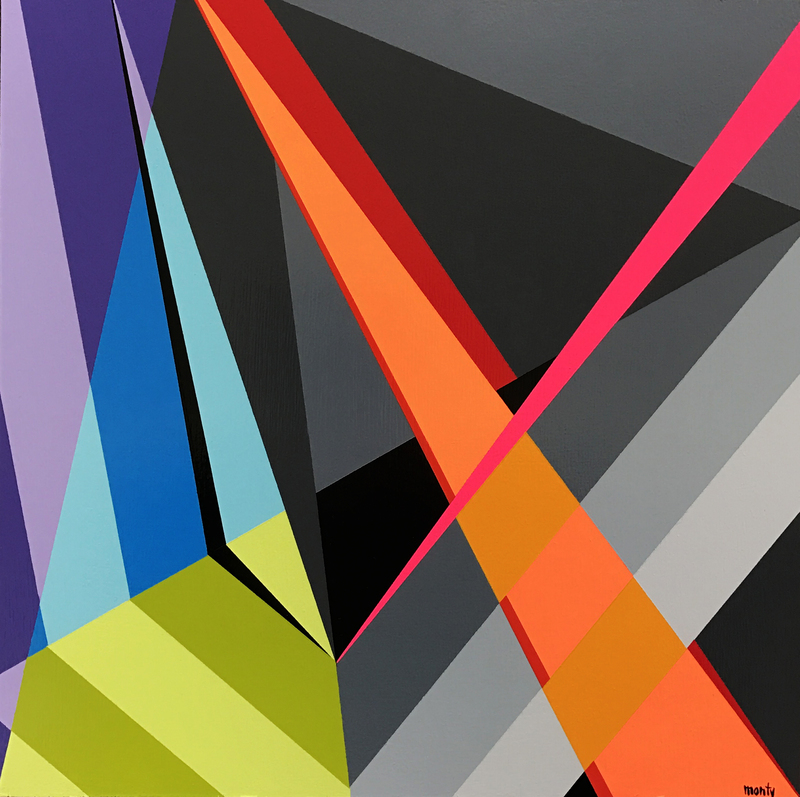 “Fractal #65” was purchased by the Tait’s in the preview period of “Lines and Shapes” at “The Gallery” at the Maury Young Arts Centre. The exhibition opened July 15, 2017 and runs through August 16, 2017. 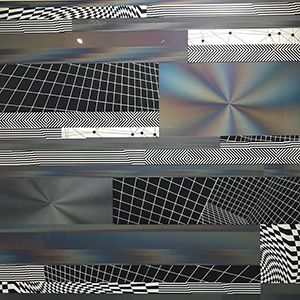 Website: http://www.thegallerywhistler.com/ — at Maury Young Arts Centre. What an awesome city you are Portland, OR. I came across this really nice piece by the very talented Blaine Fontana while checking out the Alberta Arts district today, a very meaningful piece. What an awesome city you are @portland , I cannot wait to return! 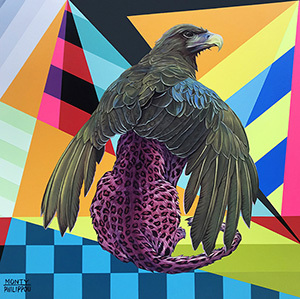 Up next, @seattlewashington to visit the @seattleartmuseum and catch various works through the @seattlemuralproject! 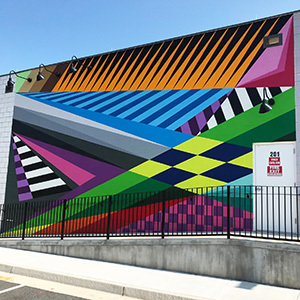 #albertaartsdistrict #blainefontana #muralism #portland #oregon #pacificnorthwest #pacificcoast #mural #contemporaryart #urbancontemporary — at NE Portland Area. 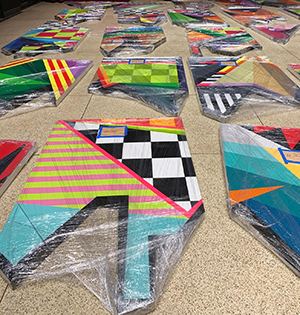 The Gaslamp Quarter Association in conjunction with Downtown Partnership Clean and Safe will collaborate in a 150th anniversary celebration with the installation of 15 fiberglass rabbit statues in the Gaslamp Quarter. 150 years ago, the area that is now the Gaslamp Quarter was jokingly nicknamed “Rabbitville” after its chief inhabitants. 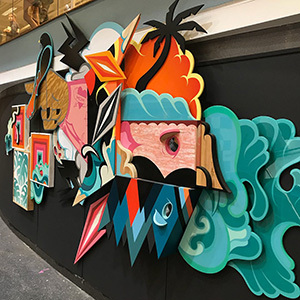 The “Rabbitville” installation will honor the pioneering spirit of legendary founder, Alonzo Horton, who transformed Rabbitville into modern San Diego. 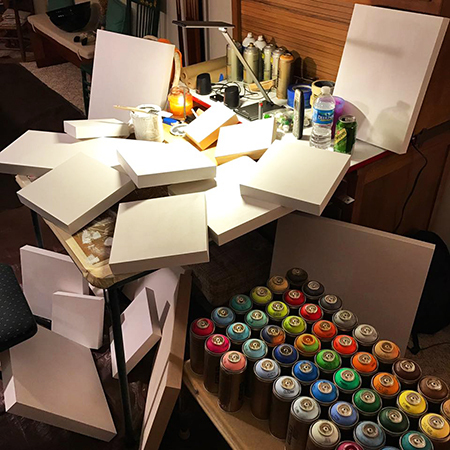 15 artists will be commissioned to paint and decorate these unique canvases that will be on display to the public later in 2017. 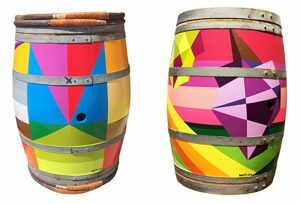 The Gaslamp Quarter Association is reaching out to corporate patrons to share in the celebration by sponsoring one of the 15 sculptures. 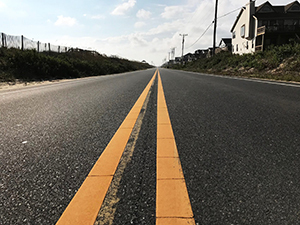 Media, and Promotional opportunities are available to these partners and funds raised by this project will help in a new enhanced decorative lighting campaign to go on Fifth Avenue in 2018. Visit the links below for more information. Locations and the completed Rabbit will be released soon! 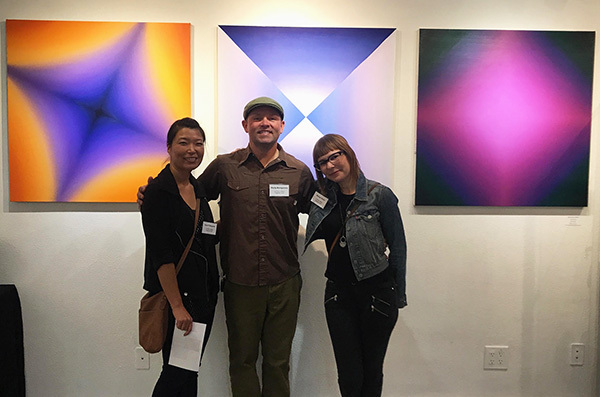 Thanks to Sonya Sparks, Emily Knapp, Jess Amaya, and the Sparks Gallery family, Erin Liddell, and everyone at the Gaslamp Quarter Association ® for the invitation to create for our beautiful city! The one and only Mt Shasta! Great times in San Francisco and Berkeley, CA catching up with Jane Catherine and Todd Parr before reaching beautiful Mount Shasta, California on July 4th. The @mtshastatrails were challenging and the fireworks over Lake Siskiyou were booming! Had to pull over for one last view of this powerful mountain before heading to Portland, Oregon. Hope you all had a safe, awesome 4th! 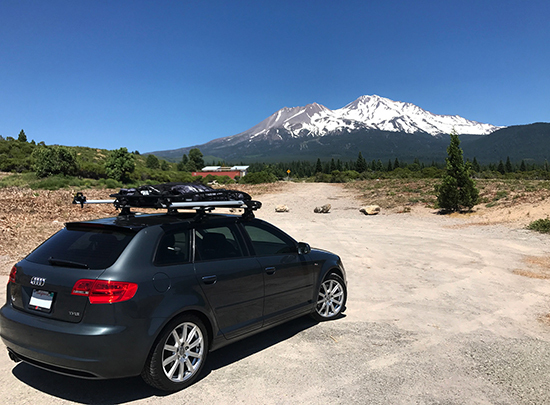 #mtshasta #mountain #lakesiskiyou #nature #californiaadventure #leftcoast #journey #travel #audi #pnwonderland #westcoast #art #adventure — with Mount Shasta in Mount Shasta, California. As this artistic journey continues along the Pacific Coast and into Canada for my exhibition opening at The Gallery at the Arts Centre on July 17th in downtown Whistler, BC , I’ve currently pit stopped here in beautiful Monterey Bay, CA to visit the @montereybayaquarium and enjoy a little of that coastal energy, a beautiful location to spend the day taking in ~Nature~. Next to Santa Cruz, and then on up the #pch into San Francisco! So thankful for these inspiring moments. 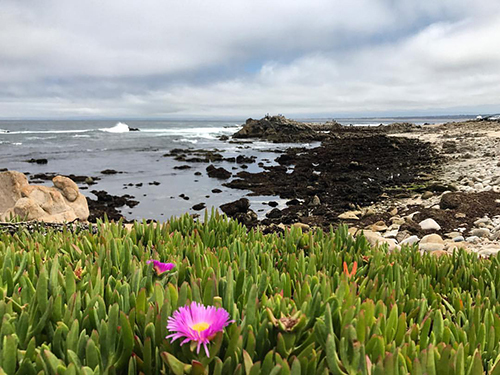 #highway101 #hwy1 #pacificcoasthighway #montereybay #montyart #pacificcoast #leftcoast — at Monterey Bay Aquarium. 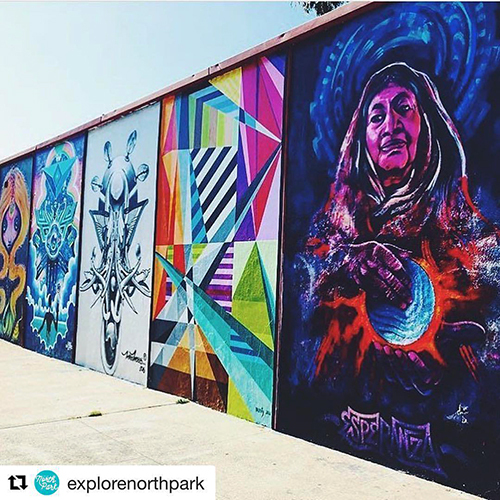 Thanks to Explore NorthPark for the LOVE! “Diego” is currently hanging out at the Hard Rock hotel in the Gaslamp Quarter of San Diego, California. 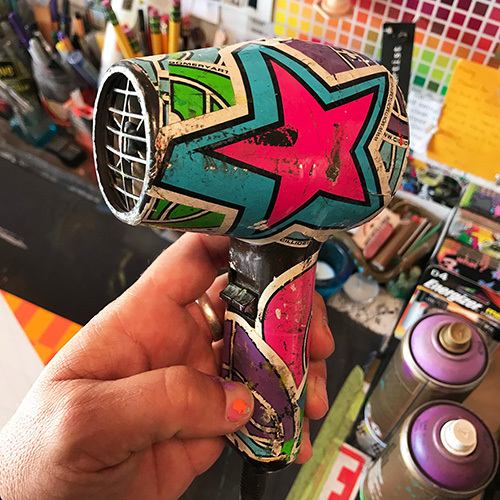 “Diego” got a fresh new clear coat and is currently hanging in the main lobby of Hard Rock Hotel San Diego in the Gaslamp Quarter of San Diego before choosing his permanent location to call home. The statue was painted for the “Rabbitville” Project which is part of the @gaslampquarter Association 150th anniversary celebration installation of fifteen, four foot, fiberglass rabbit statues to be permanently installed through the Gaslamp Quarter of @sandiego . 150 years ago, the area that is now the Gaslamp Quarter was jokingly nicknamed “Rabbitville”. 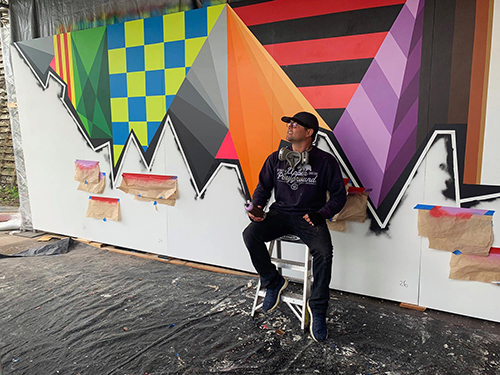 The “Rabbitville” installation will honor the pioneering spirit of legendary founder, Alonzo Horton, who transformed Rabbitville into modern @sandiego . 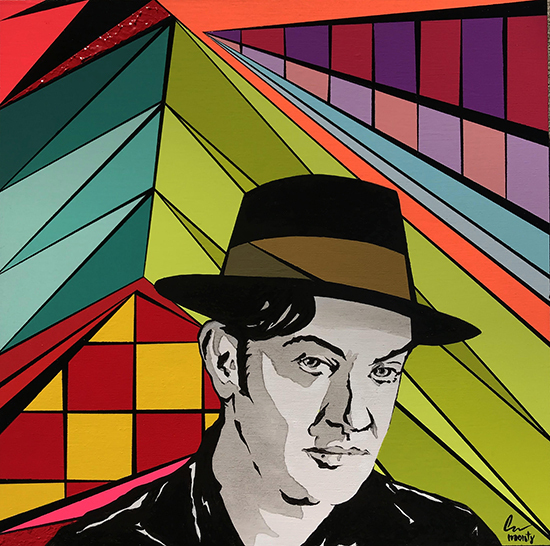 Honored to be one of the artists commissioned to paint this unique canvas for our city and all of its visitors. 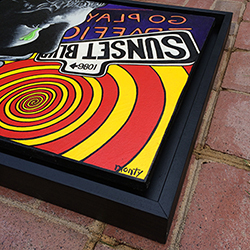 Thanks to the Sparks Gallery TEAM, Erin Liddell, and the Gaslamp Quarter Association ®. Visit gaslamp.org for “Rabbitville” details and view larger images in the “Portfolio” on montymontgomeryart.com . 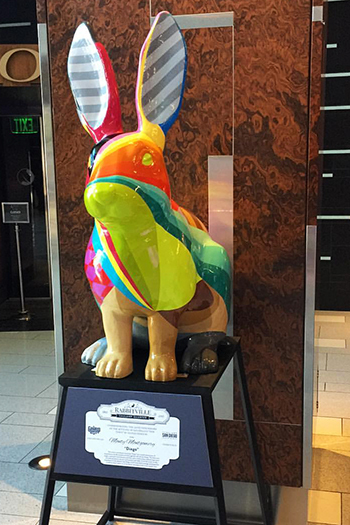 #rabbitville #rabbit #sculpture #hardrockhotel #sandiego #gaslampquarter #gaslamp150 #GaslampSD #montymontgomery #montyart — at Hard Rock Hotel San Diego. 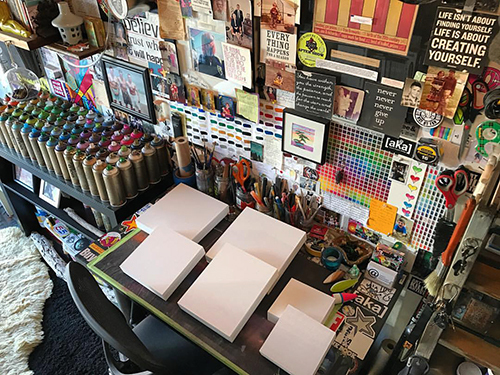 After eight months on the road exhibiting and creating in various locations, there’s something very special about that first moment back here in San Diego, CA creating once again in this studio that I love so much. It will always have such a specific, powerful energy that just feeds me. The “Fractal #60” solid birch commissioned door is now installed in Charlottesville, Virginia. 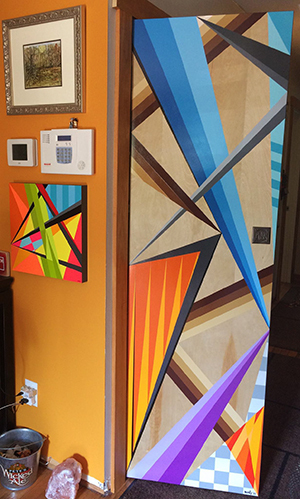 The new “Fractal Series” door is now installed in the home of Pete and Beth Akey in Charlottesville, Virginia. “Fractal #60” is solid birch and was the first door that I have ever taken on. I wanted to allow the tones and patterns of the beautiful wood to come through while creating an interesting motion and energy that bounced around inside the shape. 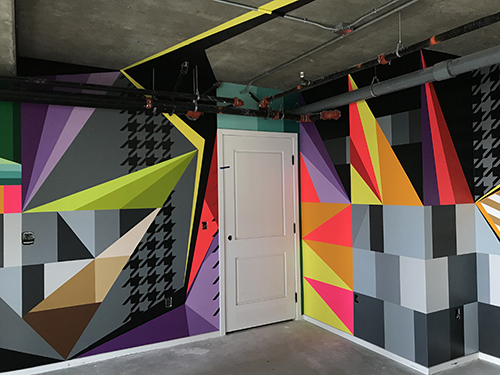 Specific color choices were dialed in with the client to insure a vibe to fit the interior of their abode. 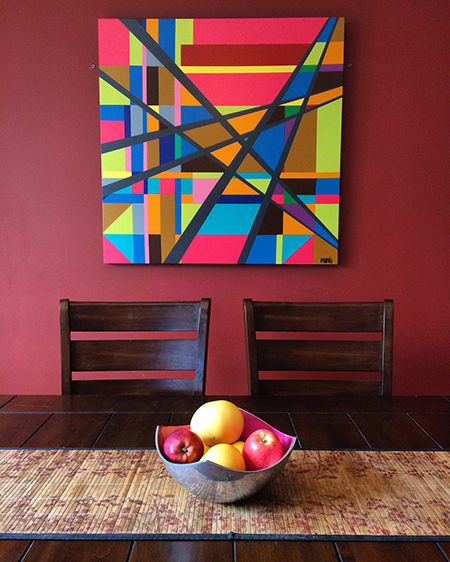 Here is a photo taken by Pete of “Fractal #60” installed with “Fractal #46” featured from their collection as well. 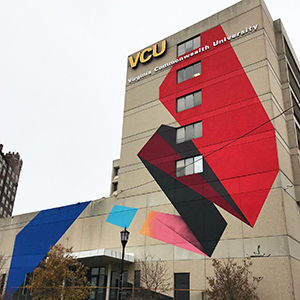 The “BE WHO YOU ARE” mural has been installed at the Children’s Hospital of Richmond at VCU! The final install is complete! 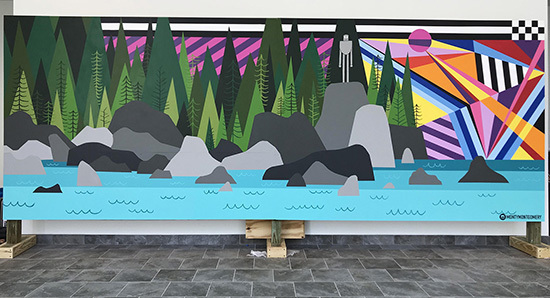 “BE WHO YOU ARE” | 6′ x 16′ | Acrylic Latex, Nova Color Acrylic Polymer, and Montana Cans (official) aerosol on white birch panel | A “LIVE” collaborative mural with Todd Parr during the 2016 Virginia Children’s Book Festival at Longwood University in Farmville, Virginia. The talented children and attendees of the festival painted with us on the mural over the three days. 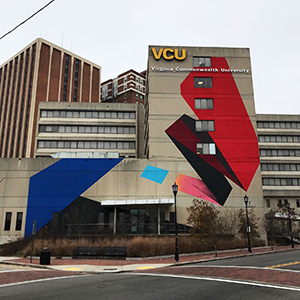 The mural has been donated and is permanently installed in the main entrance at the Children’s Hospital of Richmond at VCU . 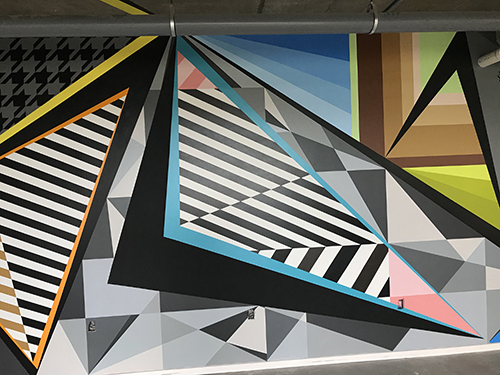 We hope everyone enjoys this mural for years to come! 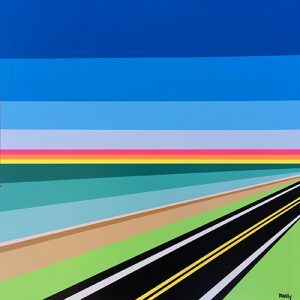 “Annie Girl” 24″ x 24″ x 2″ | @montanacans | @liquitexacrylic on @fredrixcanvas | One of the final “Right Coast” paintings currently coming to life in the VA studio before the journey home to @sandiego begins. 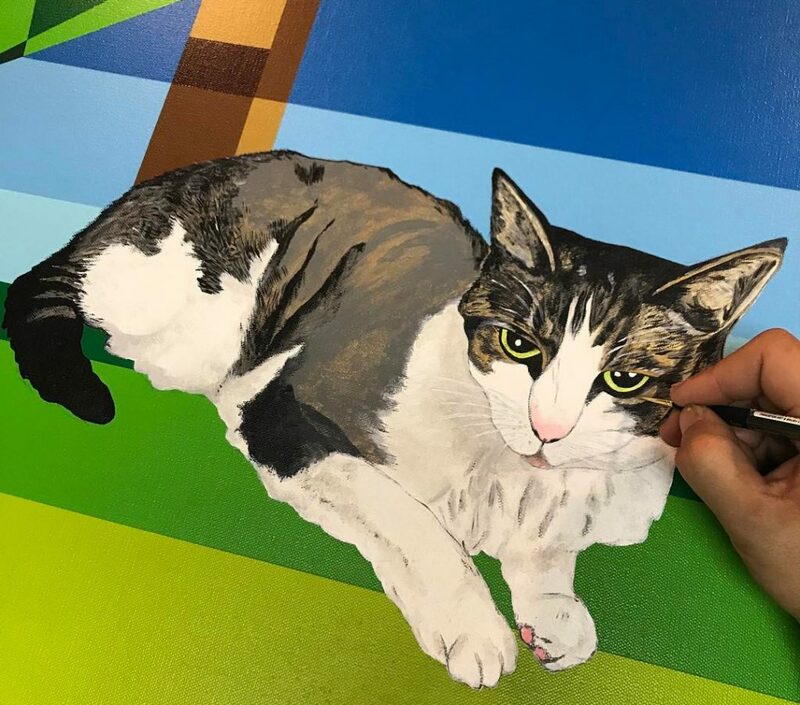 For commissioned works contact Artist through the “Contact” link on montymontgomeryart.com #wip #painting #cat #meow #liquitex #montanacans #montymontgomery #montyart — in Holly Grove, Virginia. A surprise from my folks on opening night in Orlando, Florida. 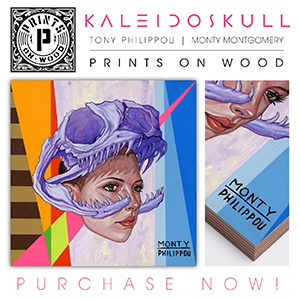 Three of the ten collaborative paintings with my good friend Tony Philippou under our “Kaleidoskull Project” are now available to purchase through “Prints on Wood”. 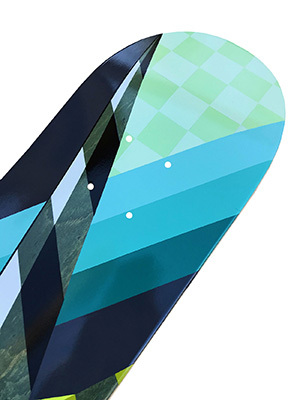 All works are printed on 3/4″ (18mm) birch wood and are available in select sizes and finish types. The pieces are ready to hang straight out of the box! 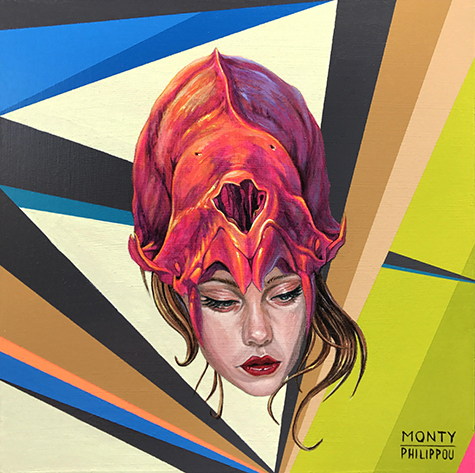 View these original paintings and the entire “Kaleidoskull” exhibition through the “Kaleidoskull Project” in the “Portfolio” section on montymontgomeryart.com and in the gallery on tonyphilippou.com. We hope you enjoy your prints! 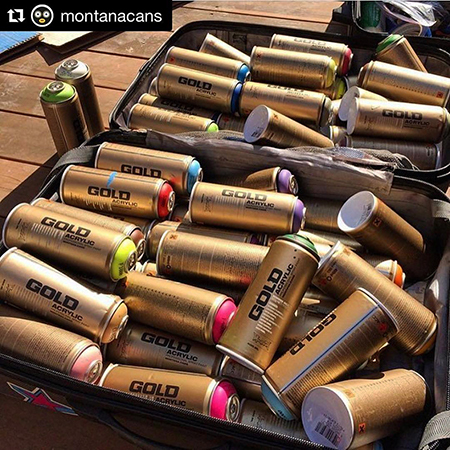 Many thanks to the Montana Cans (official) team for the mention and support. Thanks so much to everyone who came out last night to the opening of Dih-vurt at Kardinal Hall in Charlottesville, Virginia. It was truly awesome sharing so many special moments with wonderful people from all over the map. So thankful to share that nine original works found new homes in the “C-Ville” area, the continued support means so much! 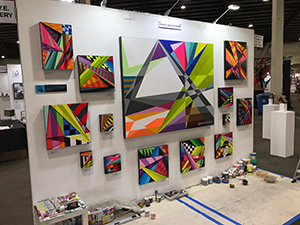 New works coming to life in VA for the “[dih-vurt]” exhbition at Kardinal Hall in Charlottesville, Virginia. 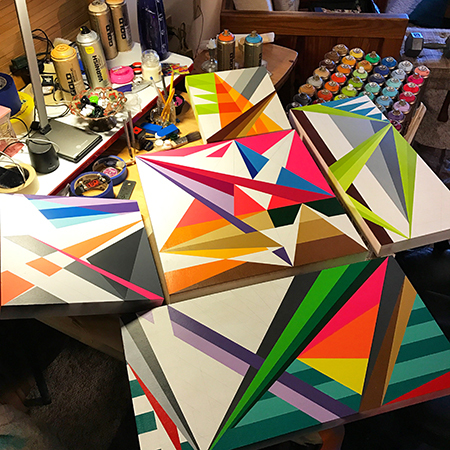 A glance into the new works in progress at the Virginia studio for the upcoming solo exhibit “[dih-vurt]” Kardinal Hall in Charlottesville VA opening on “First Friday’s” April 7, 2017 6-9 pm. One of the most powerful and mesmerizing pieces of art I have ever experienced. 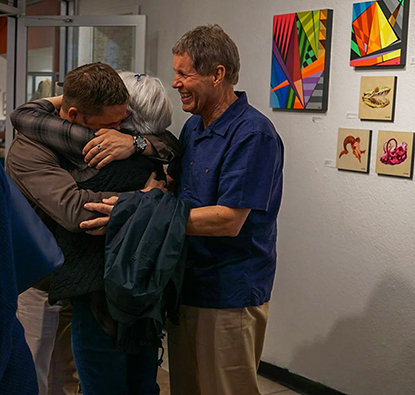 Thanks again to everyone in Orlando, Florida and beyond for all the energy and support on opening night of the “KALEIDOSKULL” exhibition at Redefine Art Gallery. ? 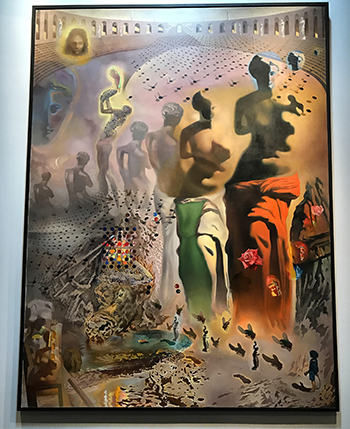 The great vibes continued onward to Tampa Bay and a creative day in St. Petersburg at the The Dali Museum taking in so many fascinating works of art. 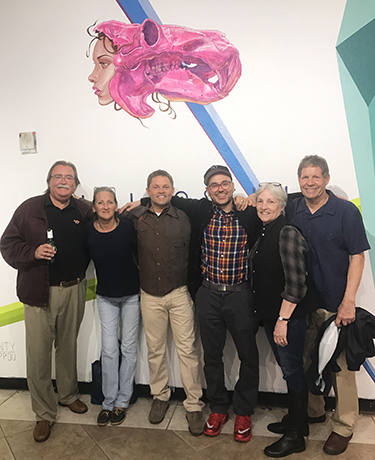 Thanks so much to everyone who attended the opening of the collaborative “KALEIDOSKULL” exhibit with my talented brother Tony Philippou at Redefine Art Gallery in the CityArts Factory building in Orlando, Florida. Folks from all over made the journey to support and my parents surprised me by driving in from Virginia! 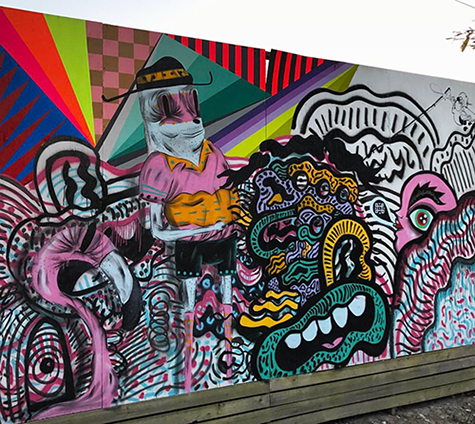 A little vibe added to the “Collab” wall in Orlando, Florida. 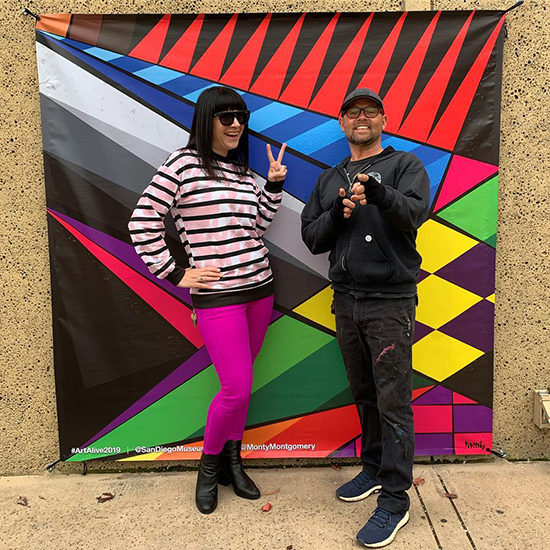 A High Five going out to @wolfrich and @vintagerevibes for hosting me at their awesome abode in @orlando while bringing the “KALEIDOSKULL” exhibition and mural to life @redefinearts with @tony_philippou. 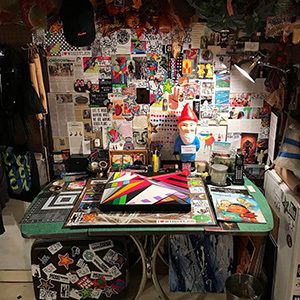 So many great memories shared with new friends and such a blast adding a little vibe to the collaborative wall featuring work by @wolfrich | @ramirostudios | @dotheroad | @grooseling | @ratchinyc & @dentonburrows . 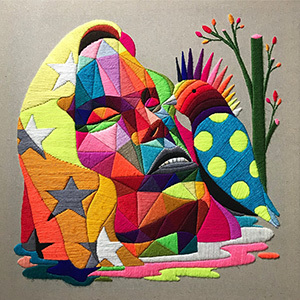 “KALEIDOSKULL Turtle” is one of the paintings completed with Tony Philippou for our upcoming “KALEIDOSKULL” exhibition of various collaborative and solo works at Redefine Art Gallery in Orlando, Florida. 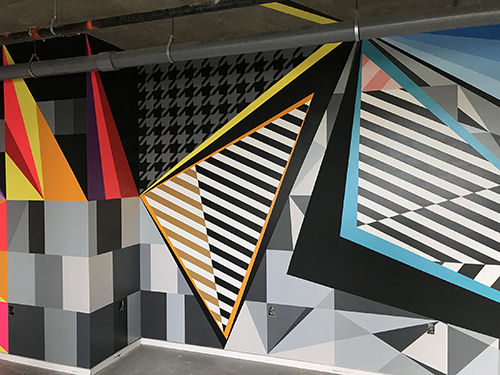 Tony and I have been bringing works to life over the past 7 months and we have also created a mural as well to be unveiled at the gallery. The exhibition will opens TONIGHT, Thursday, March 16, 2017 6 – 10pm. Redefine is located at 29 S. Orange Ave. Orlando FL 32801 on the corner of Orange and Pine Street, at the City Arts Factory Building in the heart of downtown Orlando. 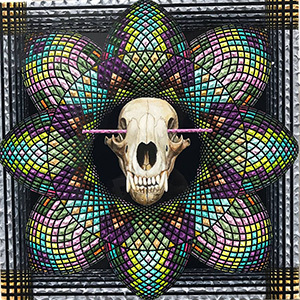 *View all of the works through “Kaleidoskull Project” in “Portfolio” on this site. “KALEIDOSKULL” mural at Redefine Art Gallery in Orlando, Florida is almost complete! 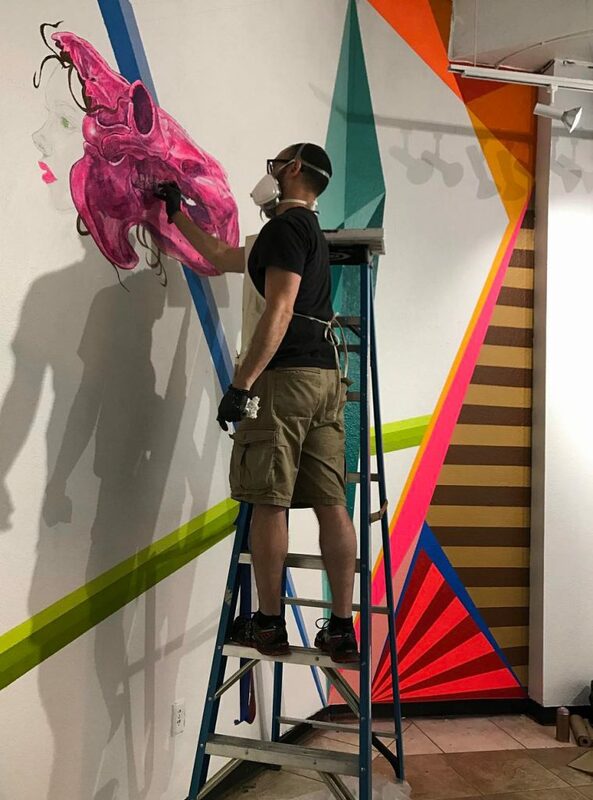 Tony Philippou rolling into the night on our three wall “KALEIDOSKULL” mural at Redefine Art Gallery in Orlando, FL. 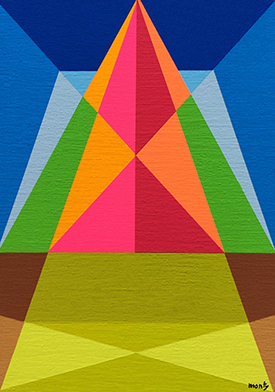 The exhibition will feature 36 solo and collaborative works. Thursday, March 16, 2017 6-10pm. “Kaleidoskull Ram” is ready to join nine other collaborative pieces at Redefine Art Gallery in Orlando, Florida. 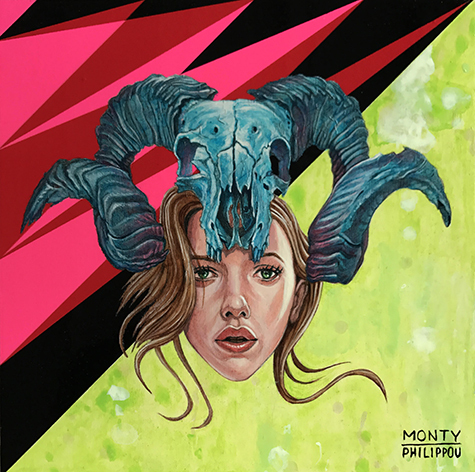 “Kaleidoskull Ram” | Acrylic and Montana Cans (official) on birch panel | 10″ x 10″ x 1.5″ | One of the ten collaborative works with my great friend Tony Philippou for our “KALEIDOSKULL” exhibition opening March 16, 2017 from 6-9pm at Redefine Art Gallery in the CityArts Factory building of downtown Orlando, Florida. 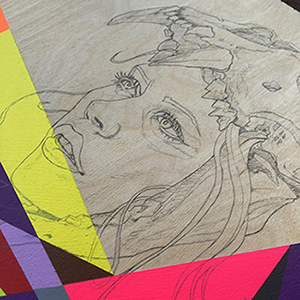 Final touches on our ten collaborative pieces for “KALEIDOSKULL”. 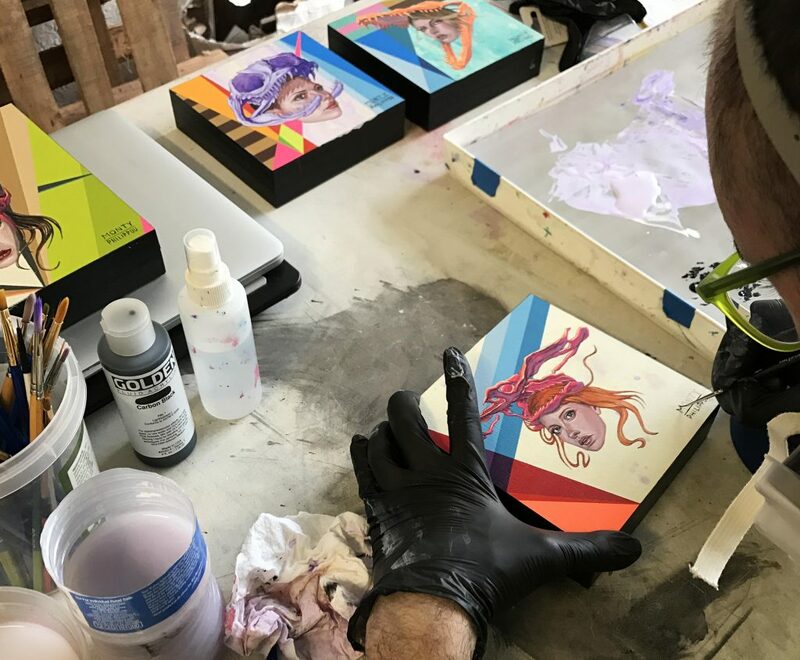 Hang time with my homie Tony Philippou in his Orlando, Florida studio making all of the final touches on our ten collaborative pieces. 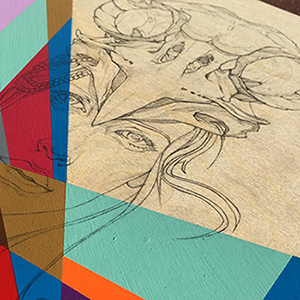 The “KALEIDOSKULL” exhibition at Redefine Art Gallery will feature five solo works a piece and ten collaborative works along with a mural to be unveiled at the opening on Thursday, March 16, 2017 6-9pm. 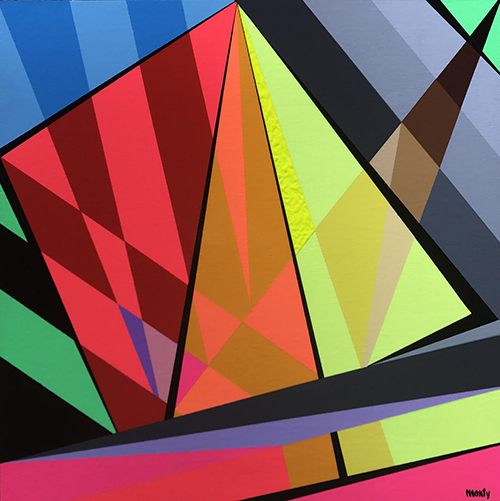 “Fractal #50” ready for the walls of Redefine Art Gallery in Orlando, Florida. 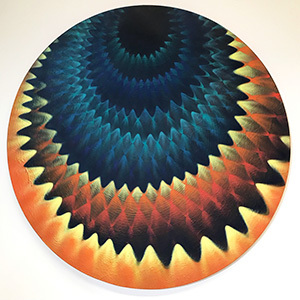 “Fractal #50″ 10″ x 10″ x 1.5” @montanacans on @artistcraftsmansupply birch panel with UV varnish is one of my solo works joining the collaborative “KALEIDOSKULL” exhibit with @tony_philippou in @orlando opening on Thursday, March 16, 2017 from 6-9pm @redefinearts . 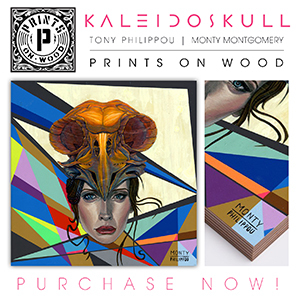 #kaleidoskull #exhibition #redefinegallery #orlando #tonyphilippou #montymontgomery at Redefine Art Gallery. 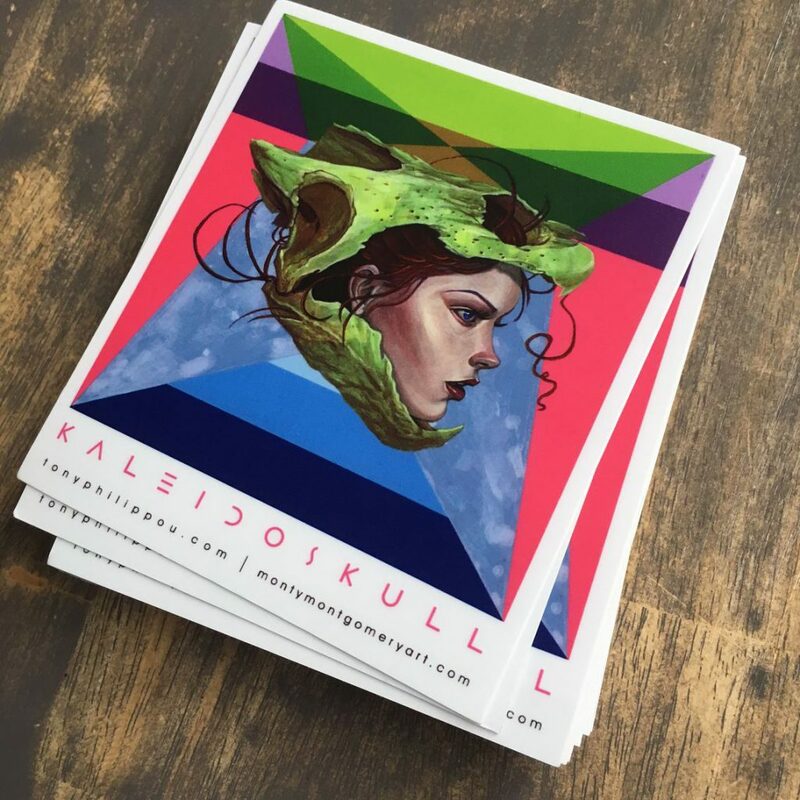 Fresh “KALEIDOSKULL” stickers hot off the press! New stickers all ready for the upcoming “KALEIDOSKULL” exhibition at Redefine Gallery in Orlando, Florida with my homie Tony Philippou. Five solo and ten collaborative works will be featured along with a mural to be unveiled at the opening on Thursday, March 16, 2017 6-9pm. Redefine is located at 29 S. Orange Ave. Orlando, FL 32801 on the corner of Orange and Pine Street, at the City Arts Factory Building in the heart of downtown Orlando. 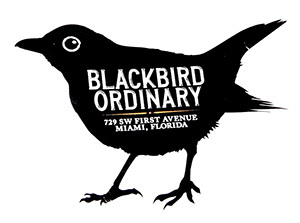 Stickers will be available at the opening. Use the “Contact” page on this site including your address if you would like me to send you a few. 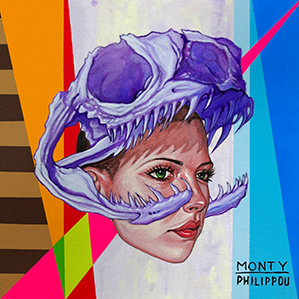 urban/street/illustration/lowbrow/fine arts #tonyphillippou #montymontgomery #redefinegallery #kaleidoskull — at Redefine Art Gallery. 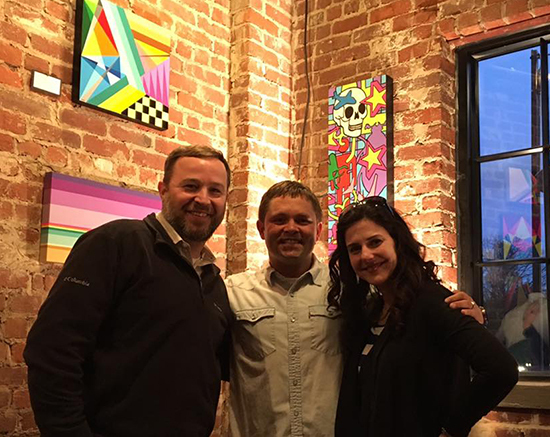 Awesome moments to remember from the Mudhouse Exhibition in Charlottesville, Virginia! Thanks so much to everyone in “C-VILLE” for all the support over the past two months at the Mudhouse Coffee Roasters show. 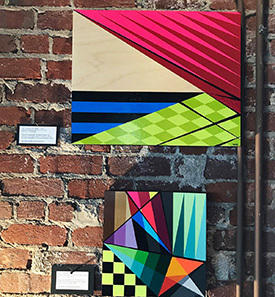 The “Fractal” exhibition of eleven original works featured in Charlottesville, Virginia on the Historic Charlottesville DowntownMall was a blast and eight original pieces found new homes across “Virginia is for Lovers” . “Fractal #38” and the other two remaining pieces are now released to purchase through “Original Works Available” on this site. 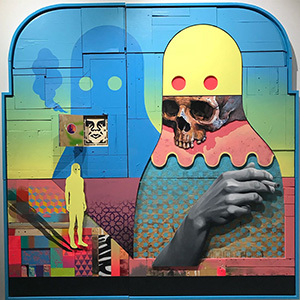 Time to pack the car and journey south to Orlando, Florida for my upcoming collaborative exhibition titled “KALEIDOSKULL” with my great friend Tony Philippou opening on March 16, 2017 at redefinegallery.com . For more information visit “Exhibitions”. 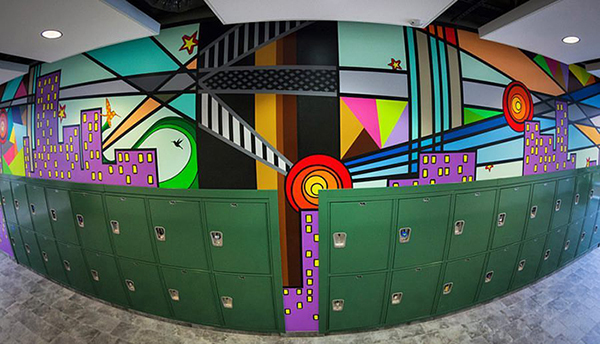 A little "Night Mode" hitting on the "Rhythmic" mural. 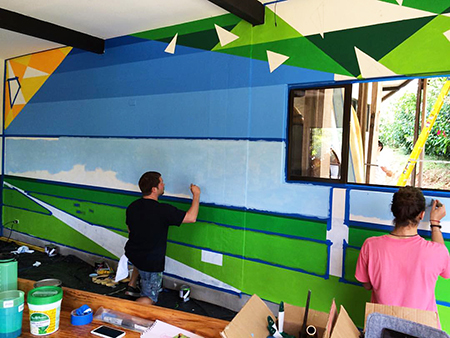 Rolling through Day four on the “Rhythmic” mural here at New Summit Academy in Atenas, Alajuela. Time for a little “Night Mode” and planning for the final touches to hit mañana. 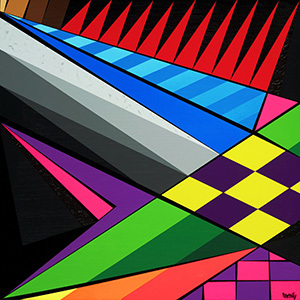 #wip #mural #donate #giveback #artist #montymontgomery #geometry — in Atenas, Alajuela, Costa Rica. Rolling through day two on ”Rhythmic” here in Costa Rica! 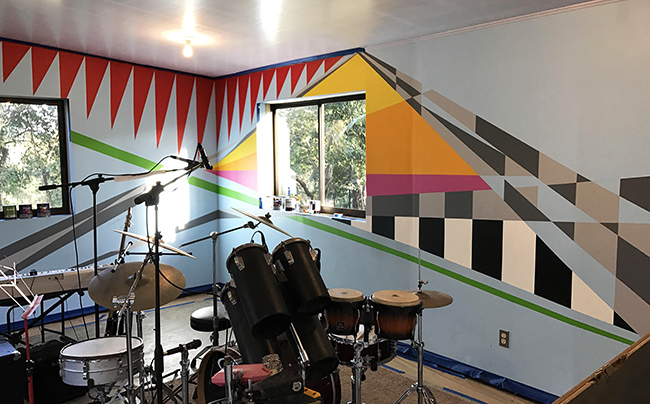 The new “Rhythmic” mural is beginning to flow across the walls of the music resource center here at New Summit Academy in Atenas, Alajuela. It’s been a great week so far creating on campus and getting to know many of the students as they practice on their instruments for upcoming auditions. The beginning of"Rhythmic" here in Costa Rica! 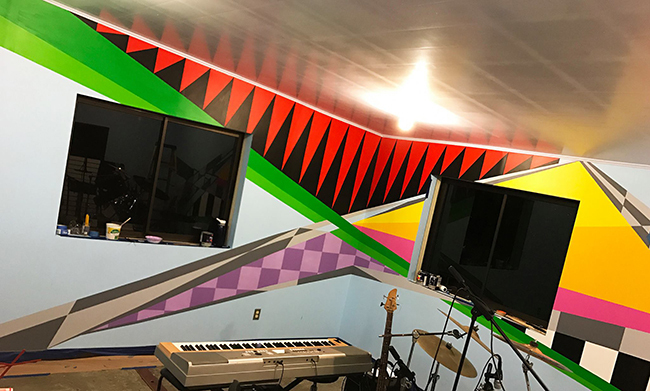 A little color sketch of the current “Rhythmic” mural coming to life here in the music resource center at New Summit Academy in Atenas, Alajuela. 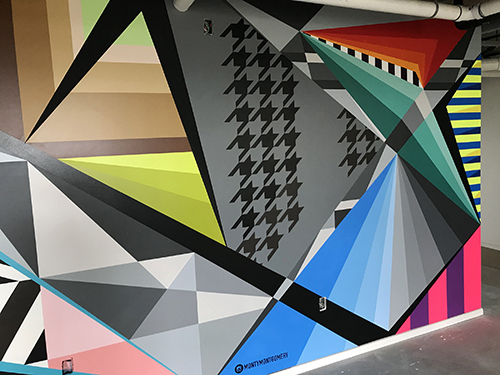 The lines are currently hitting the wall and all the color is on it’s way! 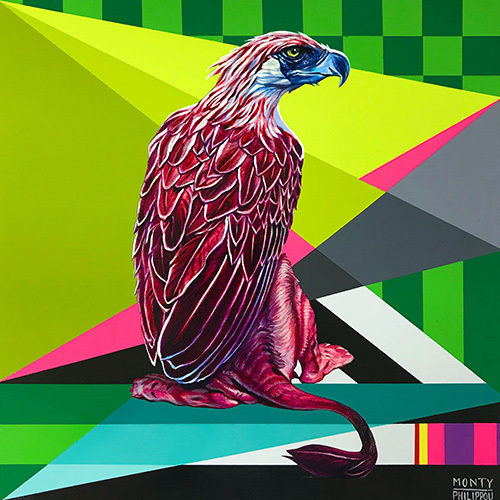 "Moment #35" of the "Nature Series" completed in Atenas, Alajuela. 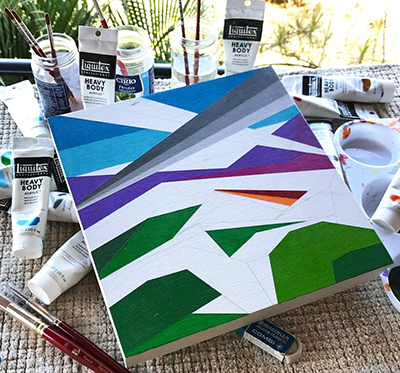 The newest member of the “Nature Series”, “Moment #35″ 10″ x 10″ x 1.5” Liquitex Artist Materials on Artist & Craftsman Supply – Official Fan Page birch panel is now complete here in Atenas, Alajuela. 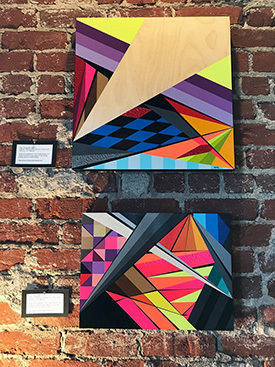 A current view of the eleven “Fractal” works done with Montana GOLD on Artist & Craftsman Supply birch panels that are currently featured at Mudhouse Coffee Roasters on the Historic Downtown Mall in Charlottesville, VA through February 27, 2017. 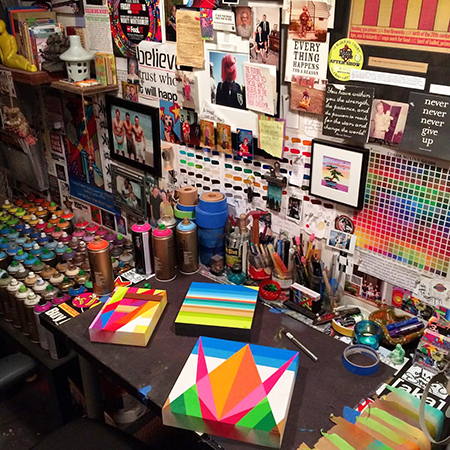 New works coming to life in the VA studio! 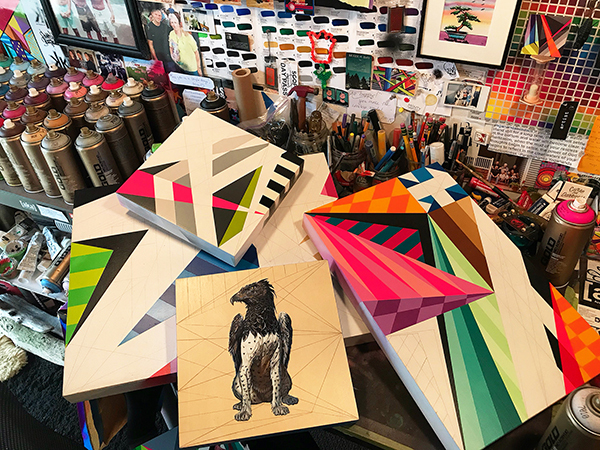 A few of the many new pieces in the works on Artist & Craftsman Supply San Diego birch panels using Montana Colors here in the Virginia studio. 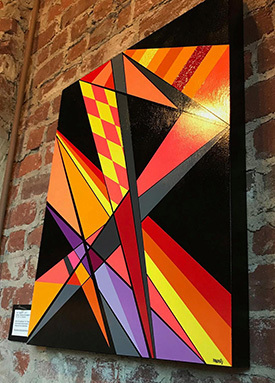 The upcoming solo exhibit titled “Fractal” opens on “First Friday” January 6, 2017 from 6-8 pm at Mudhouse Coffee Roasters in Charlottesville, VA on the Historic Downtown Mall. 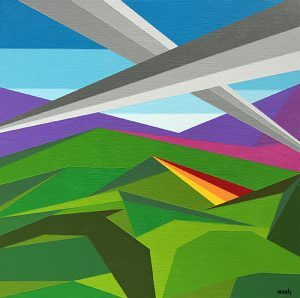 New products in the "Store" on montymontgomeryart.com! Going at in in the Virginia studio! To when it all began a couple weeks ago here in the VA studio. 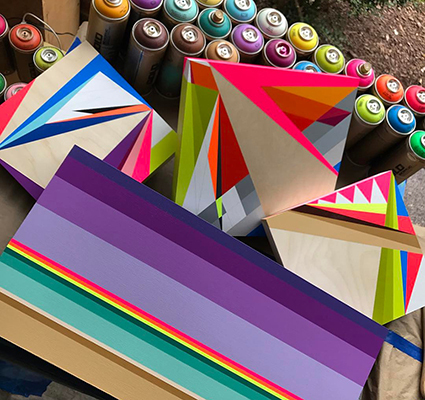 Many new “Fractal Series” works with Montana Colors on Artist & Craftsman Supply birch panels are coming to life in the hills of Virginia for the upcoming exhibitions at Mudhouse Coffee Roasters in Charlottesville, Virginia and with Tony Philippou at Redefine Art Gallery in Orlando, Florida. Collaborating with "Tropic Top Waters" on a fun new fishing lure line. 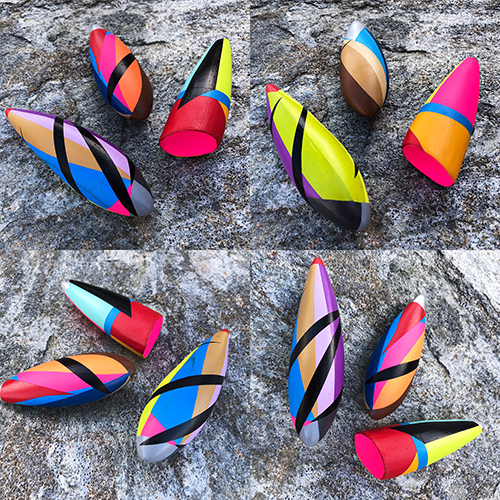 Collaborating with Sam Vigneault, the creator of @tropictopwaters on this new line of artistic fishing lures. These three original lures featuring the colors of Montana Cans (official) are off to Vero Beach, Florida to get their VMC hooks & hardware installed. Commissions complete, decks all done, with paintings packed and ready to be shipped for upcoming exhibits. 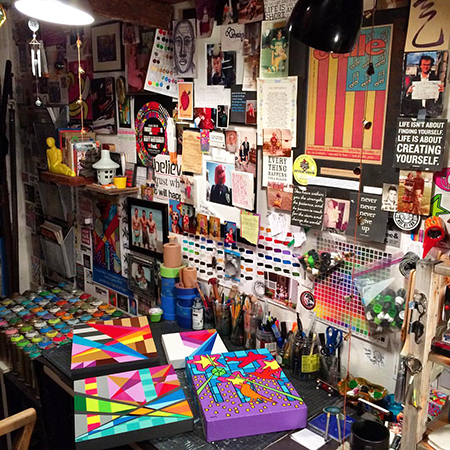 Enjoying this final creative day in the San Diego, CA studio until I return in April 2017. I am going to miss this space. 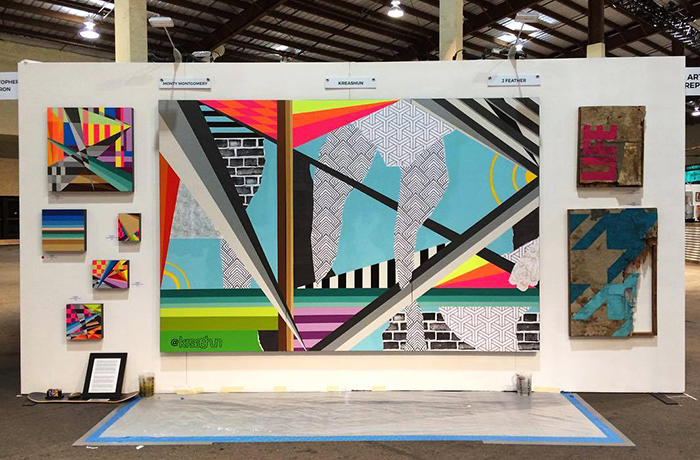 Five new panels ready to arrive in Orlando for Tony Philippou! 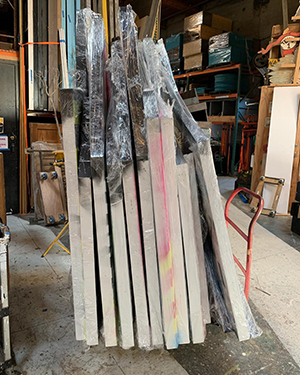 @montanacans have landed on five new birch panels here in the @sandiego_ca studio & they are now ready to arrive in Orlando for the talented @tony_philippou to work his ~MAGIC~ on them. 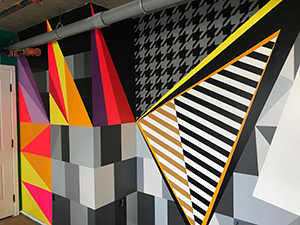 Our exhibit of 30 collaborative/solo works & a mural @redefinearts in Orlando, Florida will open in March 2017. Prepping for upcoming exhibits in 2017. 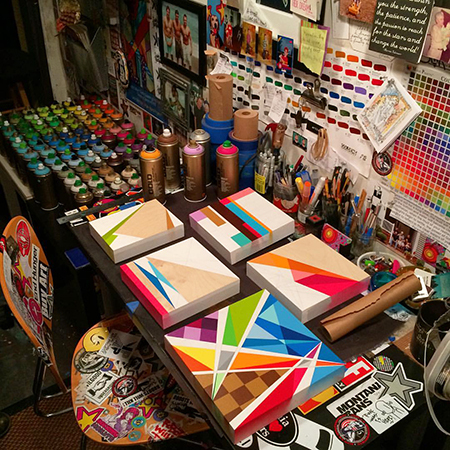 New birch panels from @artistcraftsman_sd all primed up in the @southparksandiego studio & ready for the @montanacans . 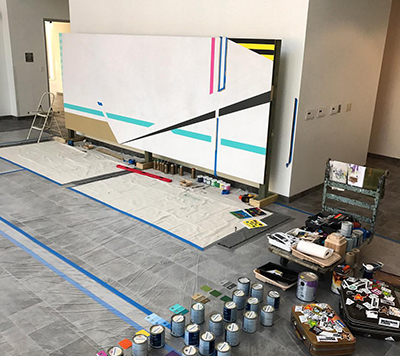 The prep begins for upcoming 2017 exhibits along the East Coast and beyond… Honored to be teaming up with my great friend @tony_philippou for our collaborative exhibit and mural at @redefinearts in Orlando, Florida. Stay tuned for upcoming exhibits & dates. 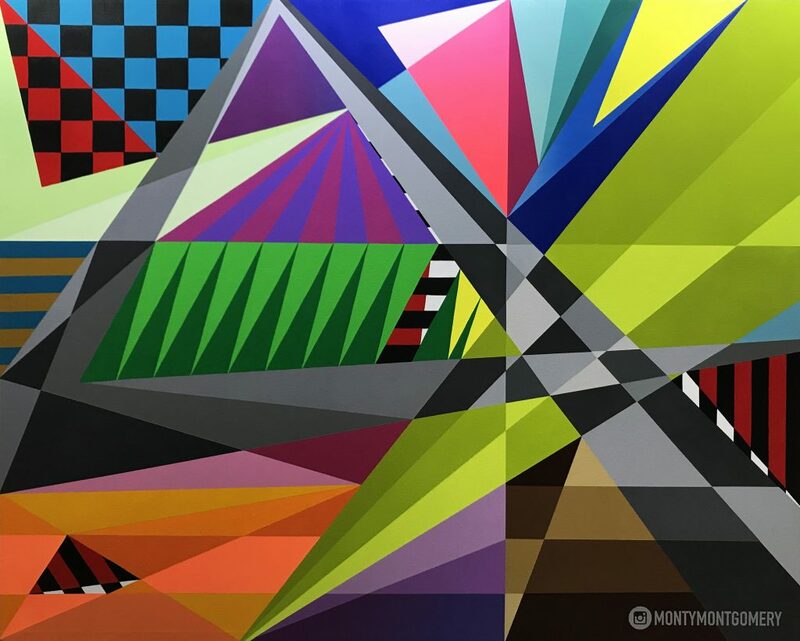 tonyphilippou.com montymontgomeryart.com redefinegallery.com #studio #artist #tonyphilippou #montymontgomery #redefinearts #artexhibition #painting #montanacans #sandiego #florida — at North Park, San Diego. 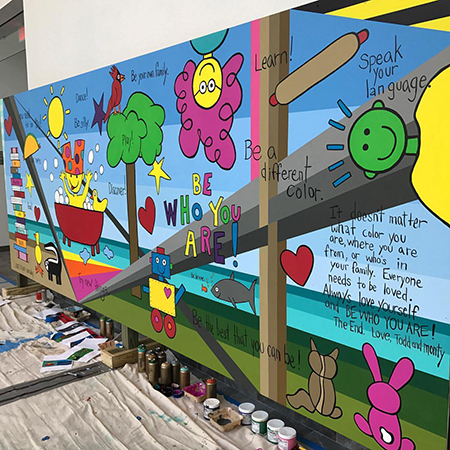 The "BE WHO YOU ARE" collaborative mural with Todd Parr and the kids of the Virginia Children’s Book Festival is now complete! 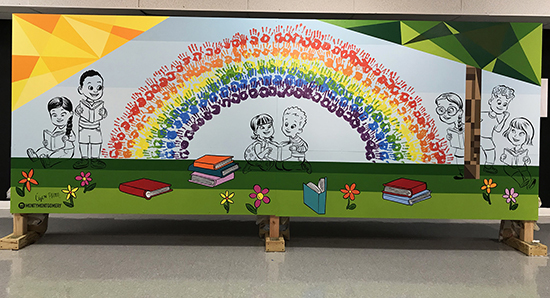 The completed full view of the 6′ x 16′ collaborative “LIVE” mural done with Todd Parr along with the talented kids and folks who made it out to the Virginia Children’s Book Festival 2016 at Longwood University in the Town of Farmville, Virginia . The festival was so much fun and a huge success with over 6000 kids attending. The mural is currently placed at Centra Southside Community Hospital in Farmville, VA until the new year, at which time it will be dedicated to Virginia’s children at it’s permanent home, the Children’s Hospital of Richmond, VA.*View the mural at a larger size in “Murals” on this site and enjoy progress moments on the “Blog”. 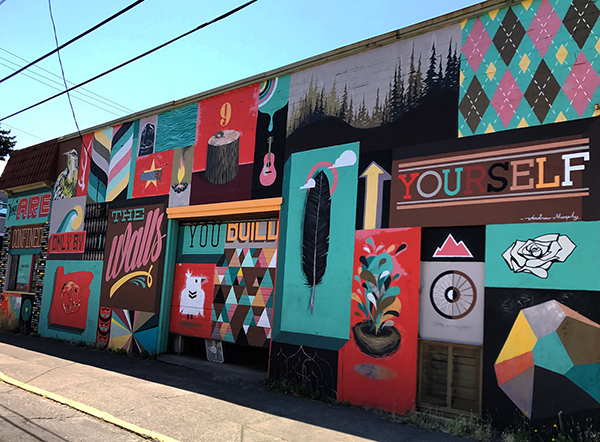 A little close up of the "BE WHO YOU ARE" mural at the VCBF 2016! 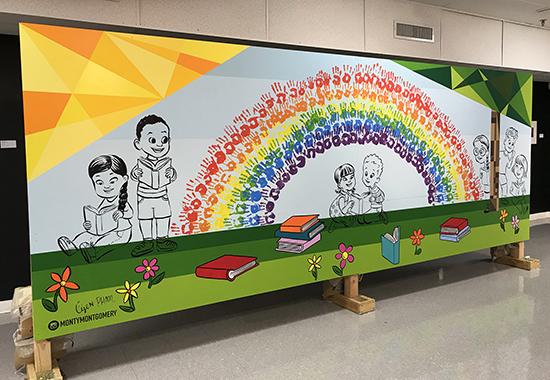 The completed right side view of the 6′ x 16′ collaborative “LIVE” mural done with Todd Parr along with the talented kids and folks who made it out to the Virginia Children’s Book Festival 2016 at Longwood University in the Town of Farmville, Virginia . The festival was a huge success with over 6000 kids attending. 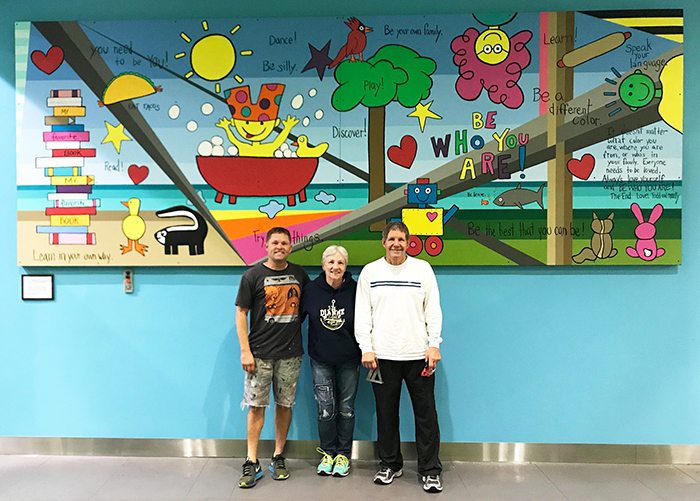 The mural will be placed at Centra Southside Community Hospital in Farmville, VA until the new year, at which time it will be dedicated to Virginia’s children at it’s permanent home, the Children’s Hospital of Richmond. Day three at the VCBF 2016 in the works! 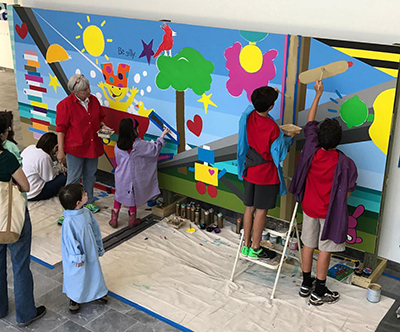 Rolling through day three of the “Live” collaborative mural with Todd Parr & the kids at the Virginia Children’s Book Festival at Longwood University here in Downtown Farmville . Nothing like a fun filled Saturday surrounded with awesome kids creating! www.vachildrensbookfestival.com #virginiachildrensbookfestival #vcbf2016 #educate #read #create #art #farmvilleva #mural #virginia #abstract #mom #lcva #longwooduniversity #artist #montymontgomery #author #toddparr #alivethroughart — at Longwood University. All prepped and ready to go here at the Virginia Children’s Book Festival! It’s been an awesome three days here in @farmvillevirginia at my alma mater, @longwooduniversity . So cool hanging with my Dad and constructing this wall for the kids of Virginia to create on. All primed up with a little pre game line work and color before the children arrive tomorrow. Creative moments with wonderful folks in Santa Fe, New Mexico. Already missing the ~Land of Enchantment~. A special place filled with amazing art, energy, & people. My time in Santa Fe over the past few days will be remembered and cherished. 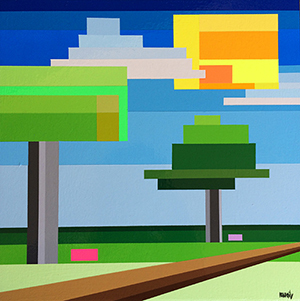 I’m so psyched that “Visuals in the Park #8” found it’s new home there with my super talented friend Alexa Mangrum . So wonderful spending time with creative peeps along the way on this artistic journey to the “Right Coast”. I cannot wait to return to the magical lands of New Mexico! 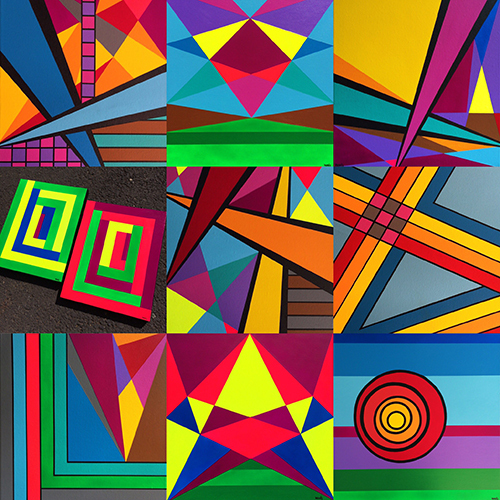 #santafe #newmexico #landofenchantment #contemporaryart #geometry #abstractart #montymontgomery #artist #travel — in Oklahoma City, Oklahoma. 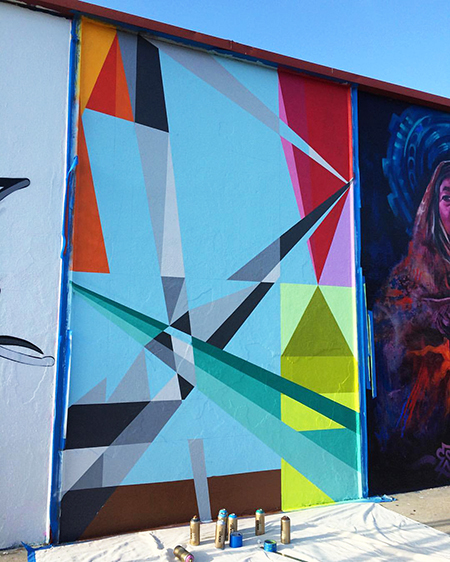 New Kreashun mural coming to life in Pacific Beach! Got the Montana GOLD ready here in the South Park San Diego studio. 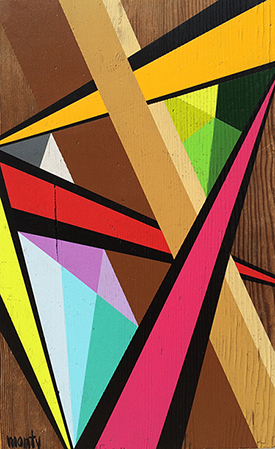 KREASHUN COLOR about to hit today on the new project with Davis Ink in the Pacific Beach neighborhood. 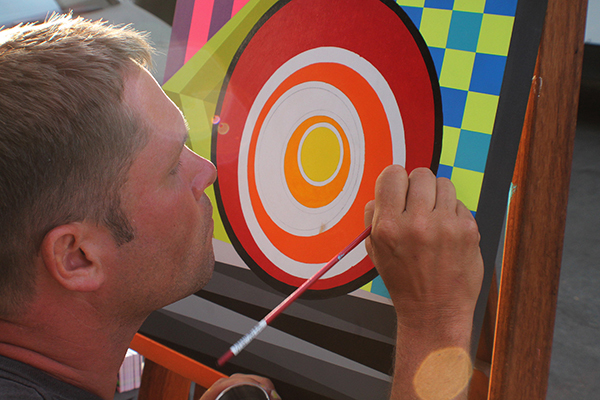 Final strokes hitting the canvas on the Kreashun Mural at KAABOO! 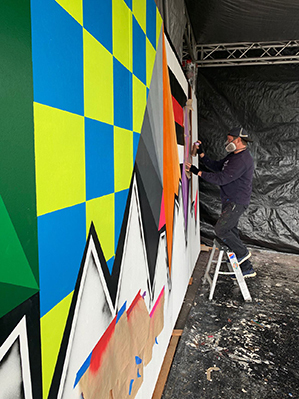 Final touches on the “Live” KREASHUN mural at KAABOO in Del Mar, California. What an amazing four days creating with Jason Feather surrounded by so many talented friends from San Diego, California & beyond! A KAABOO Experience to never forget! 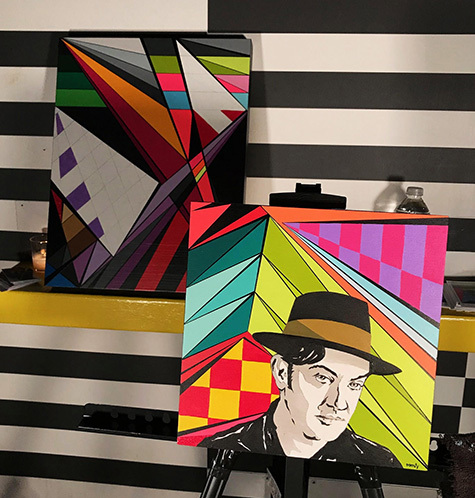 www.kaaboodelmar.com www.kreashun.com #kaaboo #kaabooartwork #kaaboodelmar #artist #montymontgomery #jfeather #kreashun at KAABOO. Rolling through Day Two at KAABOO! 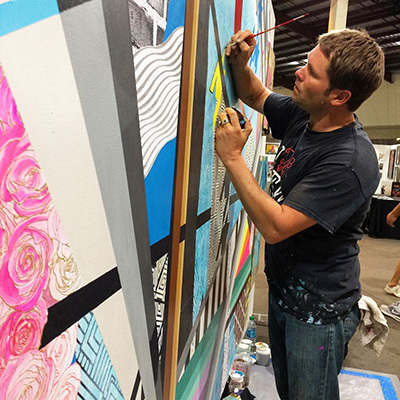 Day two coming to a close on the @kreashun mural here at @kaaboodelmar Music and Arts festival in Del Mar, California. 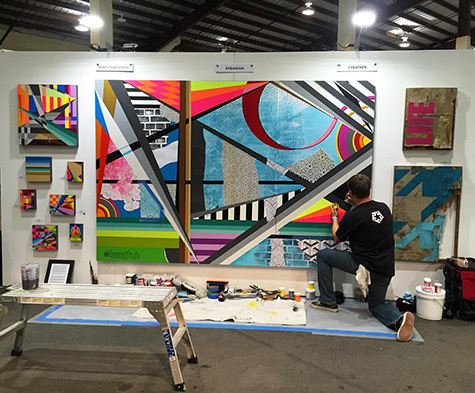 The mural and artworks are located at booth #118 in the “KAABOO Gallery”. J Feather & I will be creating “Live” again on Sunday so roll through! Thanks so much to the entire KAABOO crew for having us here to create. 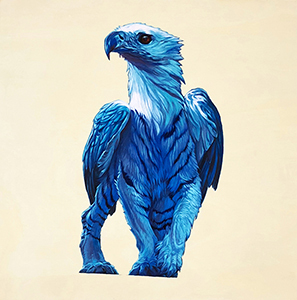 http://www.kreashun.com/ #kaaboodelmar #kaabooartwork #kaaboo #kreashun — with KREASHUN at KAABOO. 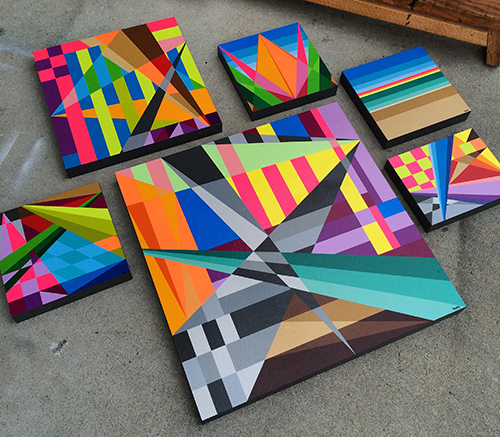 Six NEW “Giclee Prints” are now available! 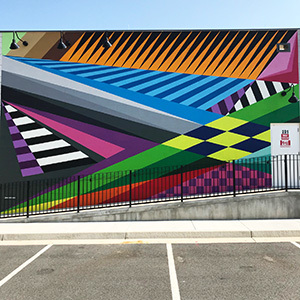 The newest "Fractal Series" mural is now complete in San Diego, California. 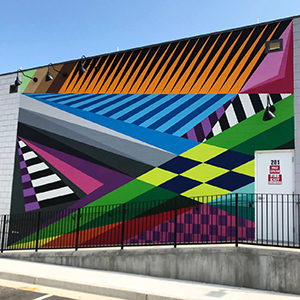 The new “Fractal Series” mural titled “Fractal #35” 9′ x 13′ with Montana cans is now complete in the heart of the North Park neighborhood of San Diego, CA. 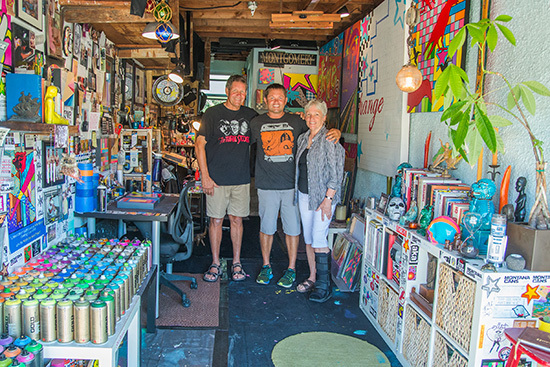 The mural is on the Gunn street wall of the Studio Door Gallery located at 3750 30th Street SD, CA. Thanks to Maxx Moses & Patrick at The Studio Door for this opportunity. It’s an honor to create here at home in my neighborhood. 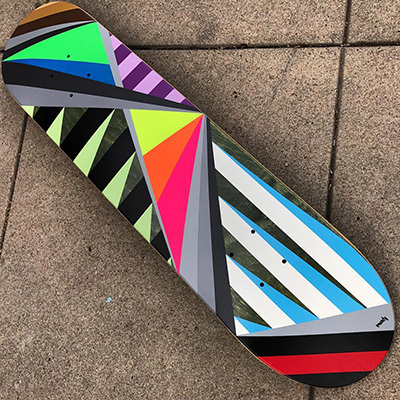 Work of Art statement: Work of Art statement: The Fractal Series is a body of work that is based on the artist’s experience of natural geometry and color relationships. 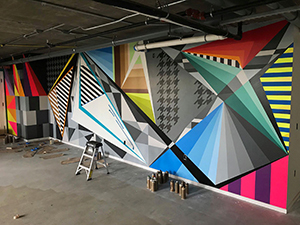 Day one in the books on the 9′ X 13′ "Fractal #35" mural in North Park. 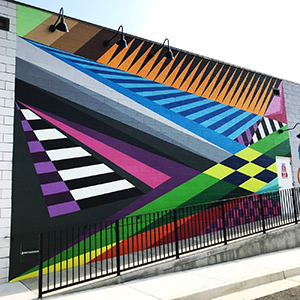 After a little @kreashun meeting this morning we decided that I would tackle the “North Park Mural Project” wall as a solo project for now, Kreashun will blast it again down the road. 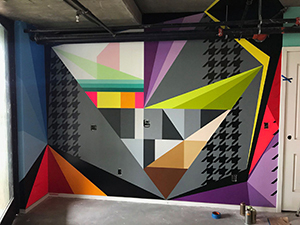 Day one in the books on the 9′ X 13′ “Fractal #35” mural. 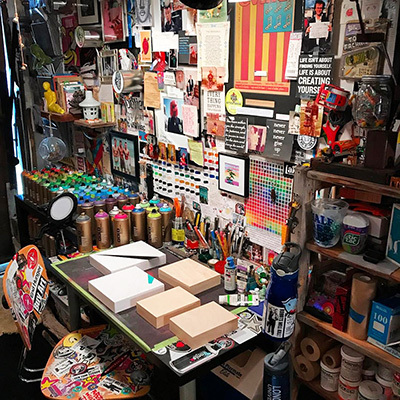 Visit the corner @thestudiodoor located at 3750 30th Street in the heart of North Park San Diego, to check the progress & the new paint that will be completed by Sunday. 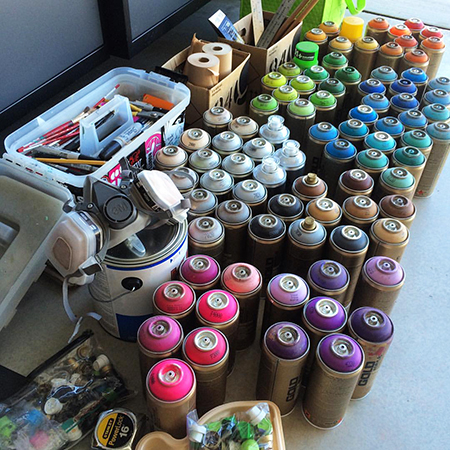 #artist #montymontgomery #northpark #sandiego #mural — at The Studio Door. Fresh new paint hitting the original Kreashun wall in the North Park neighborhood of San Diego, Ca. 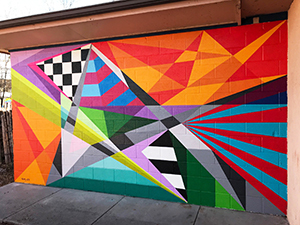 In early 2014 @kreashun joined forces with @maxxmoses777 @gloriamuriel , @miguel_angel_godoy , @michaelamorillo , and other friends from @sandiego_ca & L.A. to bring the “North Park Mural Project” to life for the community. 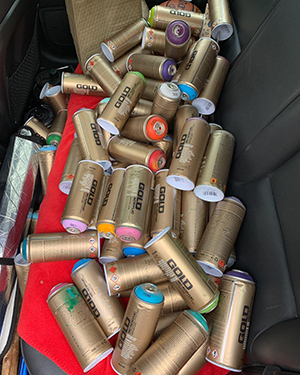 After a little @kreashun meeting this morning we decided that I would tackle the “North Park Mural Project” wall as a solo project for now, Kreashun will blast it again down the road. Over the next few days a fresh new vibe to the section of this continuing project will come to life. 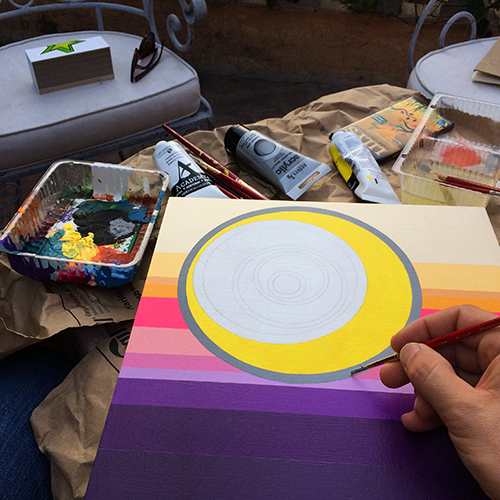 Currently creating in Temecula, California. Getting going this morning here in beautiful Temecula, CA. A new project on an interesting surface will come to life over the next four days. Let the challenge begin! 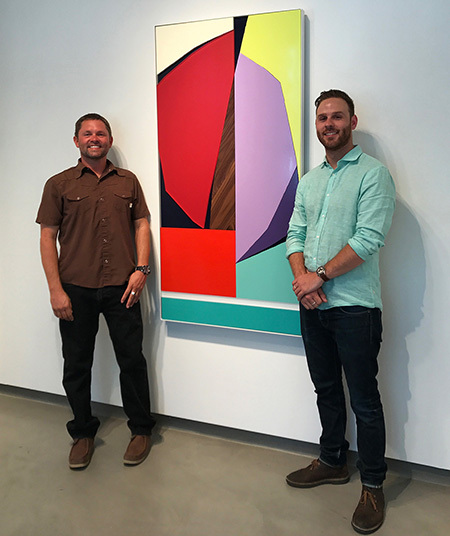 Teaming up once again with the Sparks Gallery family to be featured through the virtual platform of “Daylighted”, which is a platform that hotels and other places rotate images on digital displays for sale. 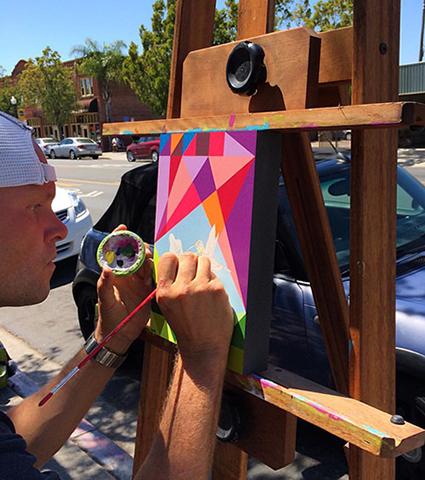 “Visuals in the Park #3” will specifically be shown in the Empress Hotel in La Jolla, CA. 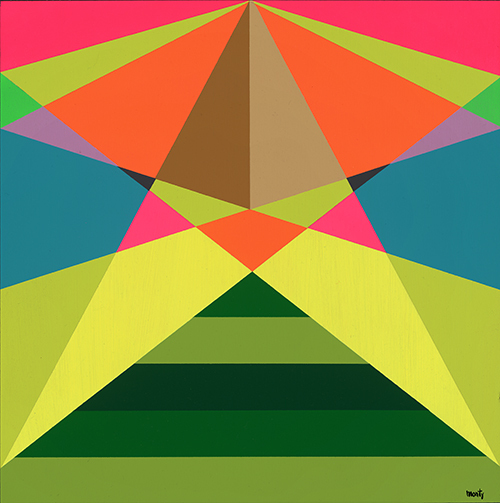 View the current profile page to enjoy many of the Artists work represented by Sparks Gallery. 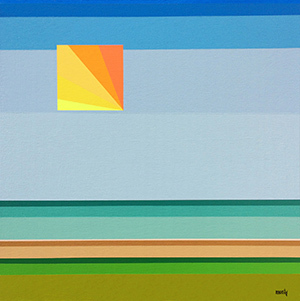 with Sparks Gallery and Daylighted at North Park, San Diego. 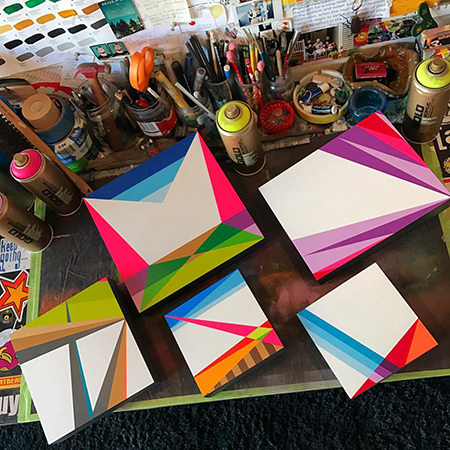 Many new works coming together in the @southparksandiego studio for my upcoming solo exhibit titled “STRUCTURE” at OBR Architecture which will be opening during “Ray at Night” on Saturday, August 13, 2016 at 6pm. The exhibit will run through September 8, 2016. OBR is located in the heart of North Park at 817 Ray St, San Diego, CA 92104. 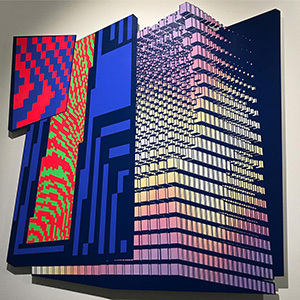 The “Fractal” series joins the permanent collection of "Capitol One Finance"
I am very honored for “Fractal #1″ and “Fractal #3″ from The “Fractal” series 2014 to now join the permanent collection of Capitol One Finance in the headquarters located in Richmond, Virginia. 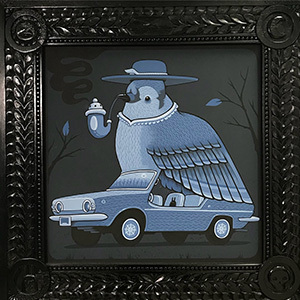 Thanks to j fergeson gallery in Farmville, Virginia for featuring my work and bringing this to life! 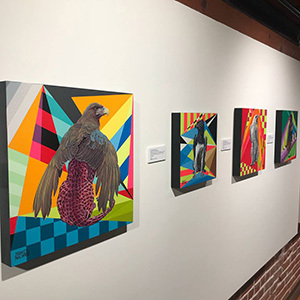 Gallery Statement: The j fergeson gallery in Farmville, VA brings together the work of nationally recognized and local artists in the gallery space as well as in the carefully curated gift shop. It features contemporary painting, ceramics, sculpture and photography. 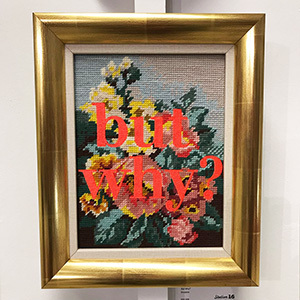 The range of work promises to introduce gallery visitors to artists and craftspeople they might not otherwise encounter. 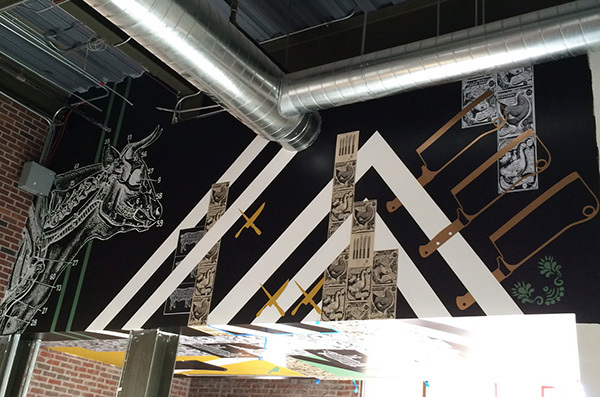 "Phase Two" of the project with Davis Ink / RIOT Hospitality Group is now complete. The “Phase Two” section of the @kreashun mural with @davis_ink & @riothospitalitygroup is now complete. 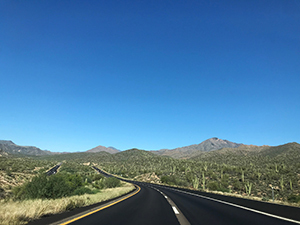 The location will be announced in the coming weeks and the entire project will be unveiled soon in Scottsdale, Arizona. 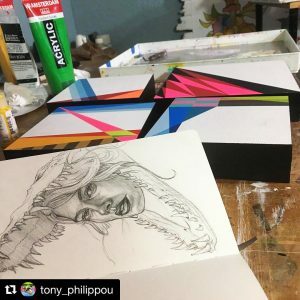 Progress on two new collaborative pieces with Tony Philippou. 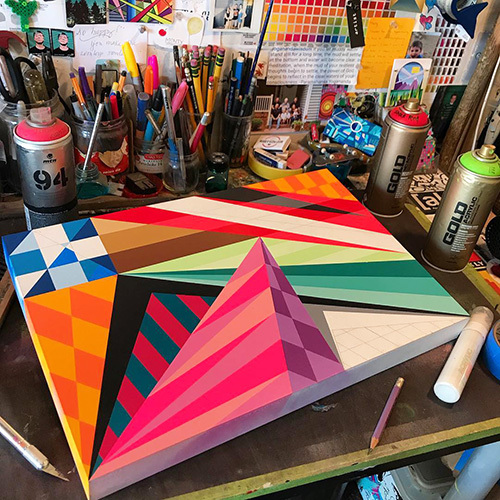 These two “Fractal Series” works on birch panel with @montanacans are now in the hands of my talented frind @tony_philippou in Orlando, Florida. Here is a view of the pieces progressing. The panels are now coming to life with Tony’s awesome drawings and will be on exhibit and released to the public in 2017! 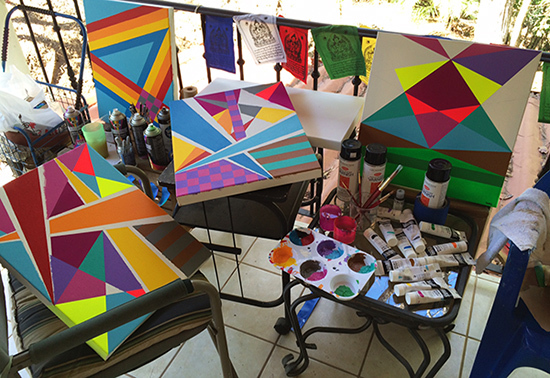 #sandiego #artist #studio #colorful #art — at South Park Area. 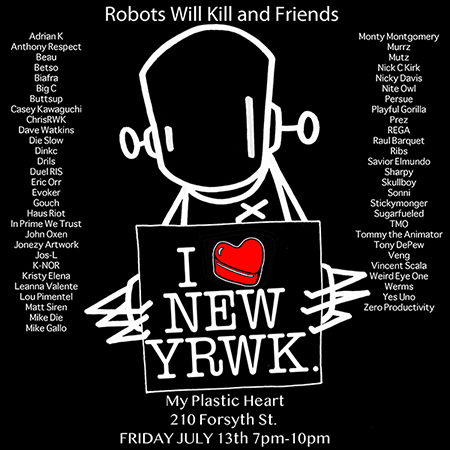 "Robots Will Kill" 15 Year Anniversary Exhibit at "My Plastic Heart" in NY, NY. 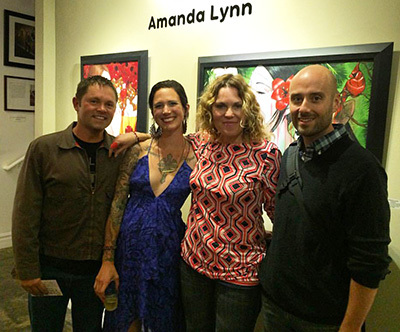 Amanda Lynn’s "SEASONS OF CHANGE" exhibit opens at Distinction Gallery in Escindido, CA. 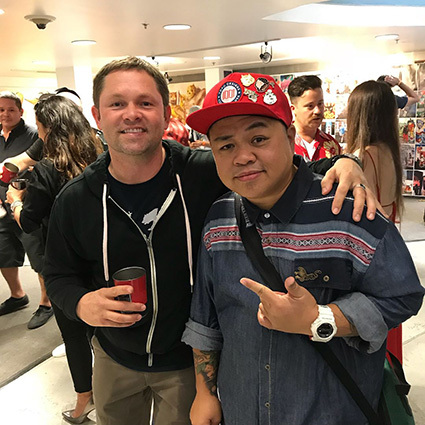 Great times last night @distinction_gallery catching up with @alynnpaint @gloriamuriel & @buddhaselfie for the opening of “SEASONS OF CHANGE”. Catch the exhibit through June 4, 2016 at the gallery. Congrats on an awesome show Amanda. 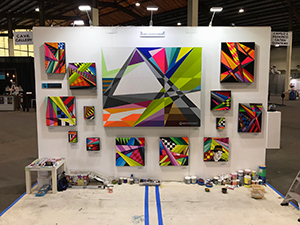 www.amandalynn.biz www.distinctionart.com #contemporaryart #amandalynn #seasonsofchange #colorful #artistic #distinctiongallery #fineart #painting #alynnpaint #arthatch #sandiego #art — with Amanda Lynn, Gloria Muriel and Alexander Holst Banach at ArtHatch. 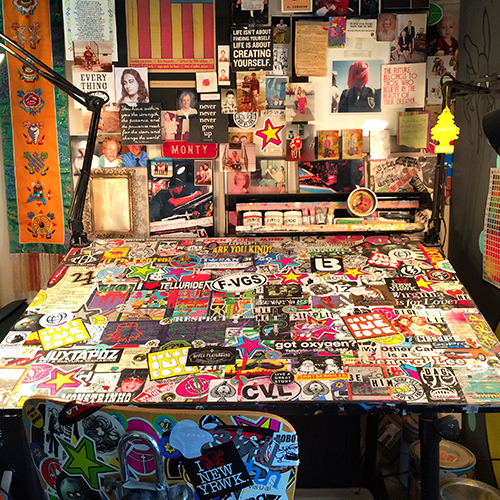 It’s back on in the "LEFT COAST" Studio! 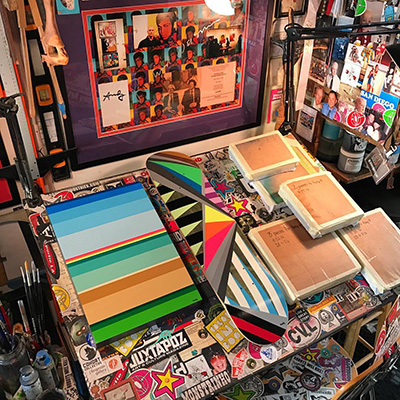 After being back “HOME” here in San Diego for almost two weeks, new works are coming to life in the •South Park• studio. Many pieces are also heading out to new homes and exhibits around the globe. It always feels great to get settled back into the vibe and start creating once again on the “West Coast”. 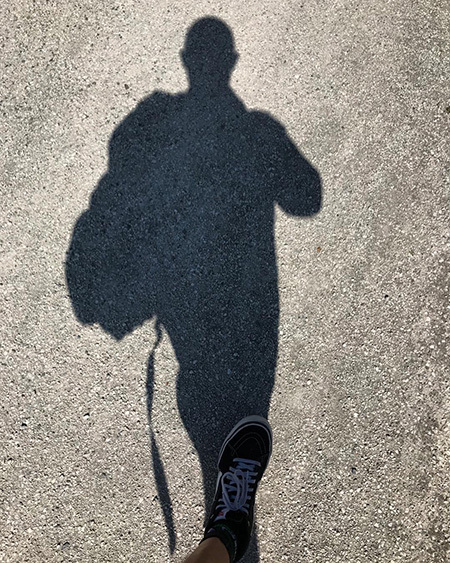 Many new projects in the works and BIG things ahead…. Thanks so much for all of the continued support, I am so honored to continue creating every single day! 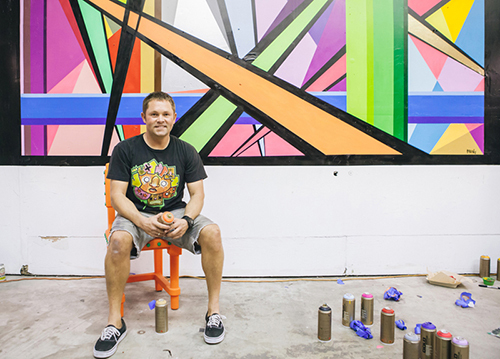 If you’re ever in the South Park area of SD, please pop in and hang at the studio. 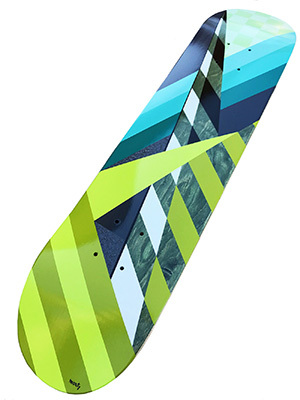 — with Robots Will Kill, Montana Colors and Montana GOLD at South Park Area. So thankful for an amazing exhibit opening in Atenas, Alajuela! 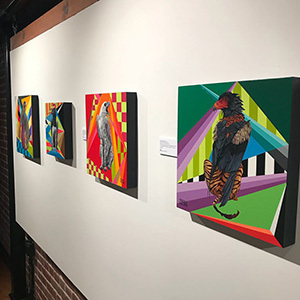 Thank you so much to everyone who came out last night to support the opening for my exhibit titled “PURA VIDA” at ETNIA here in Atenas, Alajuela, Costa Rica. 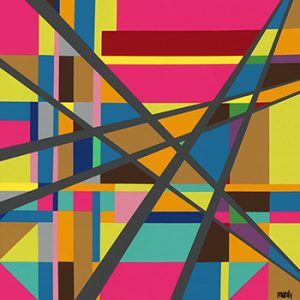 "COLOR" landing on the canvas in Atenas, Alajuela. It’s been an amazing week in Nicaragua with the mission team from Grace Bible Church of Virginia Beach, Virginia on our “Serve and Learn Trip”. We landed in Managua, Matagalpa and joined forces with the “Connect Nicaragua” team. After spending quality time in the community and gathering supplies, we hit the road for the seven hour bus ride into Rio Blanco, Matagalpa and reached our final destination at the “Verbo Rio Blanco” Church. 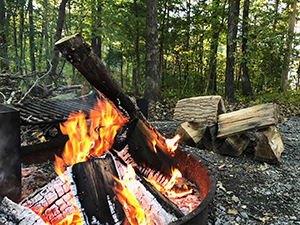 There were so many powerful moments shared through being together, giving to each other, and creating very special memories with the community. 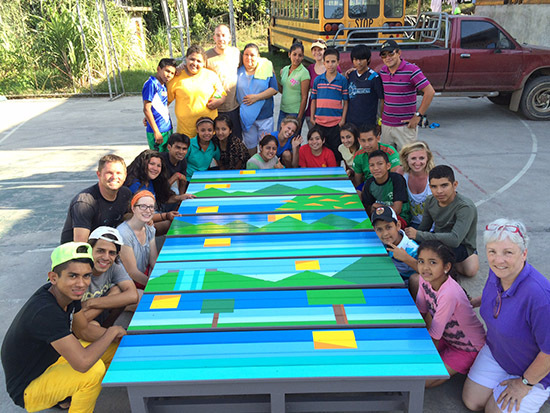 We worked with the Verbo Church members and the local children hand painting the artwork on crafted benches. 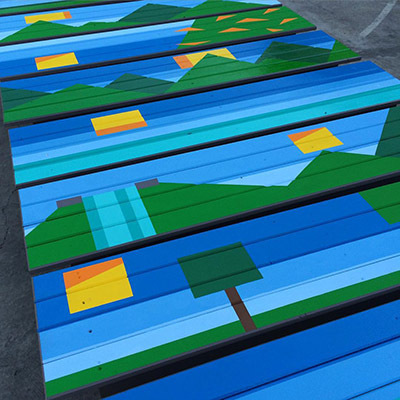 Each bench was designed after taking in the energy and hearing how each teen recognizes God in the Nature that surrounds them. 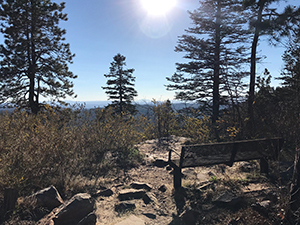 The “Nature Series” benches will be placed in various locations through the community of Rio Blanco for the people to enjoy. 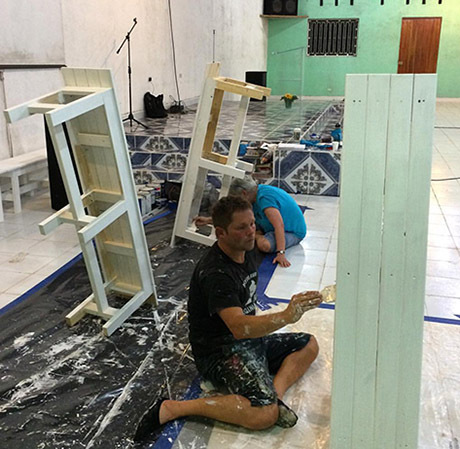 Thank you to Chris and Kelly Jordan of Grace Bible Church, The “Connect Nicaragua” crew, and the wonderful people of the Verbo Church. This experience will never be forgotten and we will surely join forces again soon to spread LOVE to all in every way possible. *View all eight benches in “Gallery 2016” on this website. 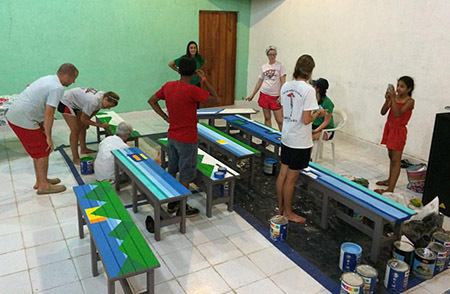 A glimpse of the eight hand crafted benches by a Managuan carpenter have now been assembled and hand painted by everyone here at the Verbo Church in Rio Blanco, Matagalpa. It’s really powerful to be here in Nicaragua working beside my mom with this amazing team of individuals. The people here are so wonderful, and full of life! 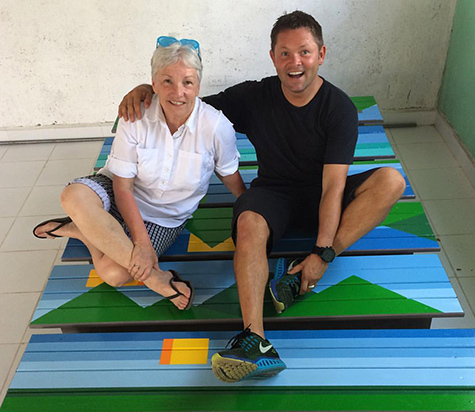 Our team has made the journey through Managua with the “Connect Nicaragua” crew and we have now completed building and priming eight hand crafted benches at the Verbo Church here in Rio Blanco, Matagalpa. We are all working together in so many wonderful ways to bring all we can to the children and people of this beautiful community as they constantly give so much back to us. This is going to be one amazing week with many moments to never be forgotten. A JOURNEY that began so many years ago…. As I stand here on this beautiful Downtown Farmville morning I am overwhelmed by the thought that this artistic journey began over 20 years ago sitting in the library around the corner drawing my very first logo for Cilli Original Designs which I launched as a junior at Longwood University . 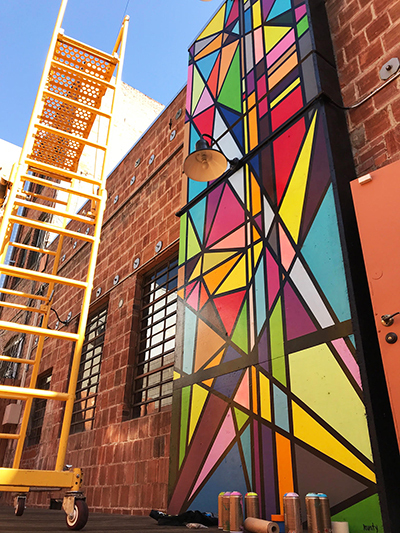 As the sun reflects on the 90′ X 20′ “Warehouse Triptych Mural Project” which was completed in 2014, it’s truly hard to believe how quickly time passes. We must do the best we can to enjoy every moment and share them with all the amazing individuals along the way. Thanks to Randy Edmonson, my former painting instructor at Longwood University, Pam Butler of Mainly Clay , the entire Farmville Downtown Partnership, and the Town of Farmville, Virginia,! I am so honored to still be a part of this wonderful town. It will always be so important to me. 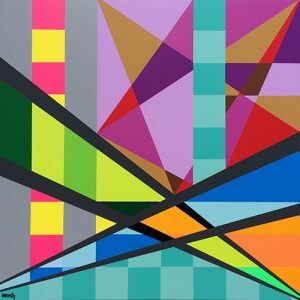 A “Limited Edition” 36″ x 36″ x 1.5″ Giclee print on canvas of “Fractal #5” is now installed in a San Diego, CA collectors home. 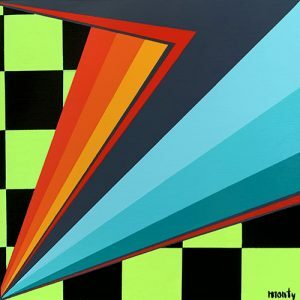 All paintings in the “Giclee” section on www.montymontgomeryart.com can be sized from the measurements of the original painting for various surfaces such as bamboo, metal, or canvas to fit the clients vision for any interior situation. 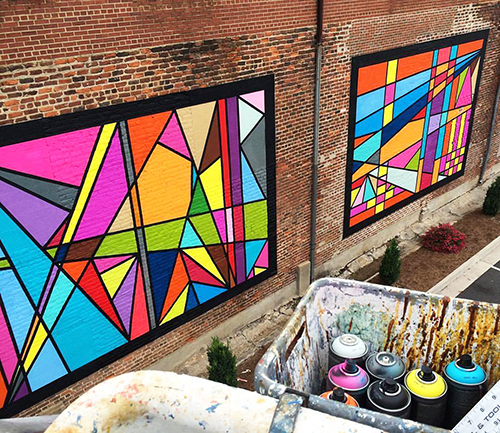 “Warehouse Triptych Mural Project” in Farmville, Virginia hits the streets! 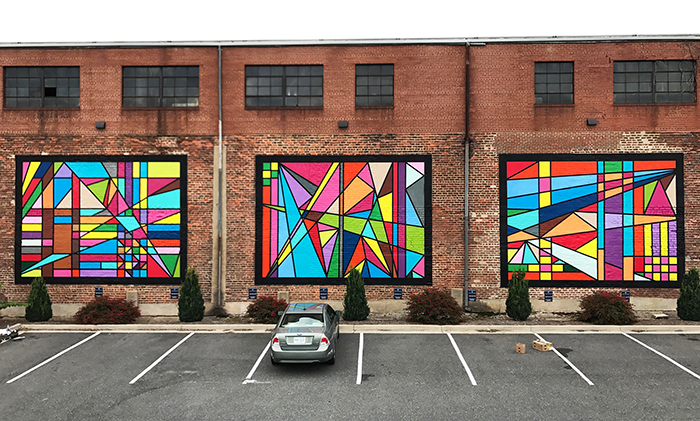 The 90′ x 20′ “Warehouse Triptych Mural Project” in the Historic District of Downtown Farmville, Virginia is now represented with banners along the streets of the town. 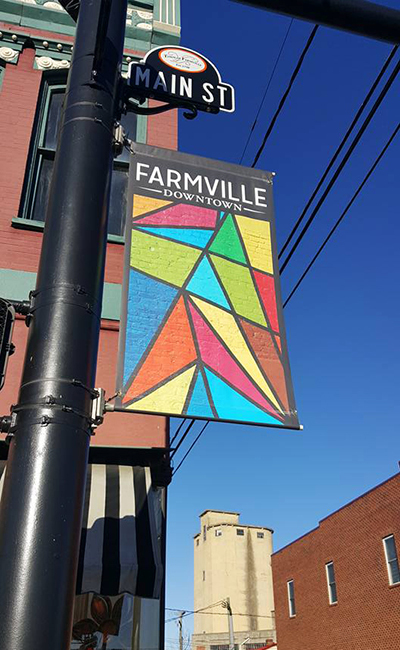 Thanks to Randy Edmonson, my former painting instructor at Longwood University, Pam Butler of Mainly Clay, the entire Farmville Downtown Partnership, and the people of Farmville! I am so honored to be a part of this wonderful town. The last Saturday morning on the "Right Coast". It’s hard to believe that it’s been 3 months since I was last at home in San Diego, Ca. 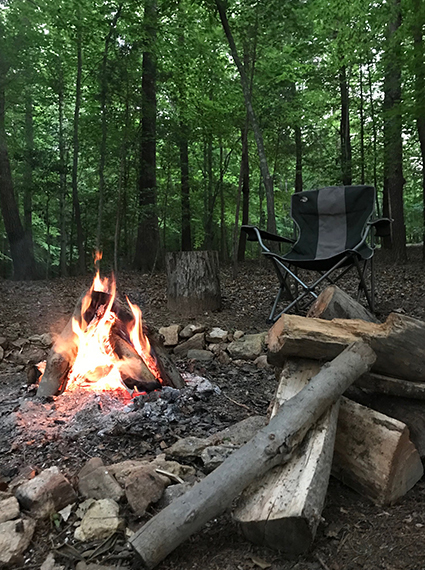 I awoke this morning in a beautiful, hidden abode in the hills of Farmville, Virginia and realized this was my last Saturday here on the East Coast for a while. 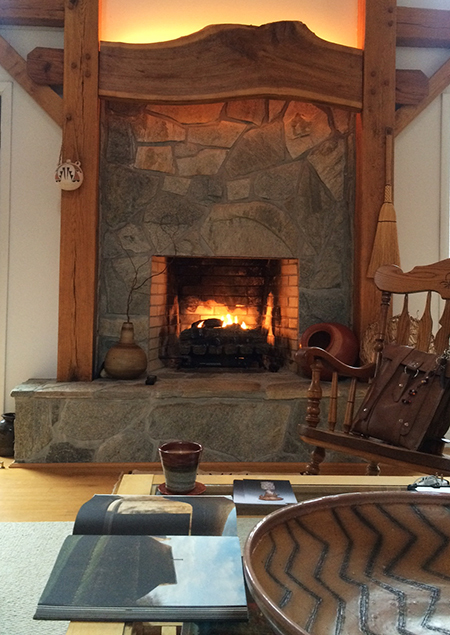 It’s chilly out, raining, and peacefully still. I will miss these moments and remember them fondly. So thankful for an amazing -JOURNEY- to Costa Rica! 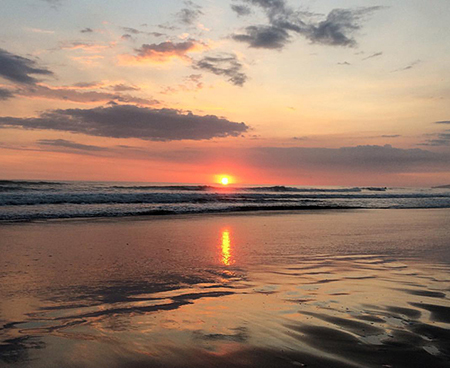 As the sun sets in Playa Bejuco, this creative ~JOURNEY~ comes to an end here in beautiful Costa Rica. I’m so thankful for this experience, the amazing individuals who were a part of it, and all the unforgettable moments with so many new friends. 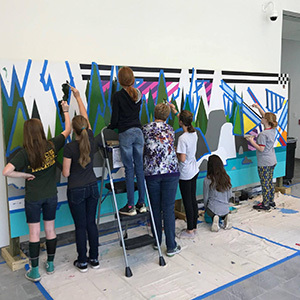 Thanks to Christy Maupin, the entire staff, and the talented students of New Summit Academy for so many memories while creating the “Nature Series” mural and spending time with you all on campus. I hope you all enjoy the piece for years to come. I’m already counting down the days to return . ~ PURA VIDA~ . #costarica #sunset #puravida #centralamerica #montymontgomery #international #mural #thenatureseries — at Playa Bejuco, Costa Rica. 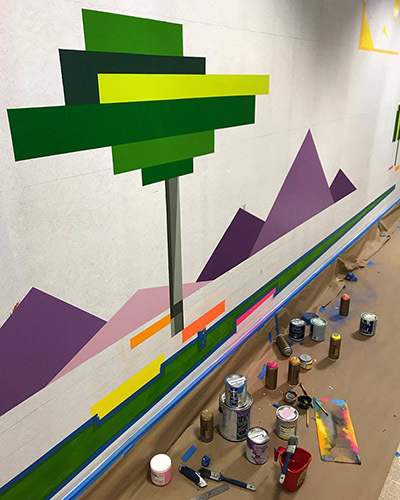 “Moment #16”, 10′ X 25′ is the newest “Nature Series” mural coming to life here in Atenas, Costa Rica at New Summit Academy. 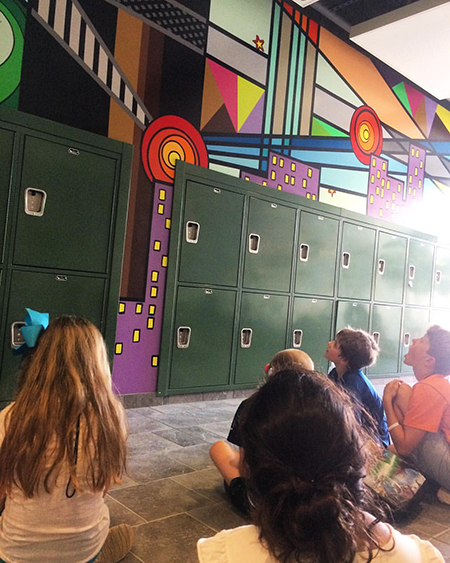 It’s been an inspiring visit so far and the students have been constantly helping throw a little color on the wall. What an amazing group of individuals, so honored to be here creating. Pura Vida! Arrived to New Summit Academy in Atenas, Alajuala, Costa Rica. It’s been an awesome start to this adventure in Atenas, Alajuala, Costa Rica. I arrived to New Summit Academy yesterday and it has been super cool meeting the staff and all the students. 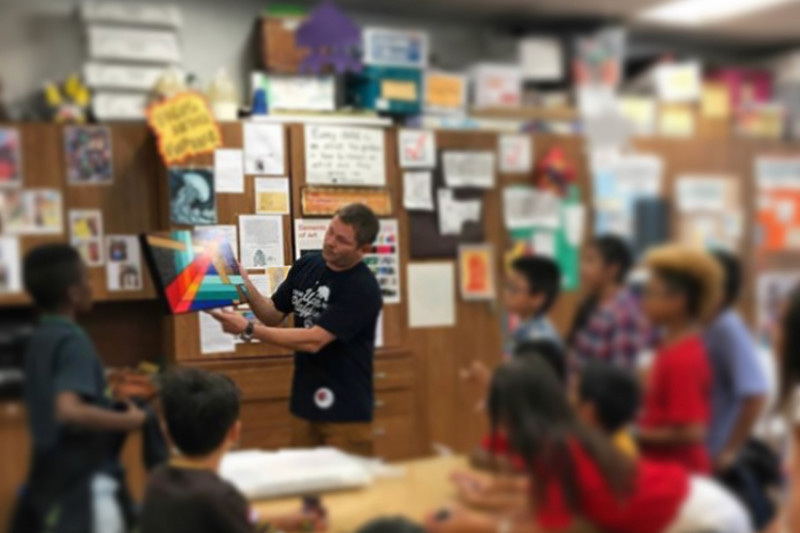 I had a great morning speaking with many of the students about their artistic visions and really look forward to seeing their DREAMS come to life! Made it to the hardware store this afternoon to grab supplies and caught this beautiful Hibiscus on the lunch break. The landscape is so beautiful and the people are so friendly, it really is wonderful here. 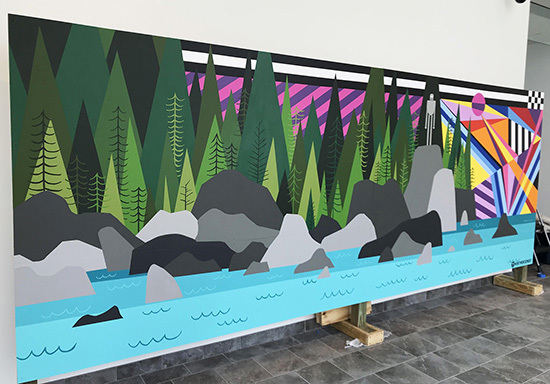 I am truly looking forward to the rest of my time here learning, creating, and continuing to work with the Students and Staff of New Summit Academy, I feel so lucky to be here and I am stoked for color to start hitting the wall on this new “Nature Series” mural. 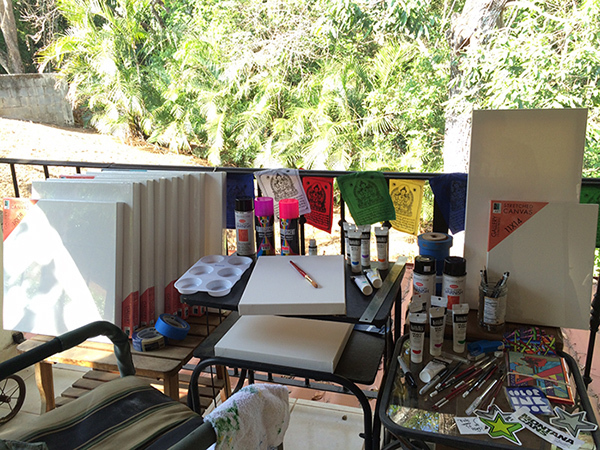 “Moment #16” will soon be coming to life here in Costa Rica! Moment #15 heads to San Francisco, California. 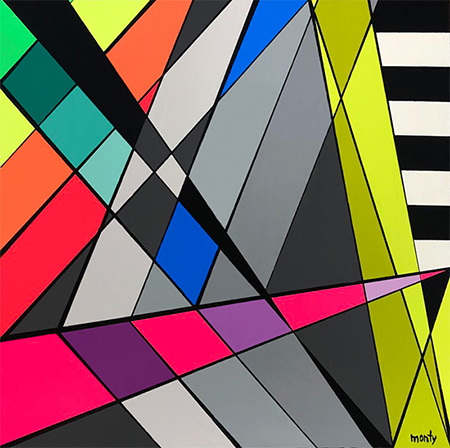 So stoked to announce that “Moment #15” of the “Nature Series” Montana Gold spray paint on birch panel 16″ x 16″ x 1.5″ is headed to San Francisco, CA to be in the collection of my friend and very talented Artist / Illustrator, Todd Parr. Todd and I crossed paths at the Virginia Children’s Book Festival at Longwood University in Farmville, VA this past October. I am very honored for this newest piece of the “Nature Series” to be with such an inspiring individual and excited to work with Todd in the future! 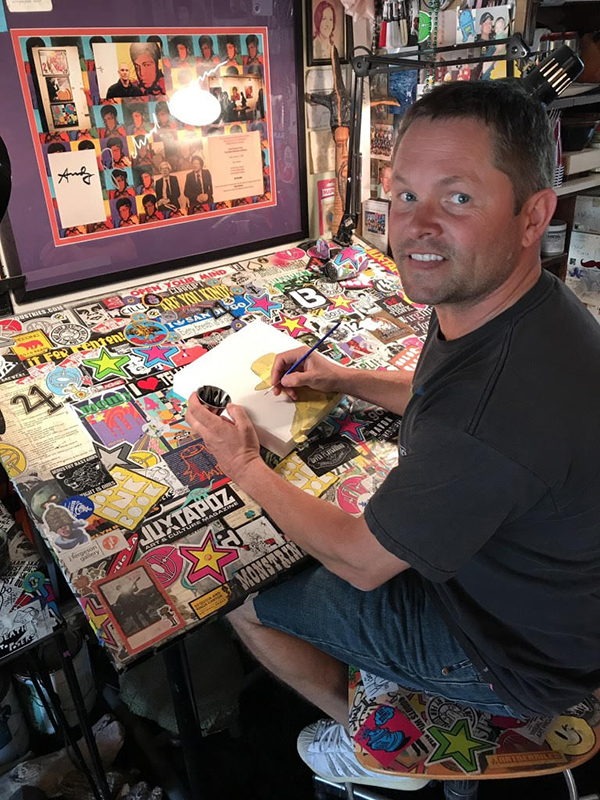 Visit Todd’s site to purchase many of his super cool children’s books and help support his artistic journey while bringing smiles to the faces of kids all around the GLOBE! 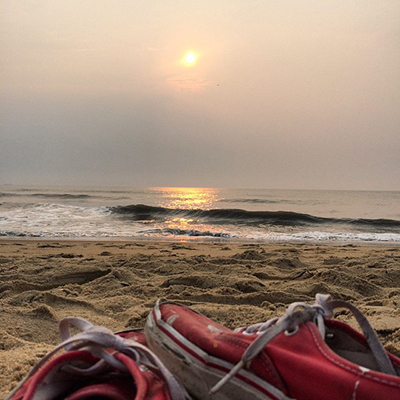 An inspiring week in Virginia Beach, Virginia. 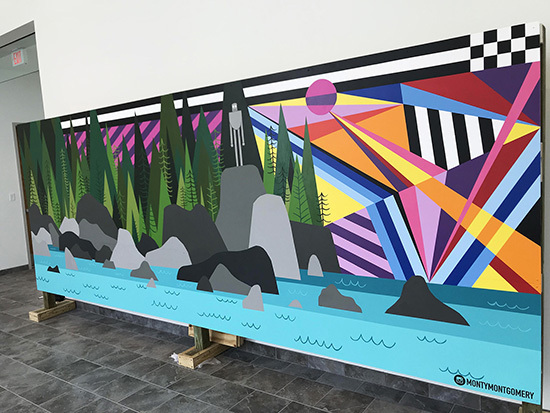 It was a very inspiring week in Virginia Beach, Virginia installing and creating various murals while meeting and working with so many talented folks. As I journey to the next city I am honored to have “Core #5” and “Fractal #5” join the collection of Mr. Nolan Fine who has been collecting for over twenty years. 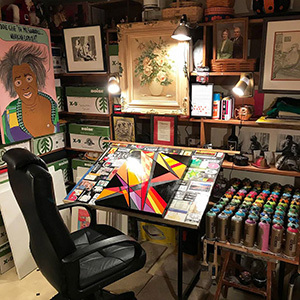 Nolan is a retired NBA referee whose collection includes Marc Chagall, Joan Miro, F. Hundertwasser, Varnette Honeywood, and many others. 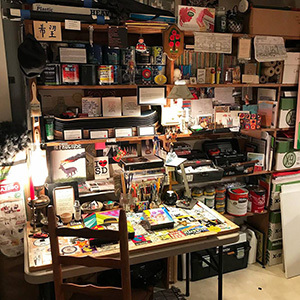 Such a pleasure to hang at his home in Virginia Beach and view his entire collection while he shared interesting, artistic stories. Thanks to old friends and new for a super cool visit. I can’t wait to get back down to the Atlantic to see you all again soon! 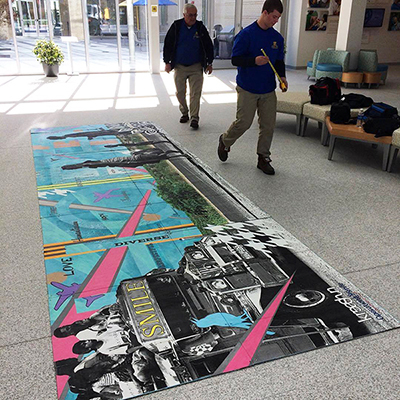 Installing "The Journey" mural by Kreashun here at the Operation Smile headquarters in Virginia Beach, Virginia. A view of “The Journey”. 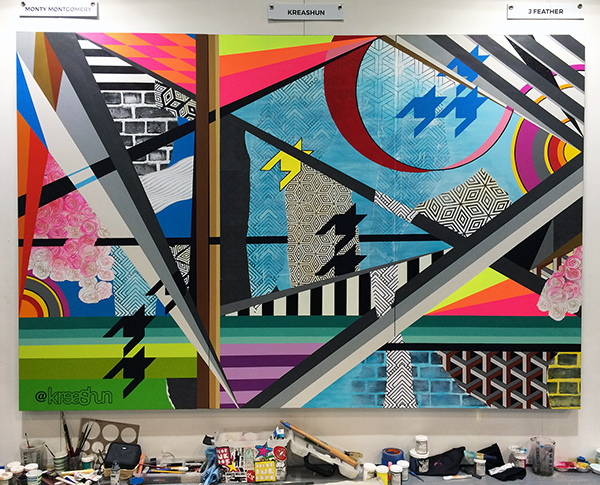 A 20 panel 6′ x 20′ mixed media @kreashun mural which was created “LIVE” during the @operationsmile “International Student Leadership Conference” at Chapman University in Orange County, California has made it safely here to the Virginia Beach, Virginia headquarters. 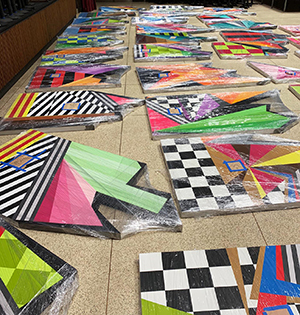 Students from the Virginia Beach City Public Schools Technical & Career Education Center are currently developing a moveable structure so that the mural can be enjoyed in different locations throughout this amazing building. It’s an honor for Kreashun to be here in Virginia Beach working once again with this awesome organization. 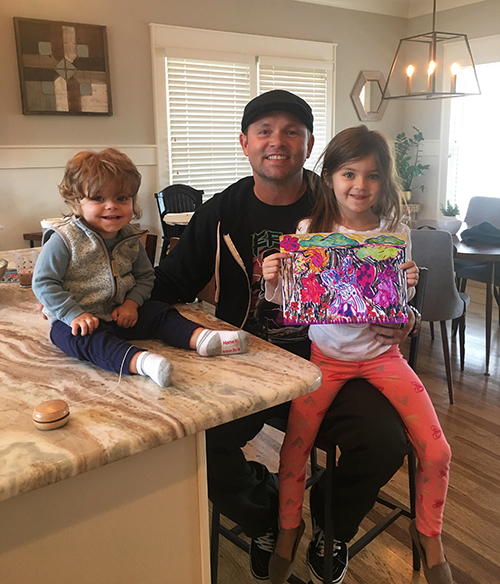 Todd Parr, San Francisco Bay Area children’s author and illustrator, reveals about himself, ‘I like fog. I like the sea lions and the dolphins. I like to paint. My favorite color is blue. 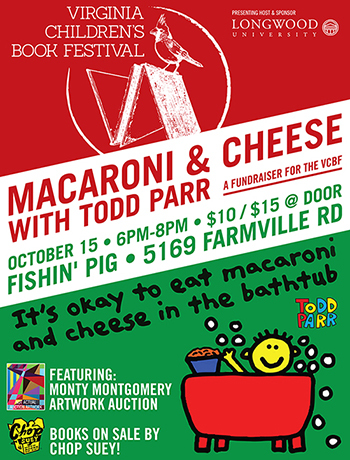 My favorite food is macaroni and cheese.’ The VCBF is pleased to have Parr return for the second year. Chop Suey Books will be selling Parr’s books so you can have them autographed, while eating your macaroni and cheese! 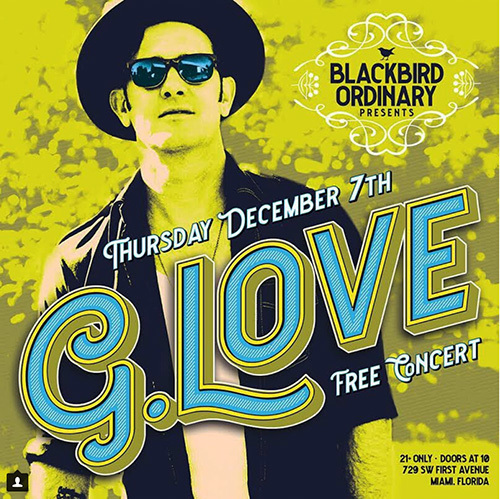 Tickets are $10 in advance and $15 at the door. You may buy tickets at Mainly Clay, 217 N. Main, or Rochette’s Florist, 100 S. Virginia, or from Allison Crews at natural phuel, 804-307-9608. Bar and other menu items available for purchase during the event. Funds raised will go to benefit the VCBF tradition of distributing books at the Farmville and Crewe Christmas parades. The VCBF is always looking for helping hands, physically and financially. Their mission, as Juanita Giles, executive director, reminds us ‘is to create a culture of literacy in our region in particular and our Commonwealth at large. Please bring your family and your students to the VCBF October 16th and 17th and join us in making our mission a reality’. Visit www.vachildrensbookfestival.com to see the entire schedule for the Festival and to see how you can help! 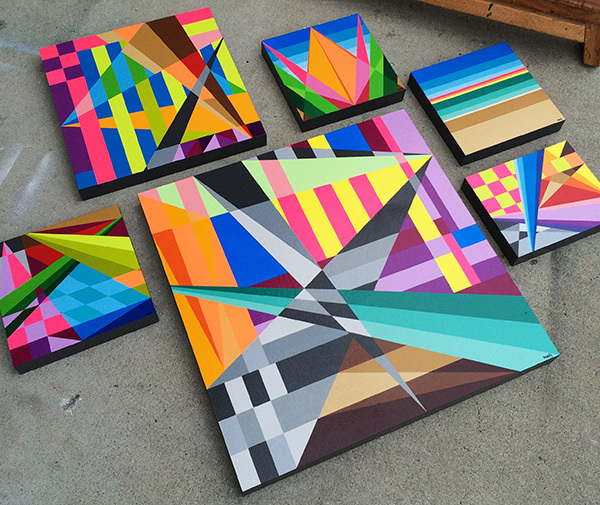 Many new works flowing out of the San Diego, CA studio. 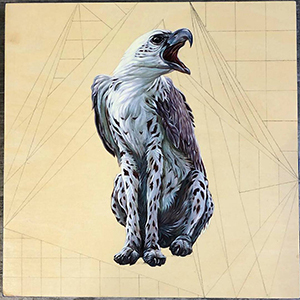 Featured above are: “Moment #13” Montana Gold Spray Paint on Birch Panel 14″ x 14″ x 1.5″& “CORE #5″ Liquitex Acrylic and Montana Gold spray paint on Birch panel 16″ x 16″ x 1.5”. 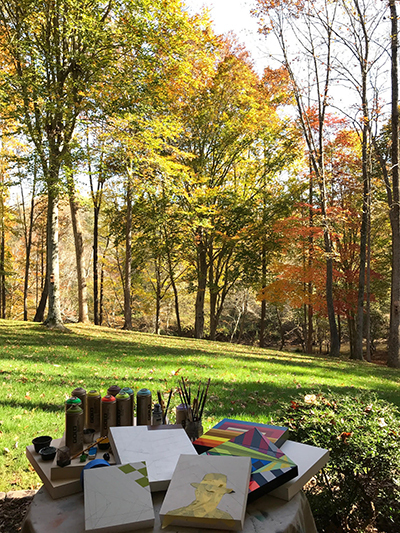 There’s nothing quite like being HOME on the East Coast with family and creating at the studio nestled in nature. 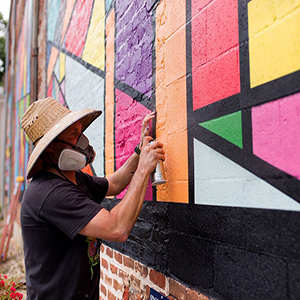 This past month in Virginia was filled with creative moments all over the state. It was awesome catching up with friends and completing various projects in Virginia Beach, Richmond, Charlottesville, Louisa, Fredericksburg, and Farmville while ending the visit with a birthday celebration on my folks property! Stoked to now be HOME in San Diego, and get back at it on the West Coast! 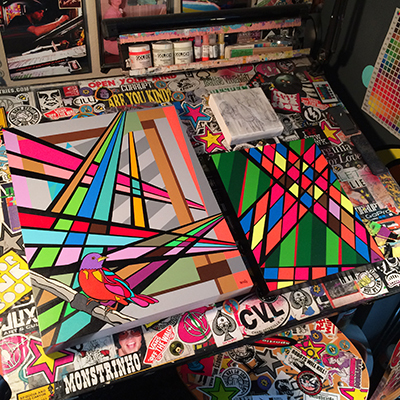 Getting to the final touches on “Nature’s Rays” and “Visuals in the Park #2” which will soon be hitting walls in the area. Various projects in the works & ready to hang my newest piece for the collection from my good buddy Chris of “ROBOTS WILL KILL”. Get to creating peeps! Nothing like cruising back through "FARM VEGAS"
I made a pit stop through Farmville, Virginia on this past Sunday to visit with friends, meet with a few spots, and deliver “Reading Between the Lines” for the Virginia Children’s Book Festival. 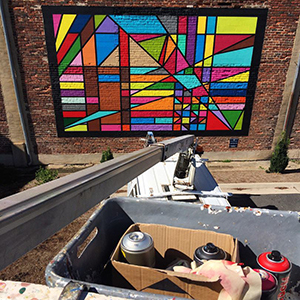 I revisited the “Warehouse Triptych Mural Project” which was done almost exactly a year ago. It’s just truly hard to believe sometimes how quickly time passes. We must do the best we can to enjoy every moment. Go Get CREATIVE! Getting a little frame work on with Dad at home in Virginia. 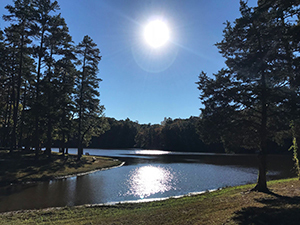 Nothing like waking up on a Saturday morning in VA to the sound of birds chirping and wind whistling through the trees as the sun peaks through to bring in a beautiful day in nature. Spent a little time on the front porch taking in this beautiful place and it’s surroundings while enjoying a little morning coffee with my folks. 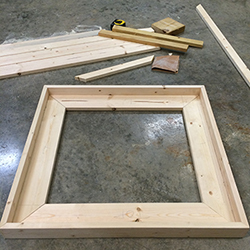 Dad and I popped to it and started building a new floating frame for “WHY”, an original work of mine from Mr. Edmonson’s painting class at Longwood University in 1996. It’s hard to believe that almost twenty years have passed since creating this piece. I’ve decided to make it a permanent piece in one of the guest rooms at my parent’s home. It will be fun to re visit these memories every time I return home to VA! HOLY COW! It’s hot here in Virginia. 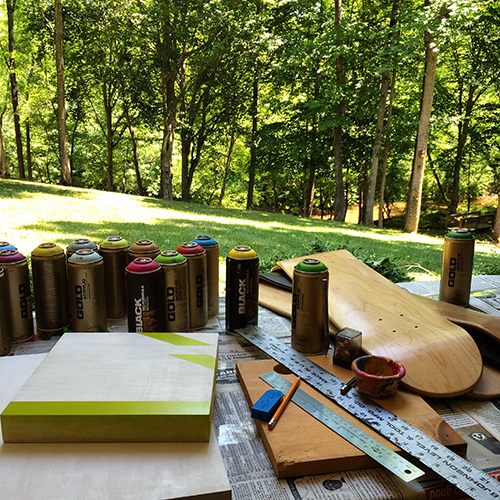 Punching through this Virginia humidity and getting at new birch panels, wood blocks, and skate decks in the studio. Being surrounded by ~Nature’s Song~ and the palette of “green” is so powerful. It speaks, asking to be utilized through creating. It feels so nice to be nestled back in these woods of this state where I grew up. I once built forts and played in creeks here, I now use this land and Nature’s offerings to create from. Thank You Nature!